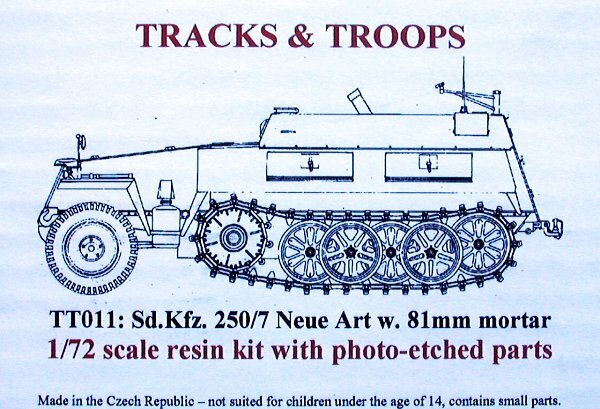 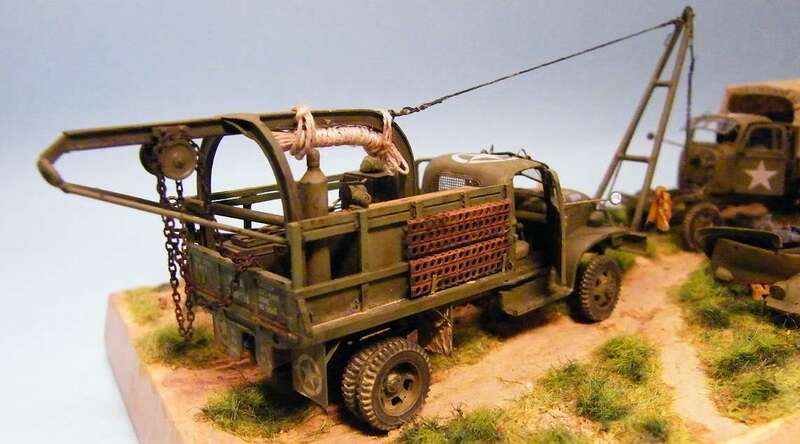 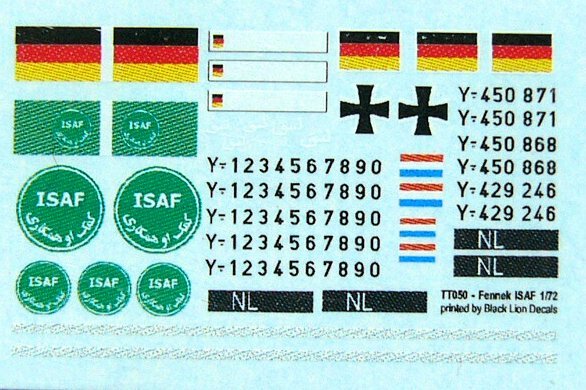 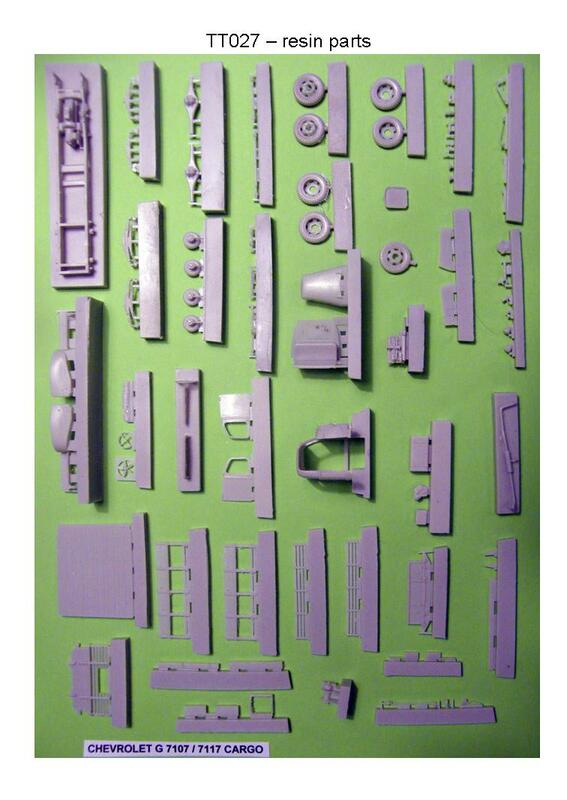 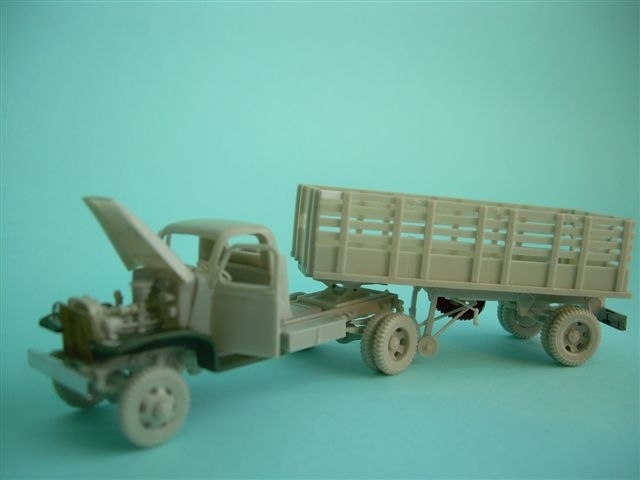 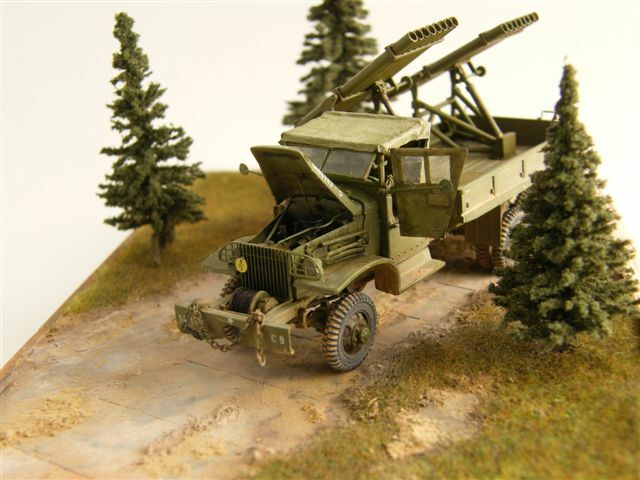 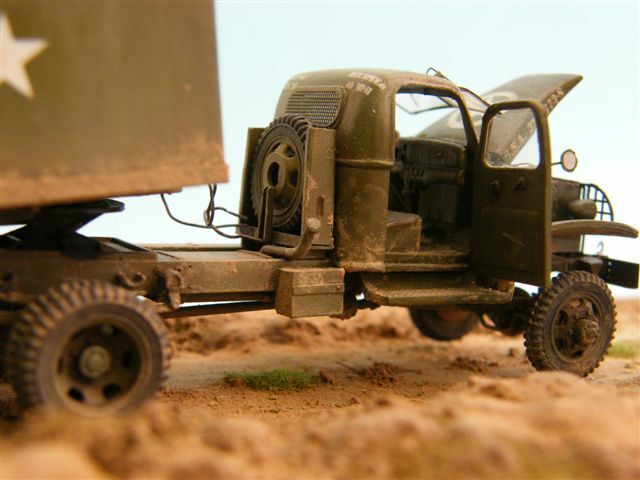 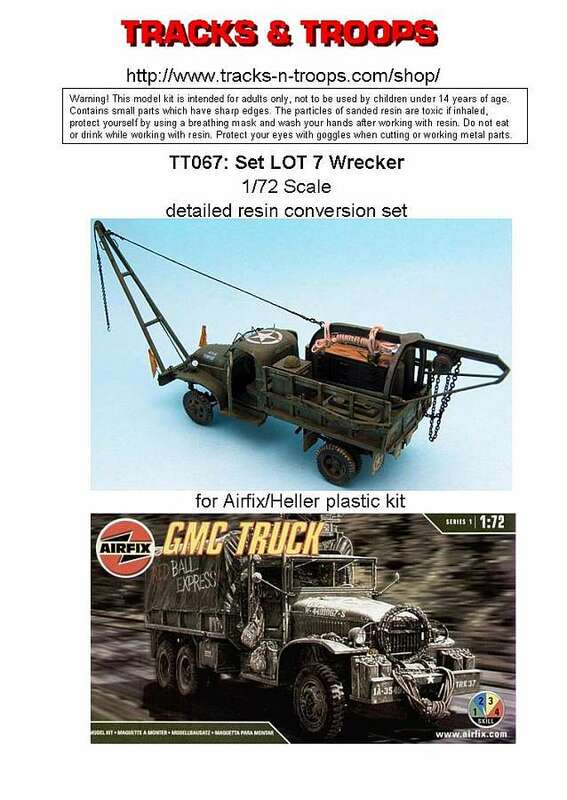 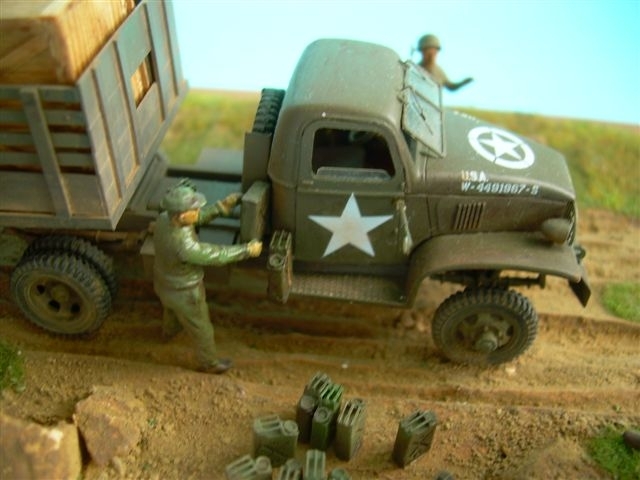 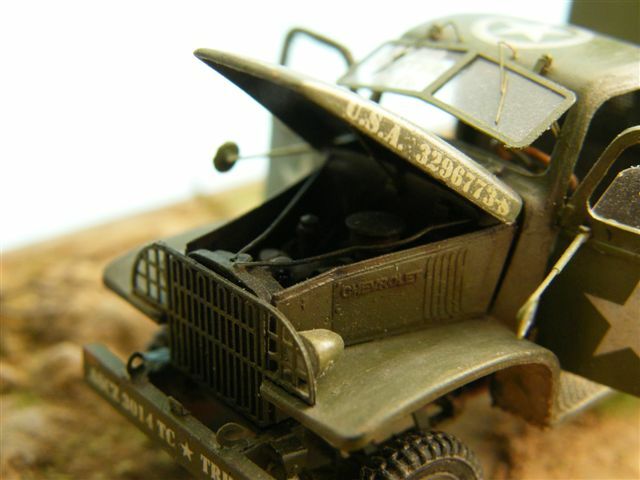 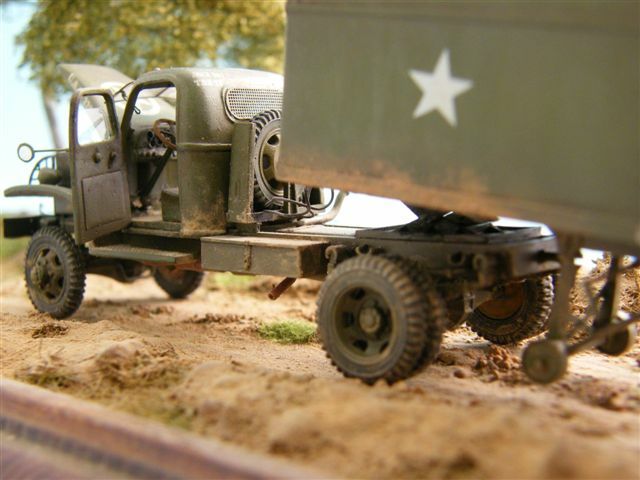 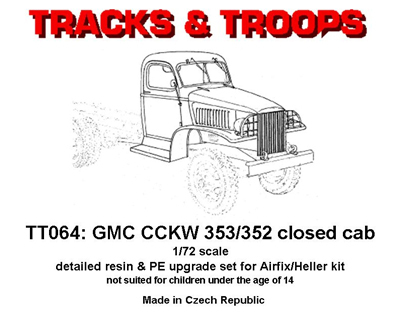 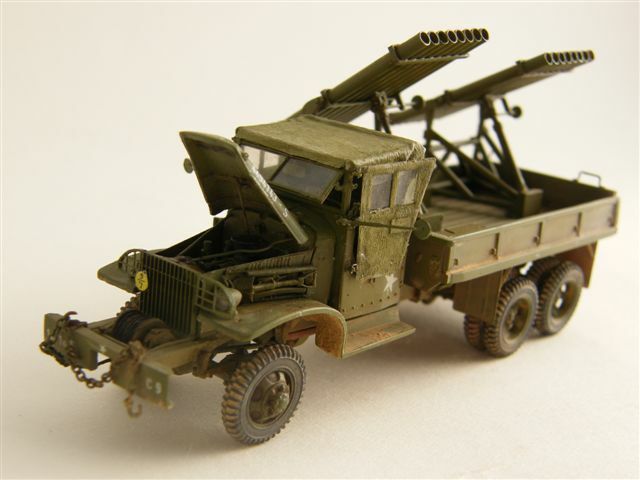 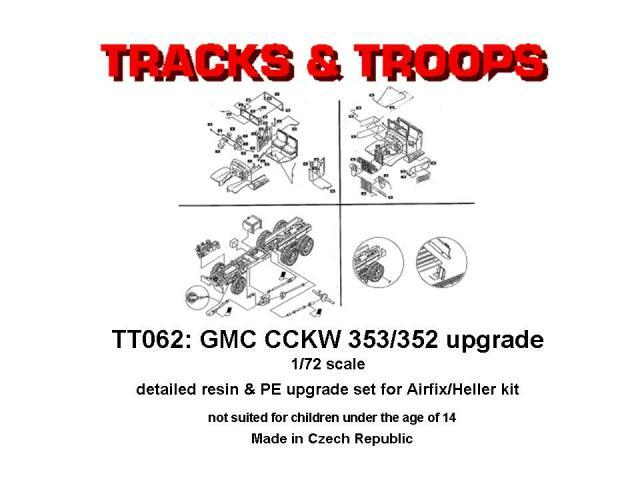 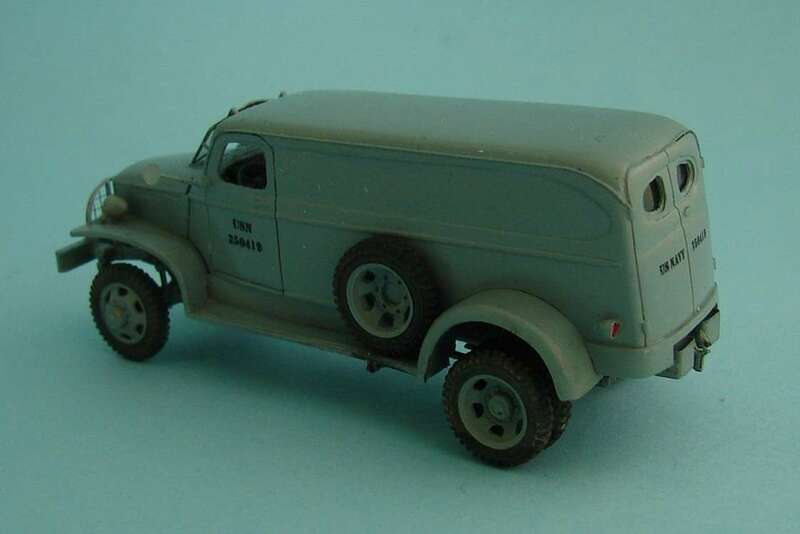 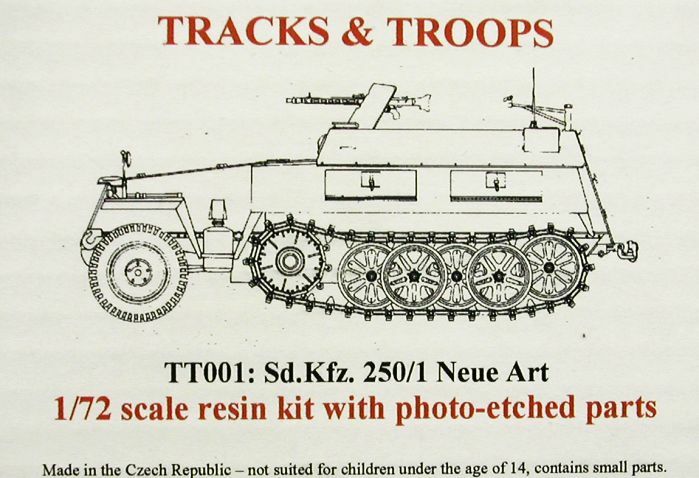 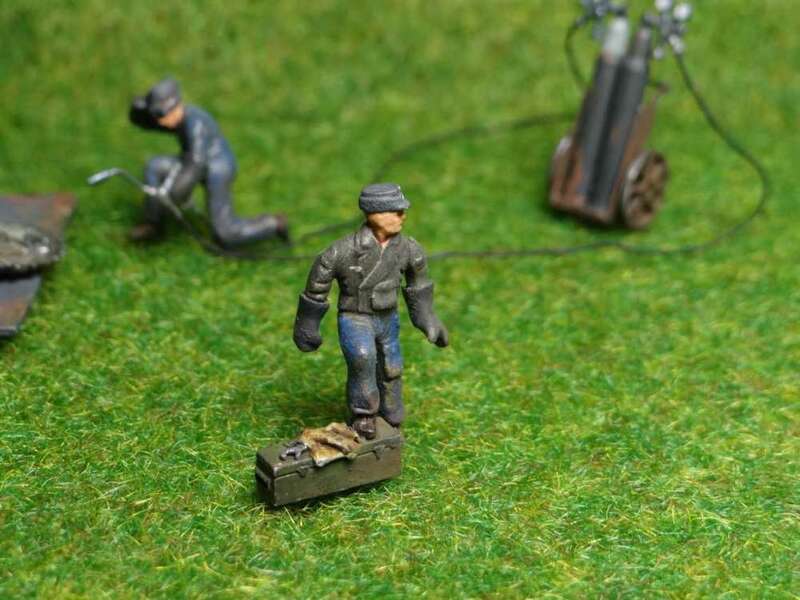 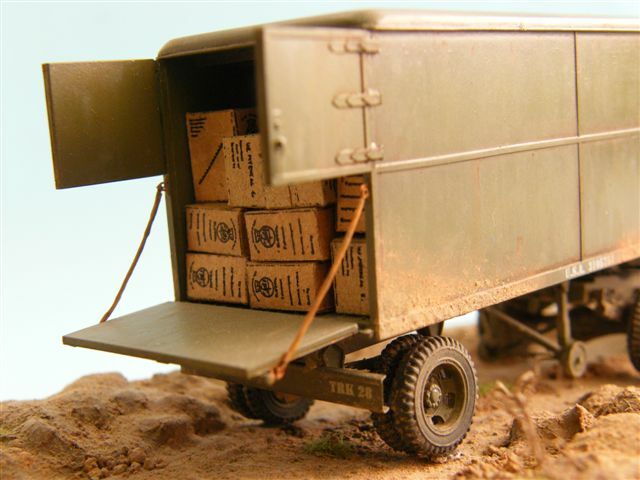 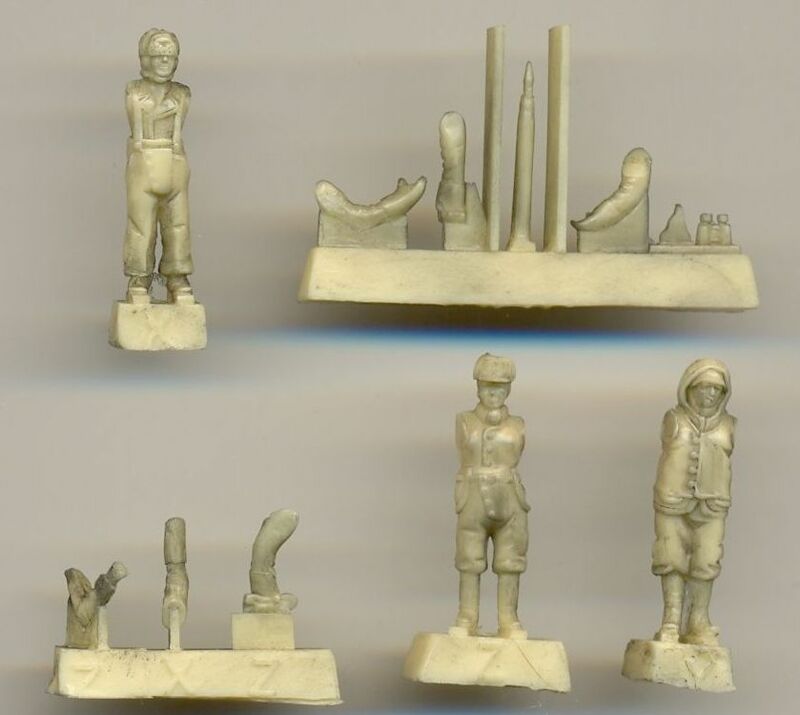 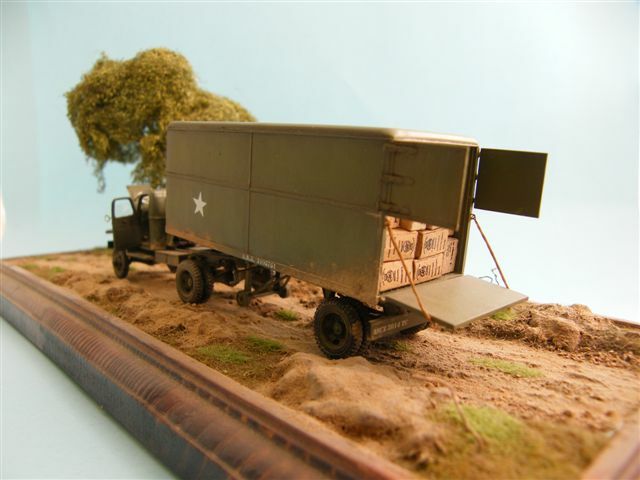 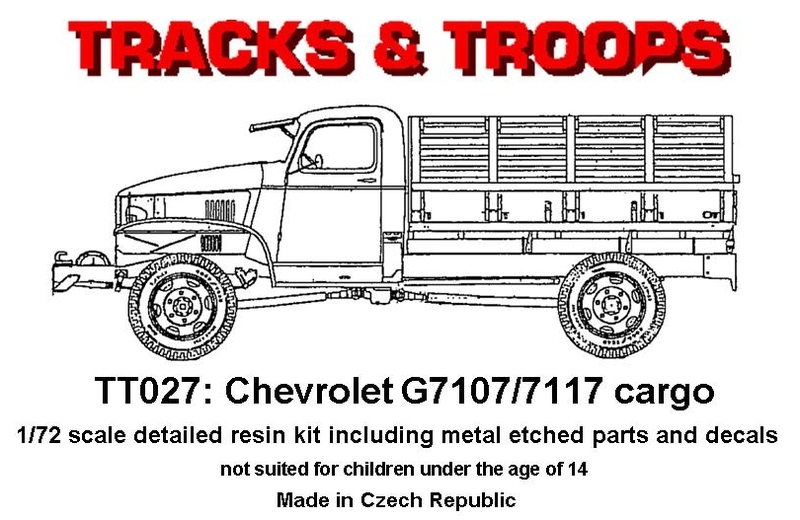 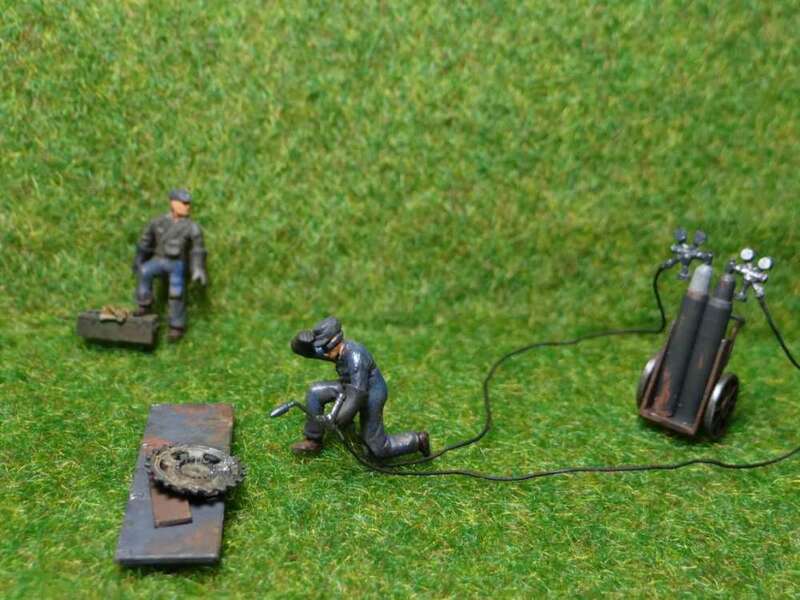 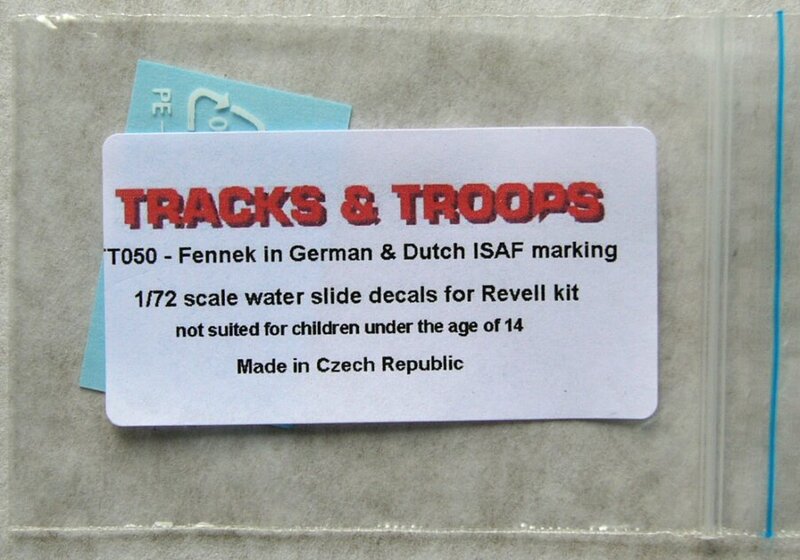 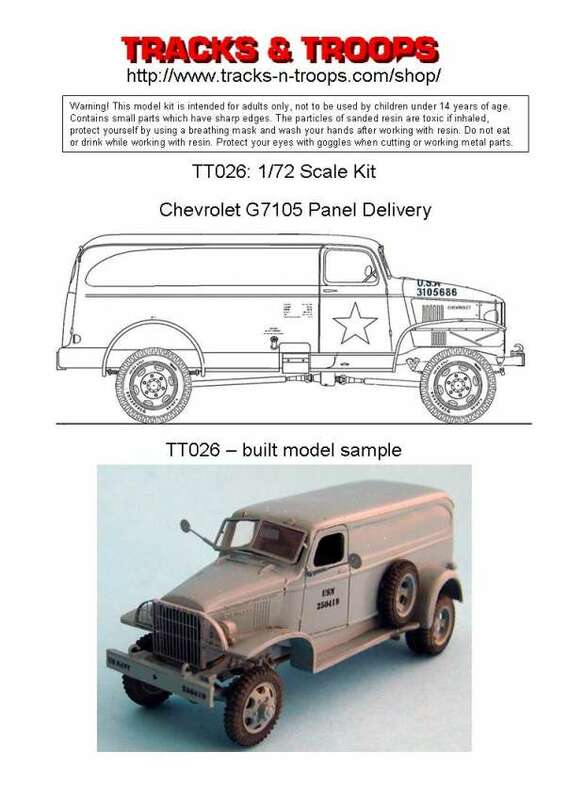 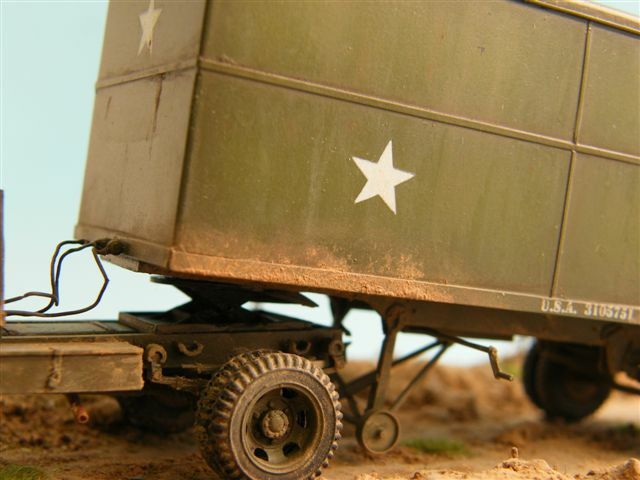 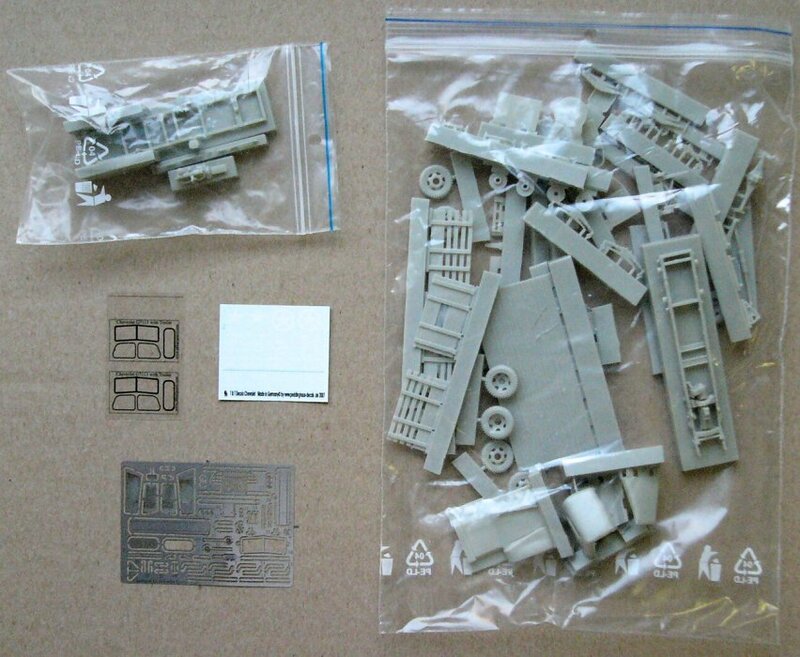 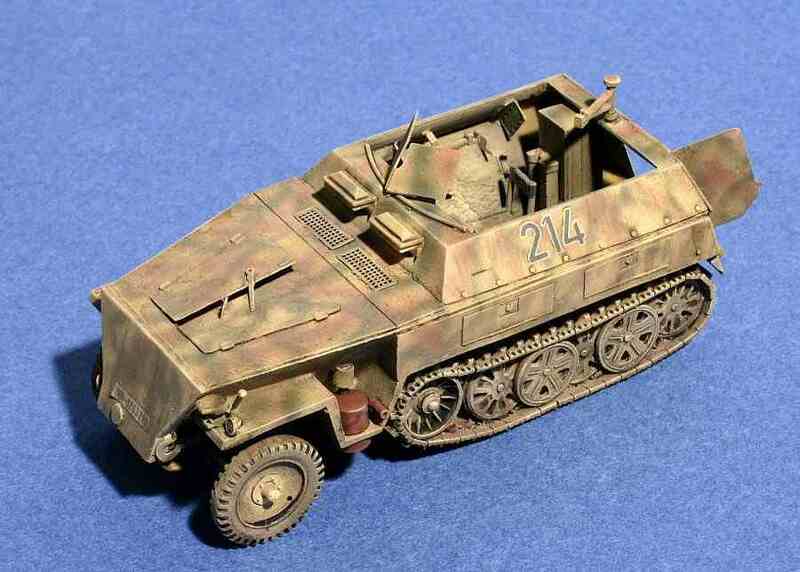 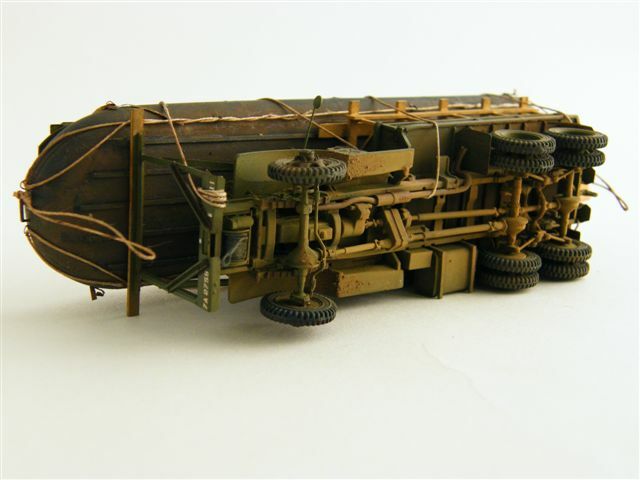 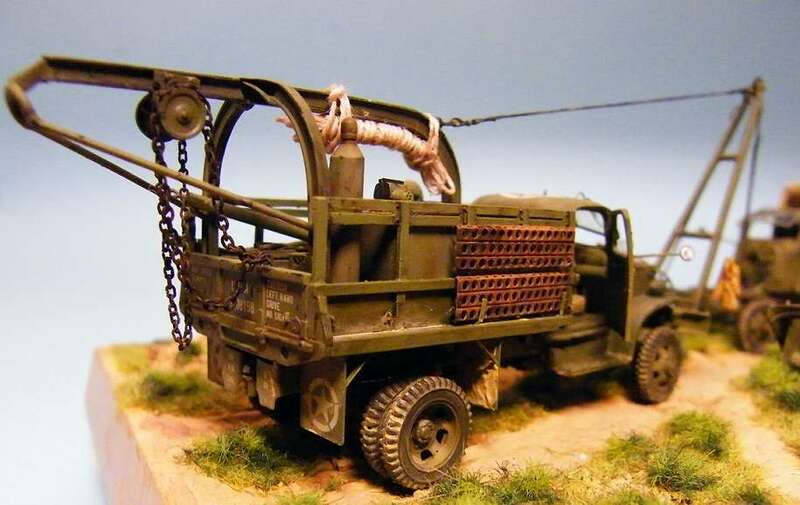 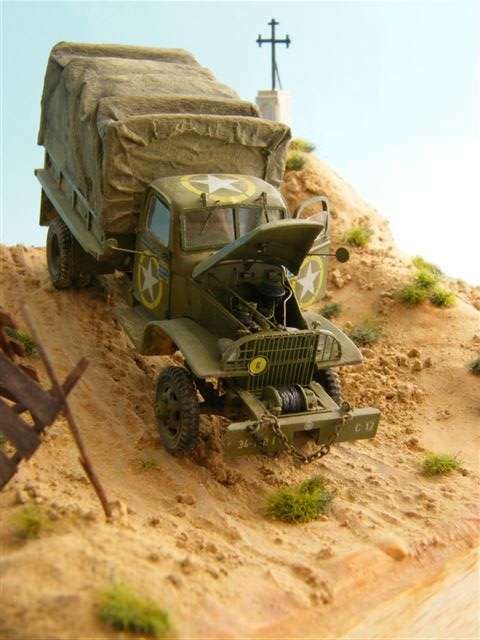 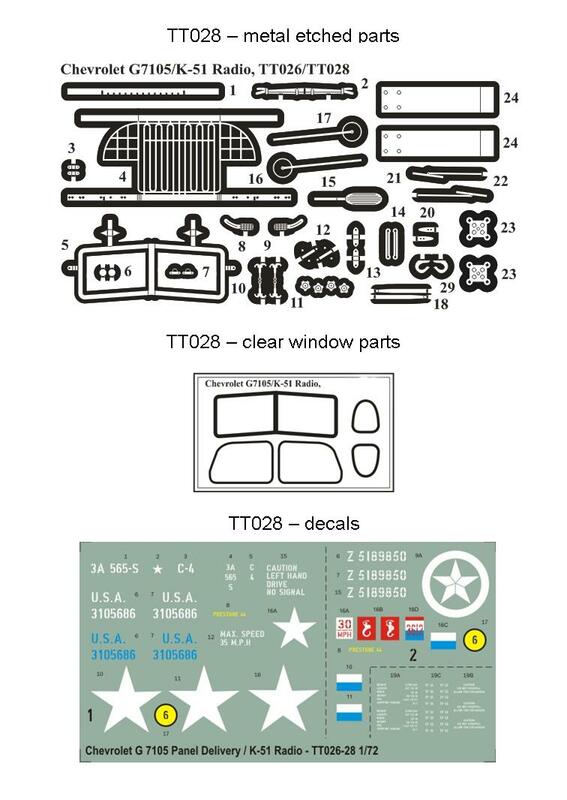 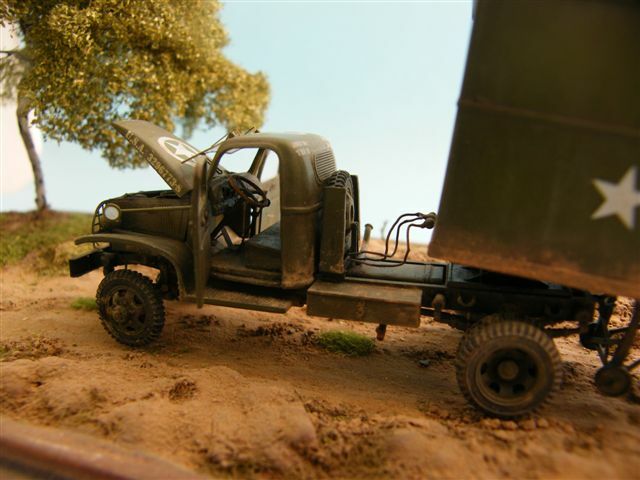 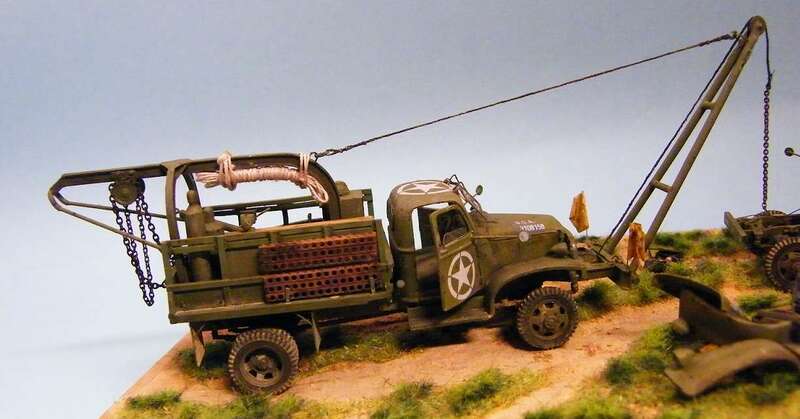 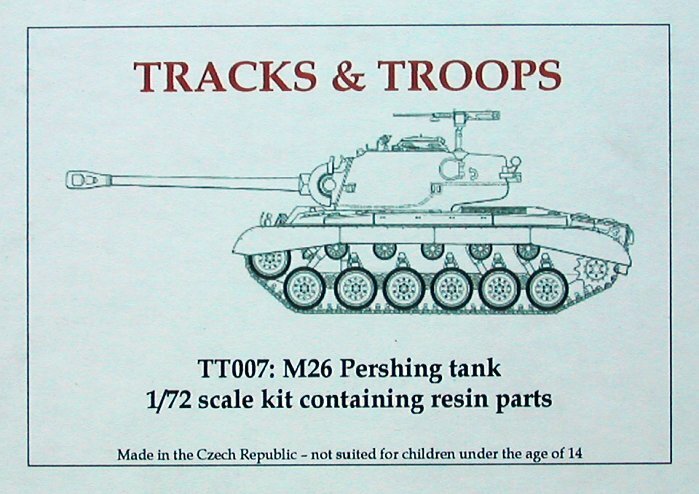 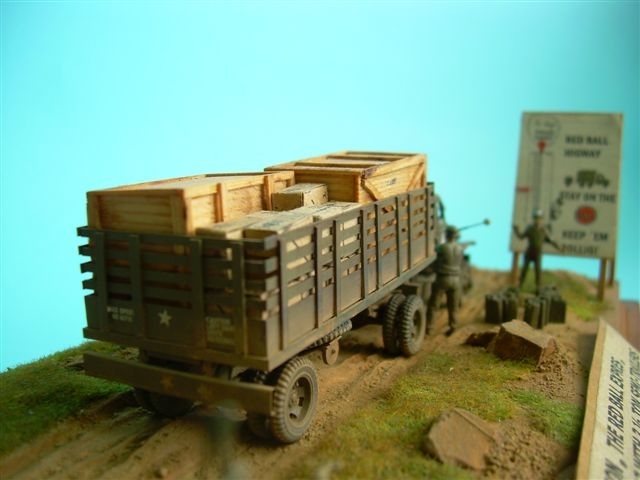 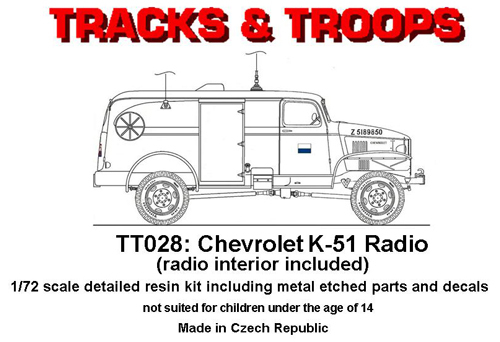 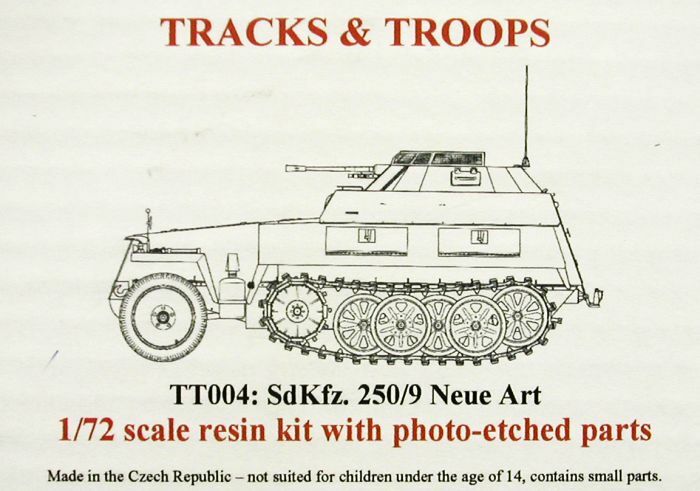 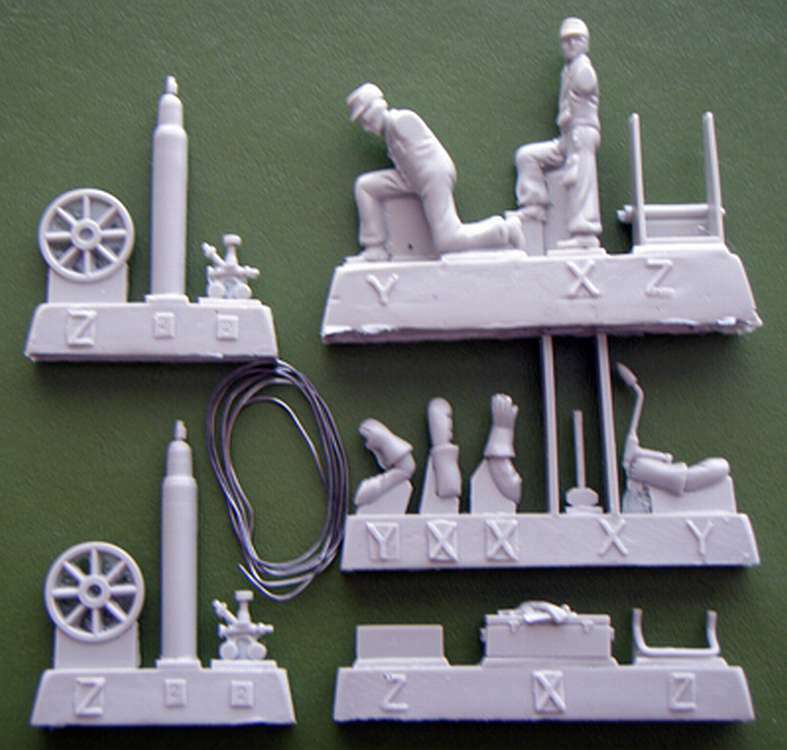 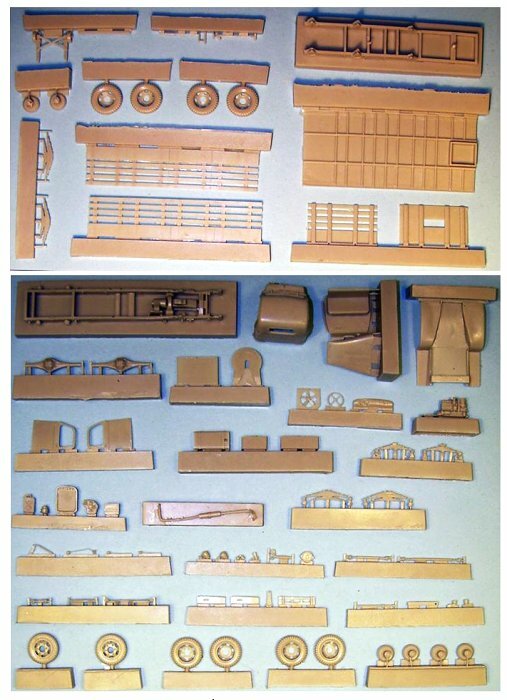 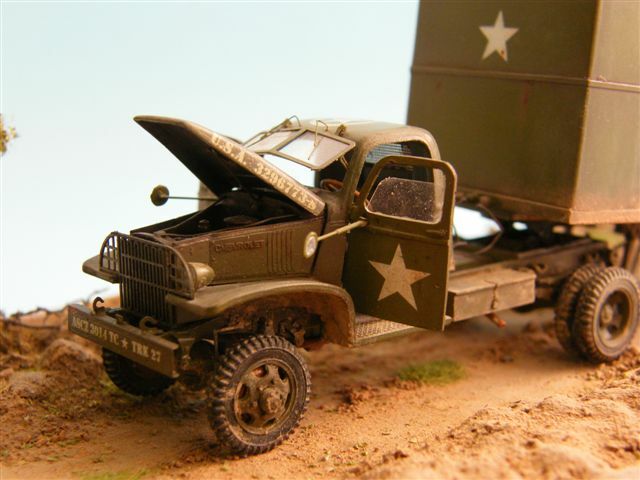 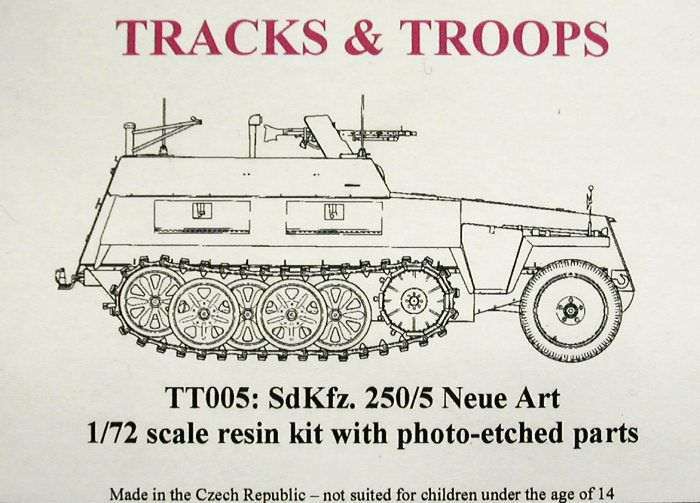 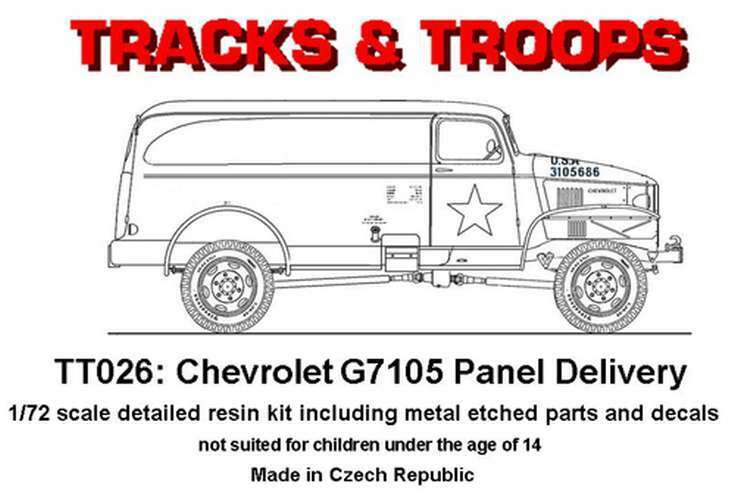 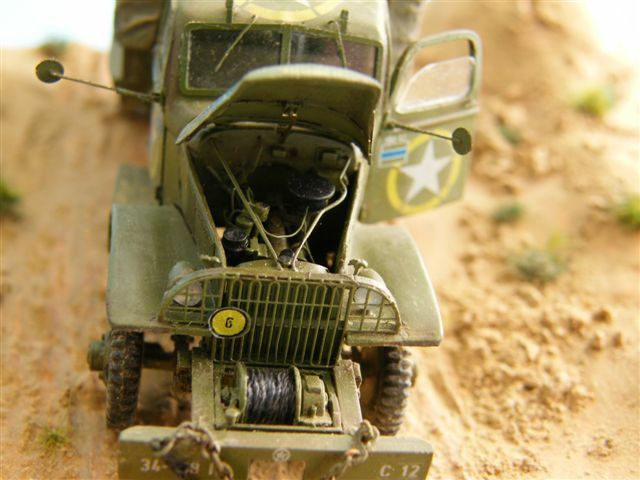 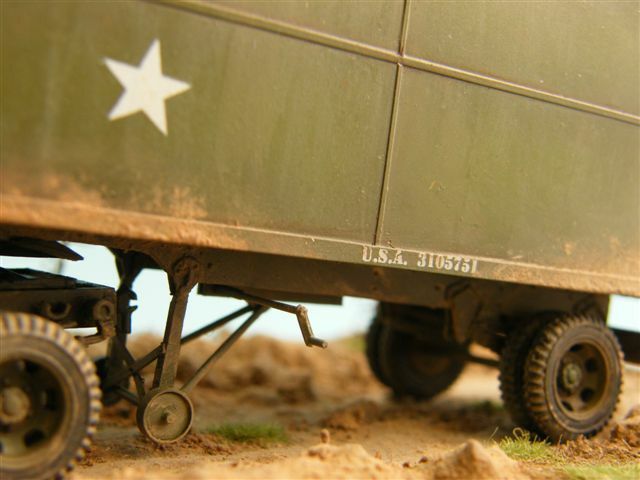 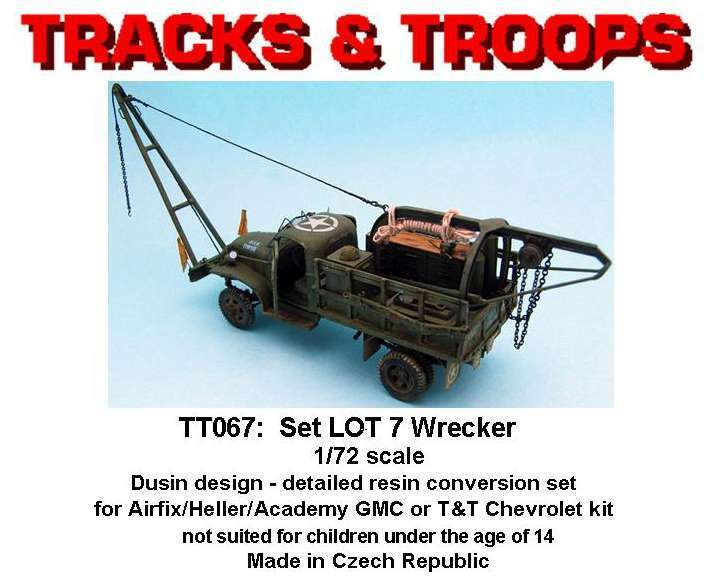 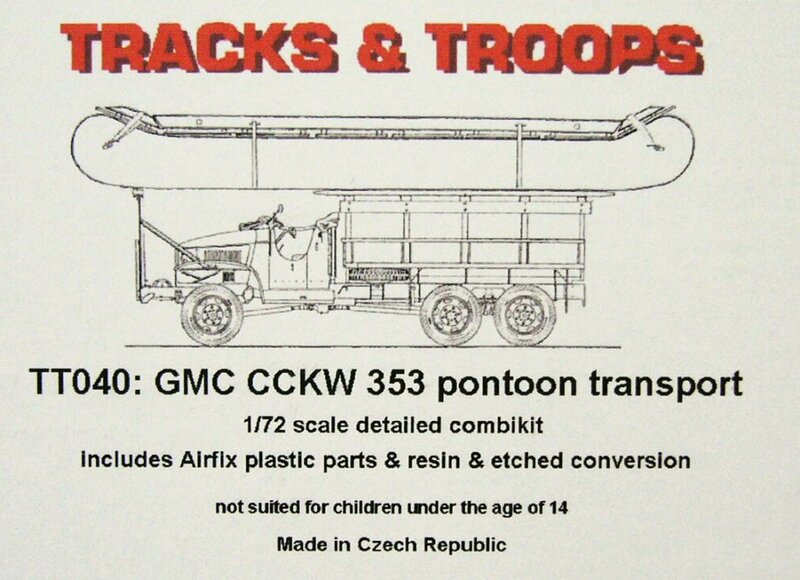 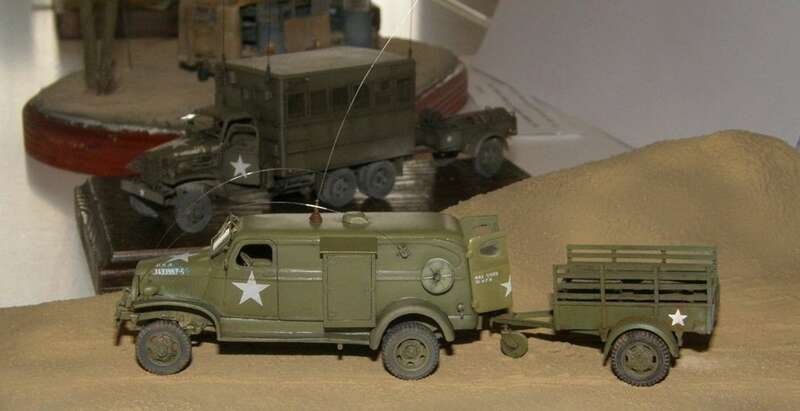 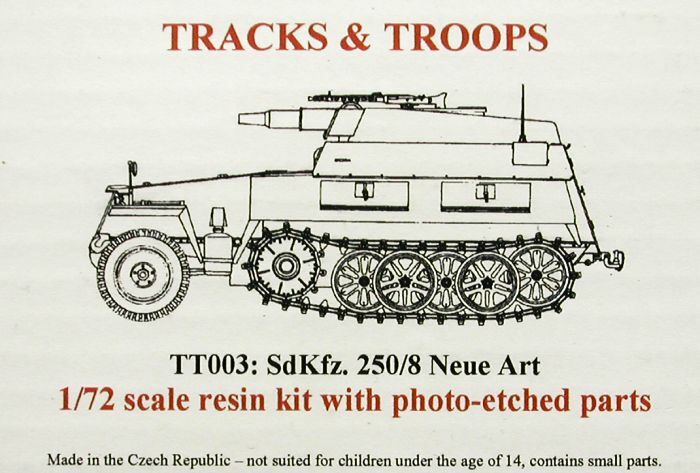 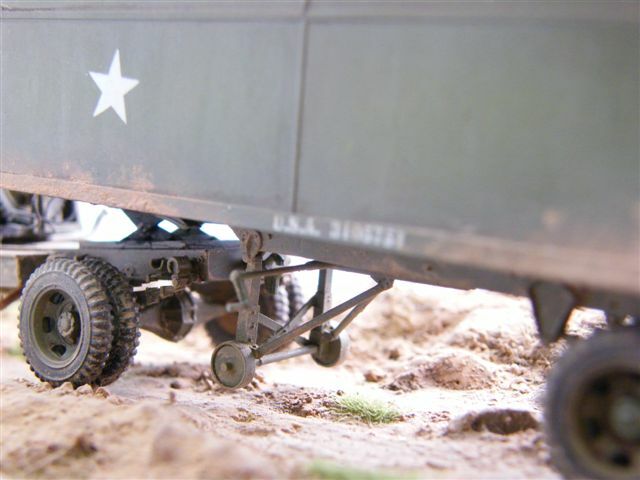 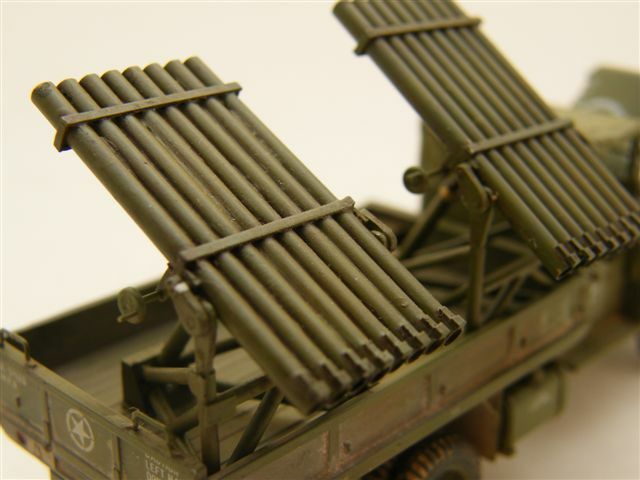 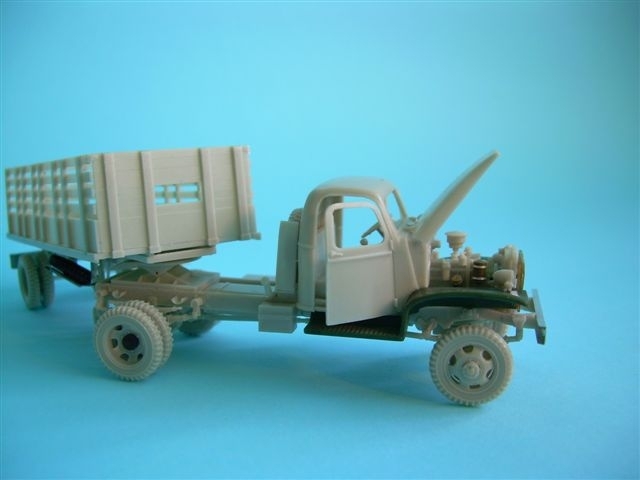 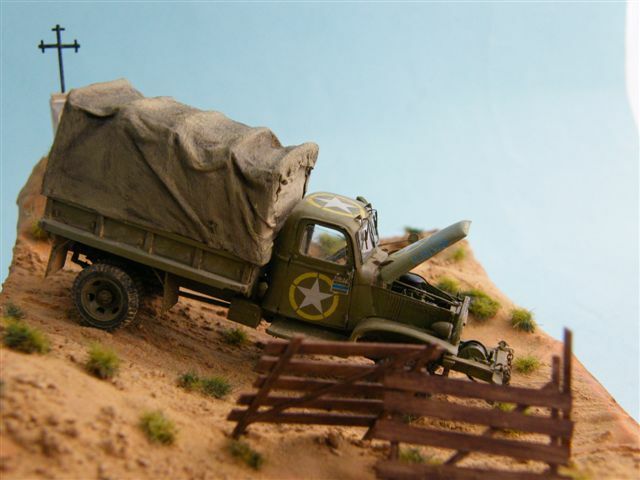 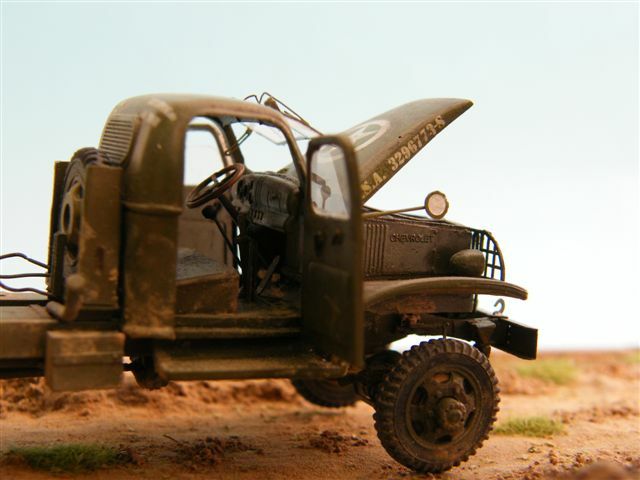 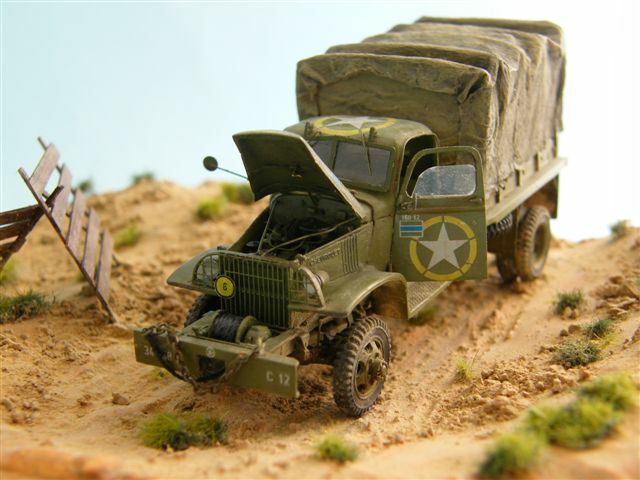 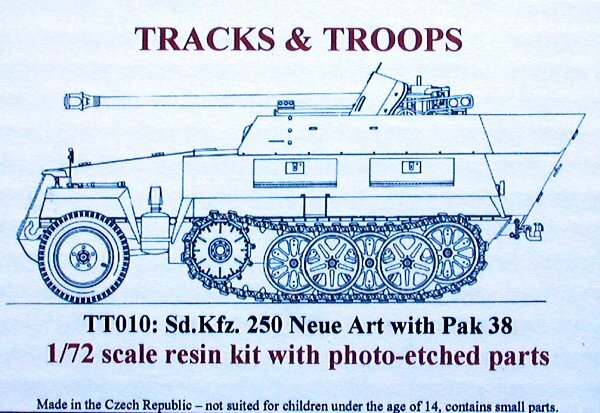 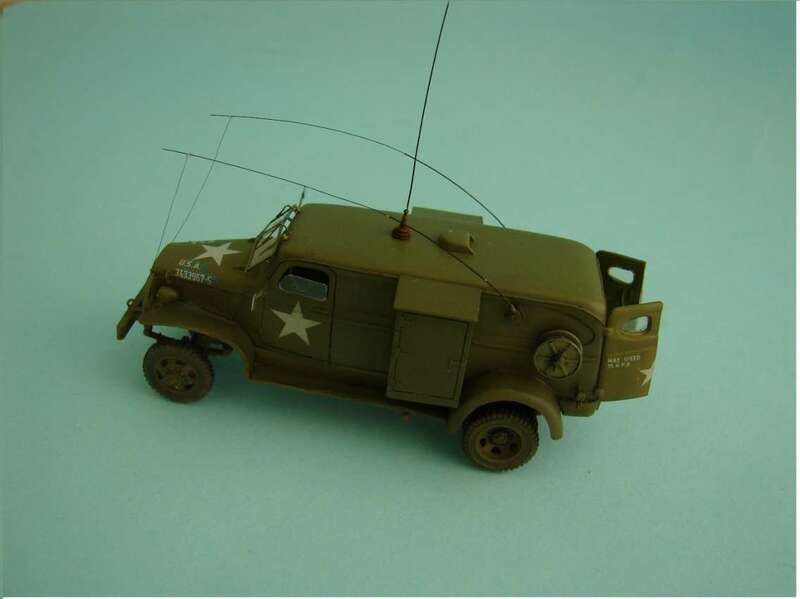 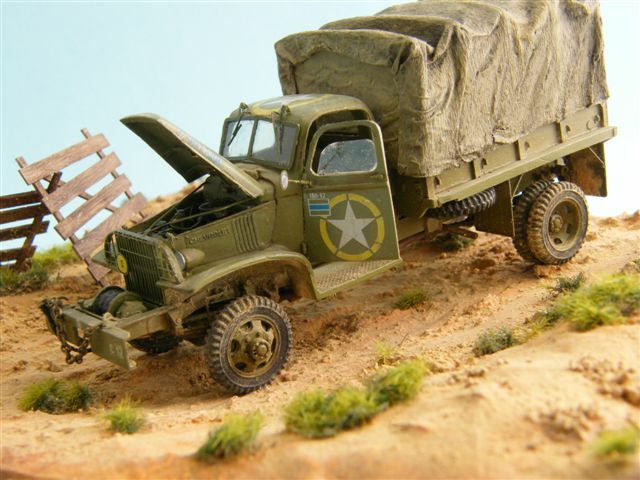 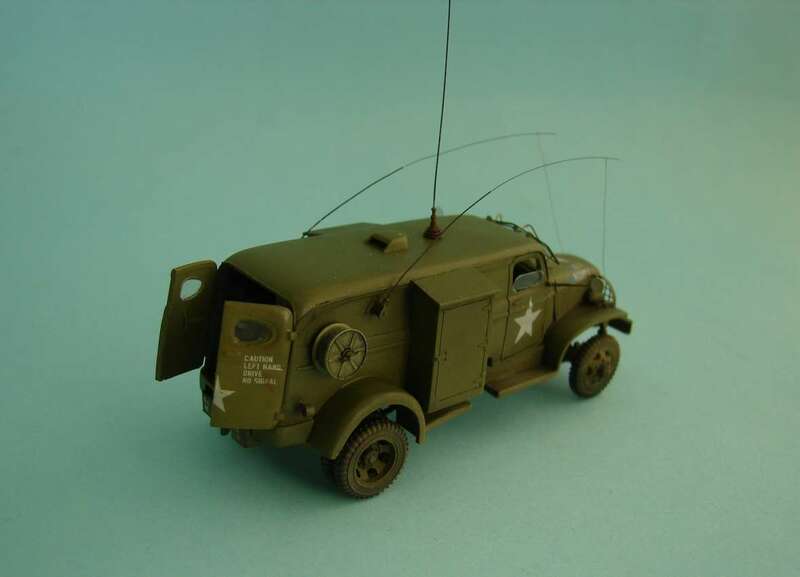 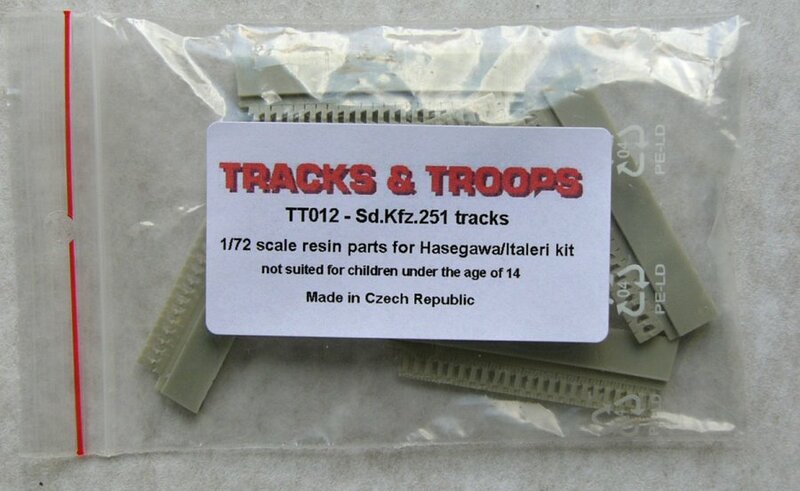 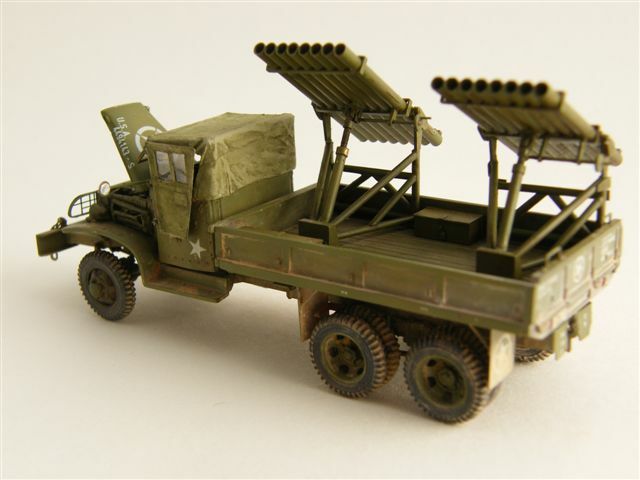 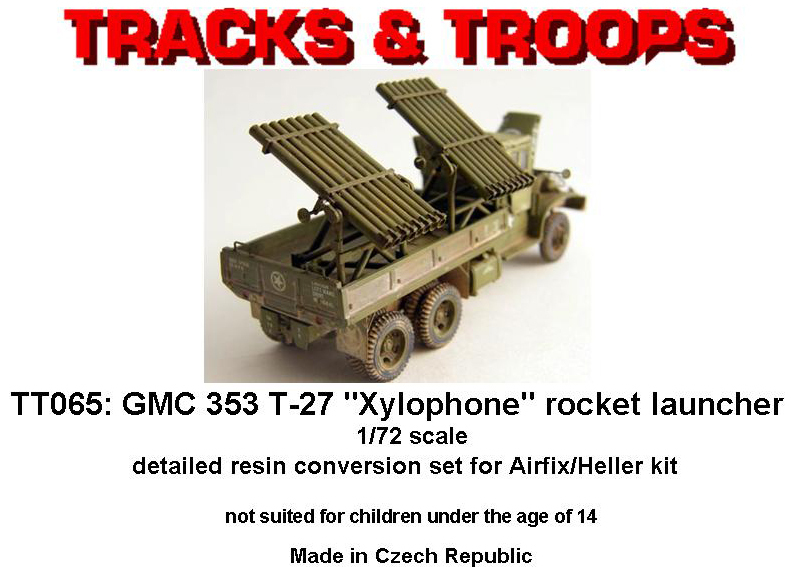 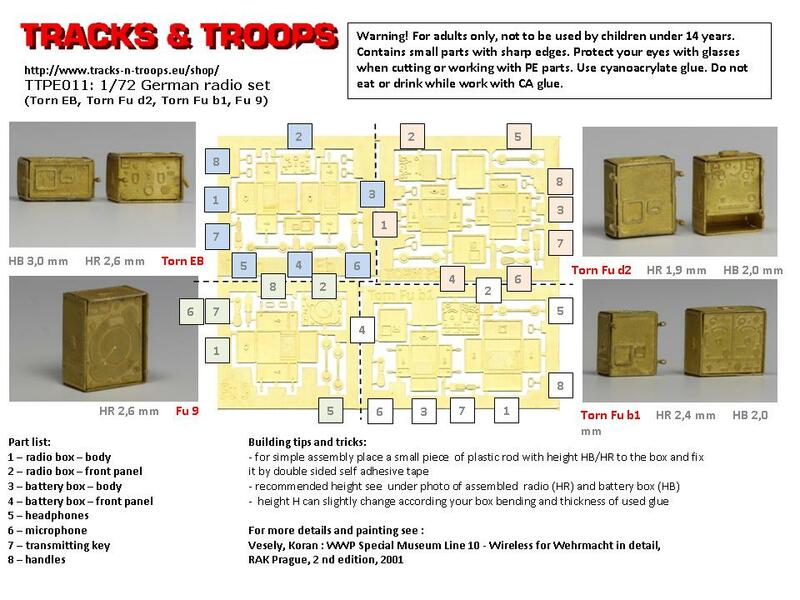 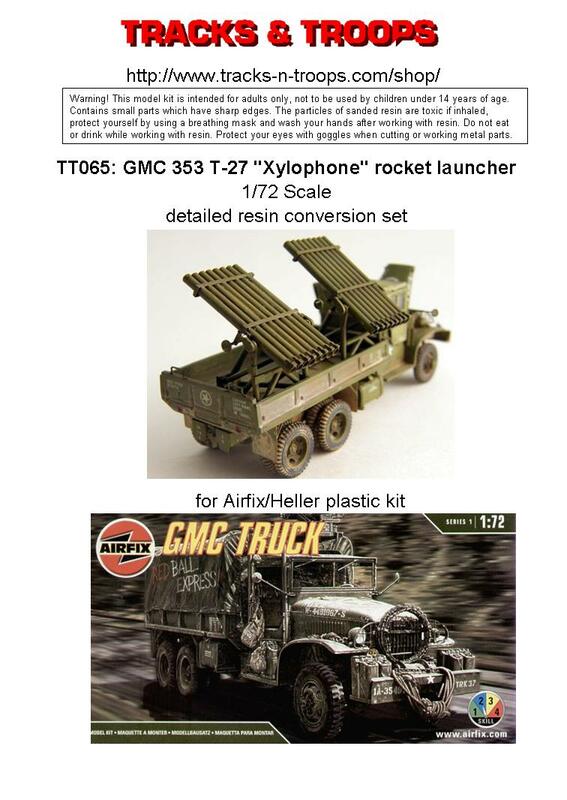 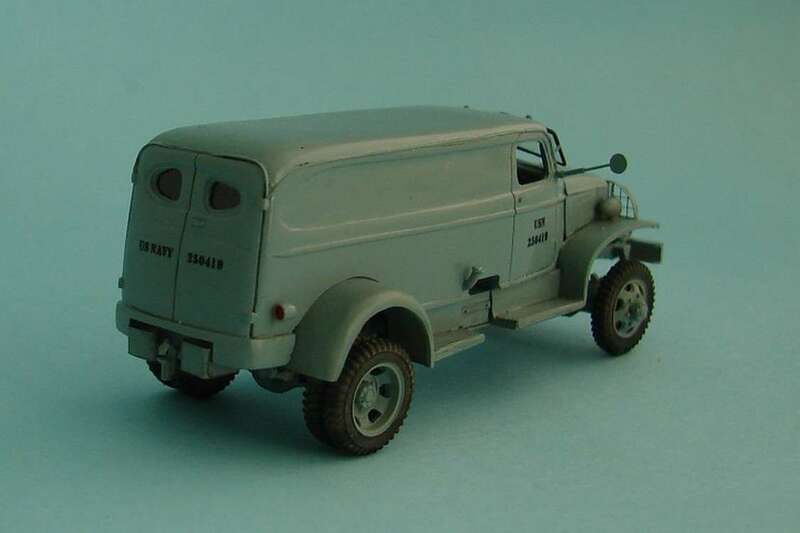 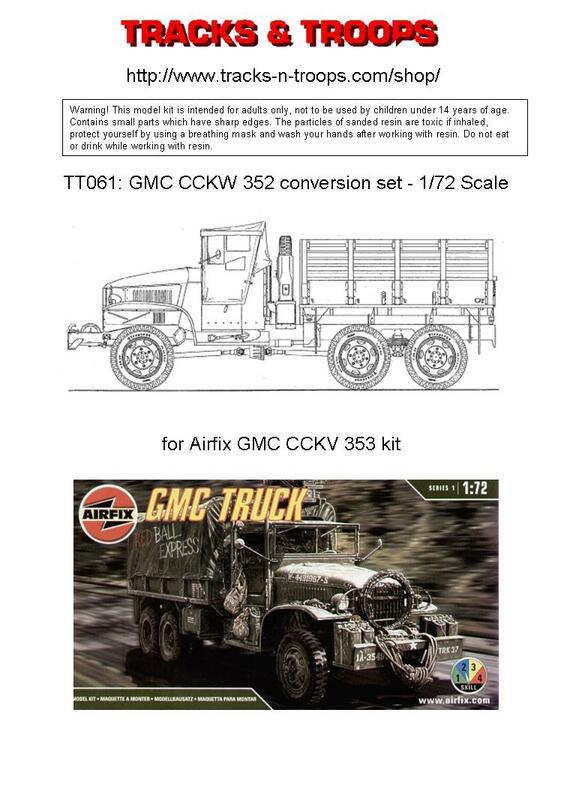 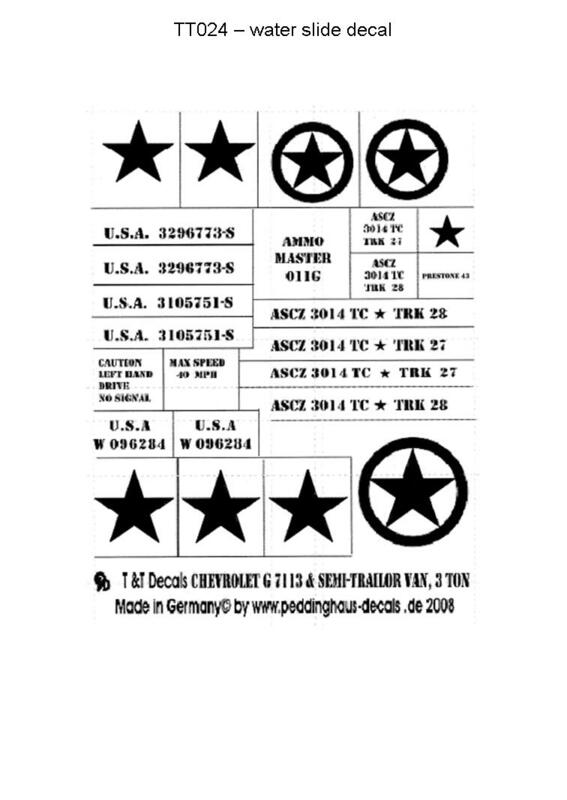 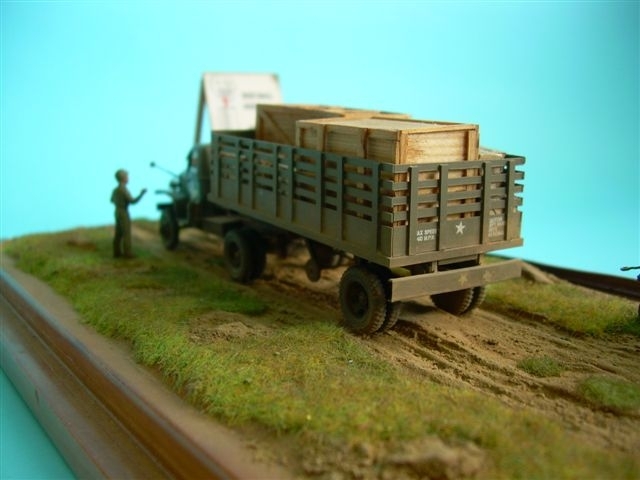 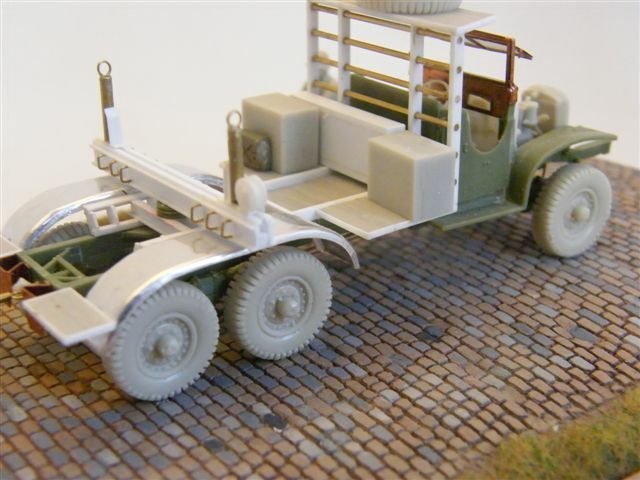 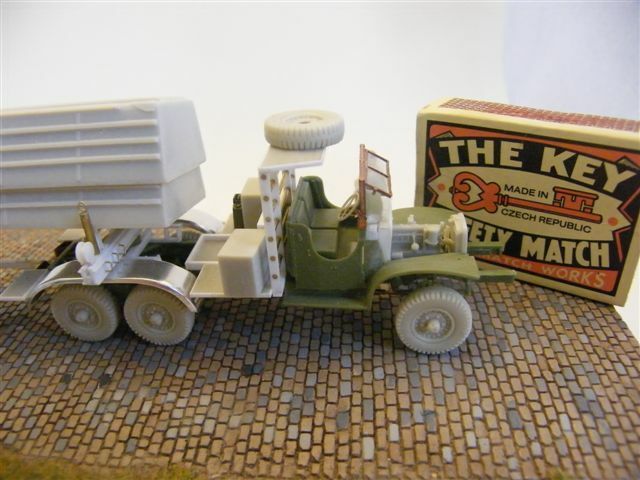 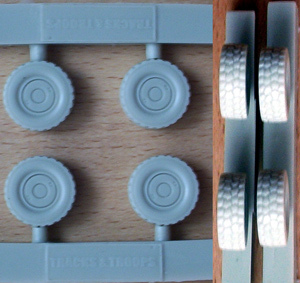 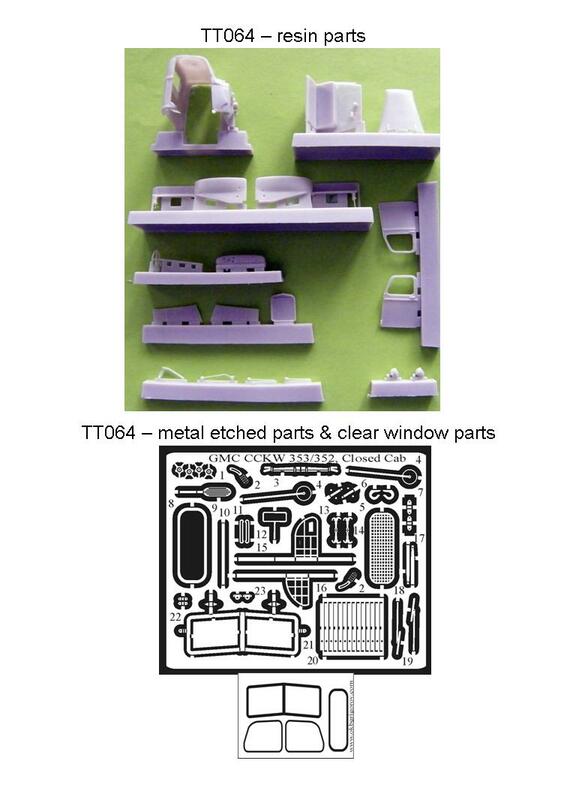 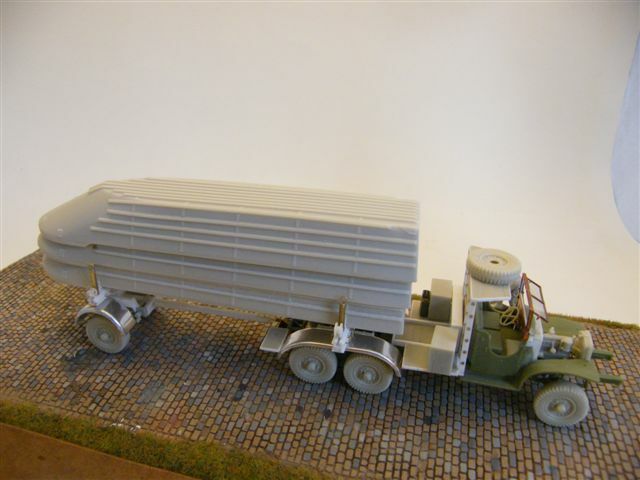 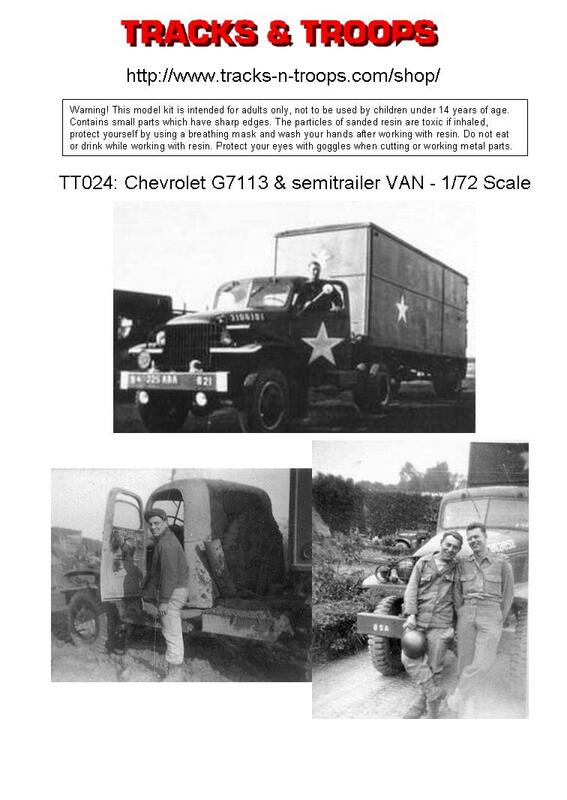 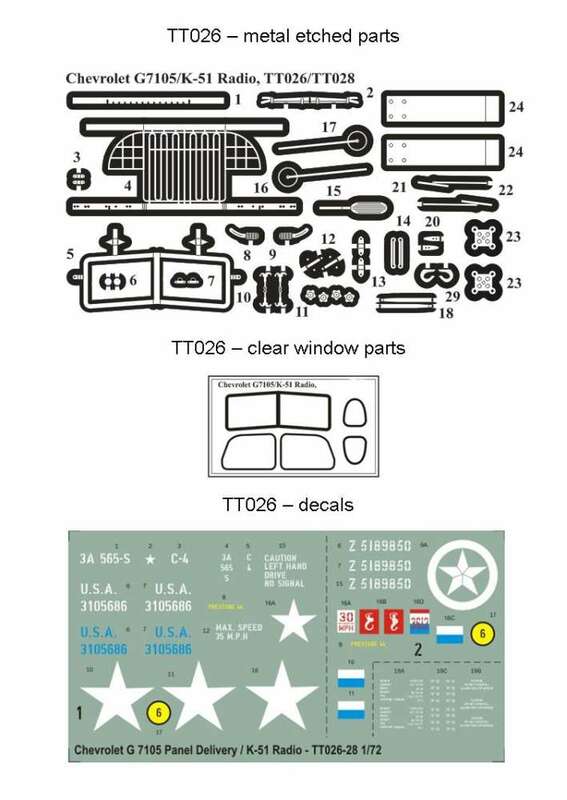 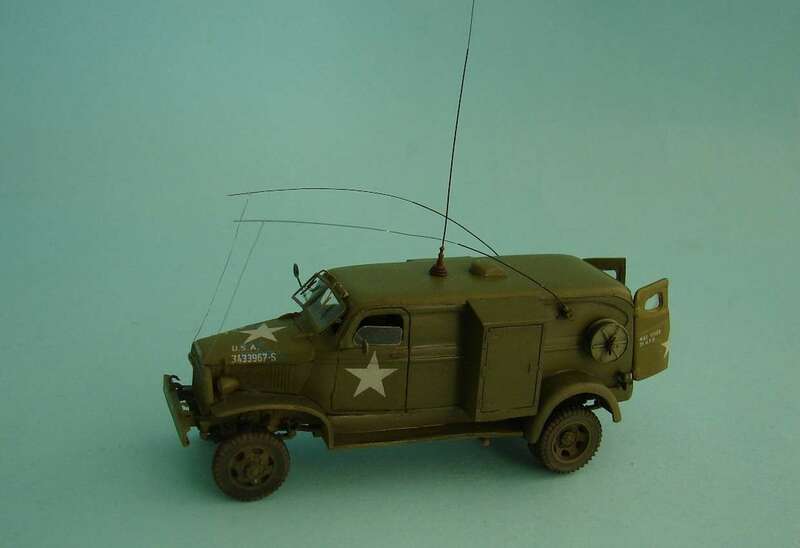 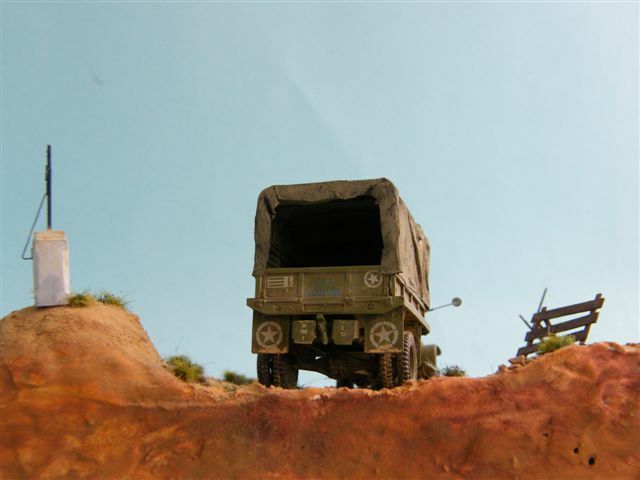 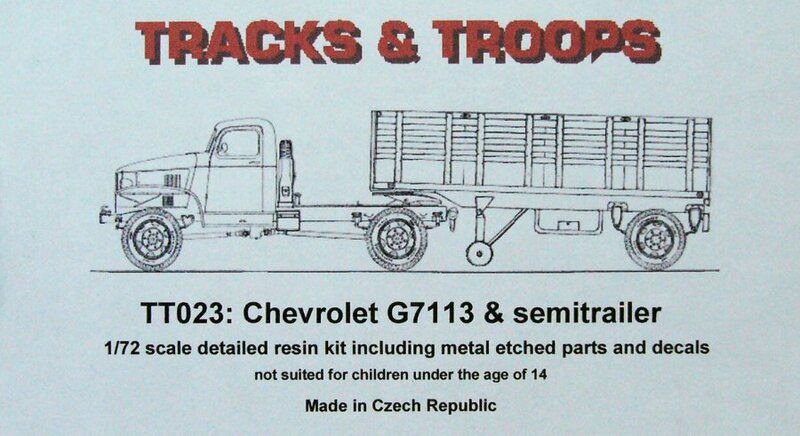 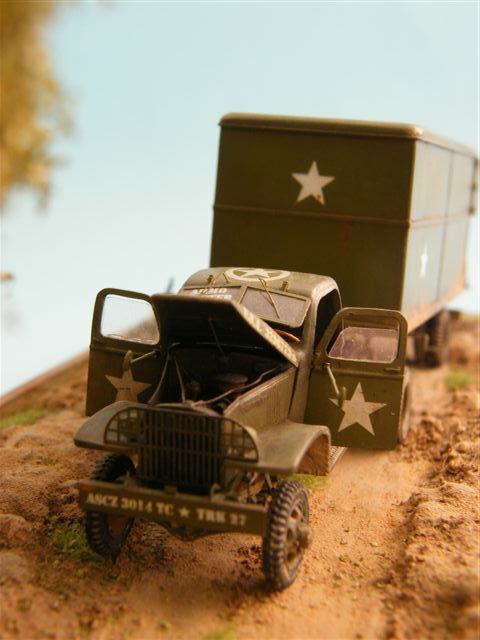 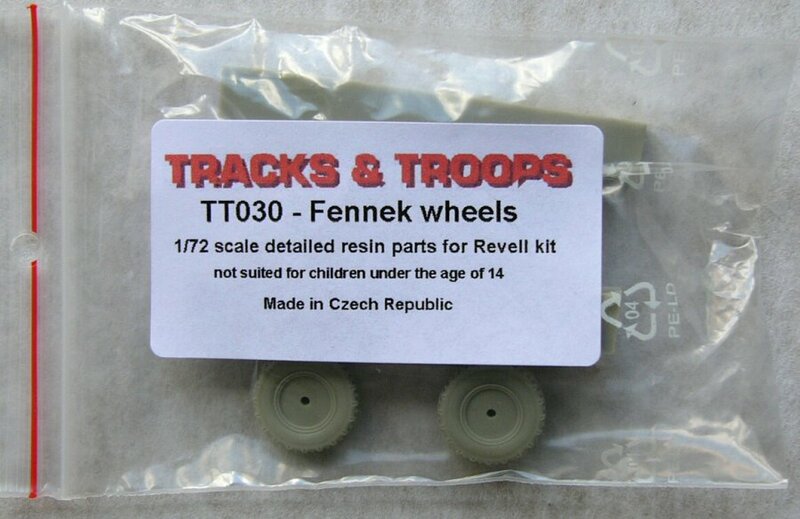 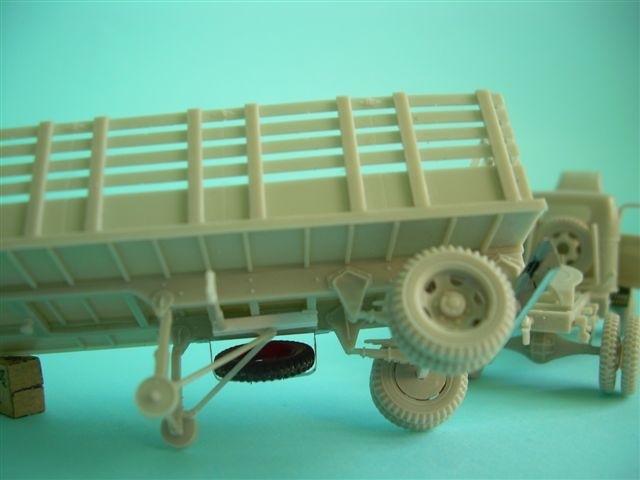 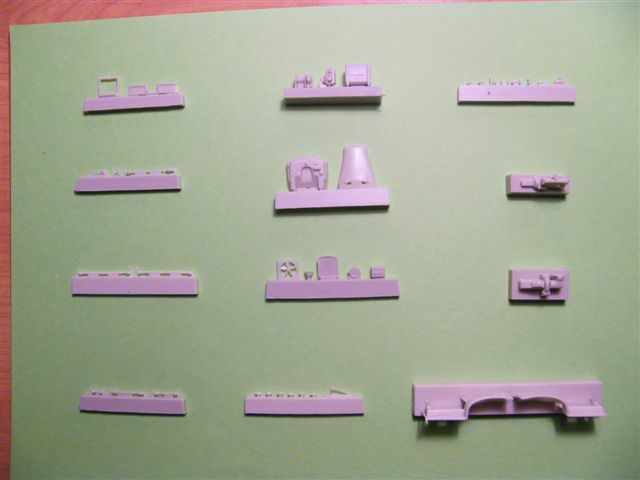 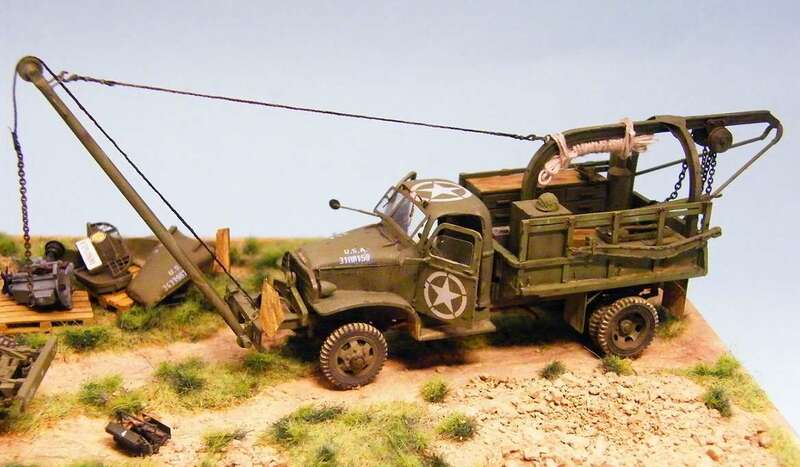 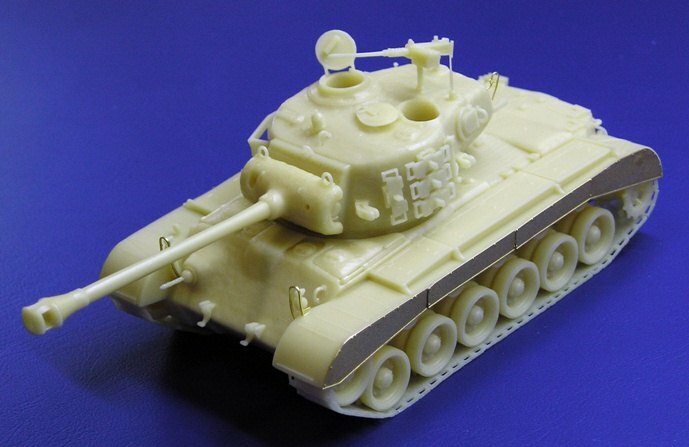 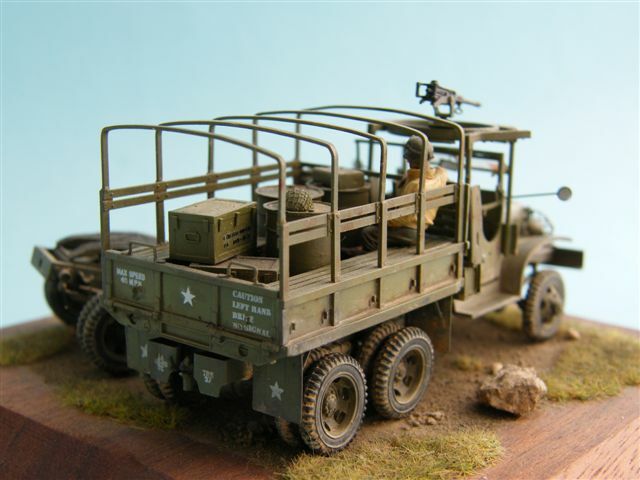 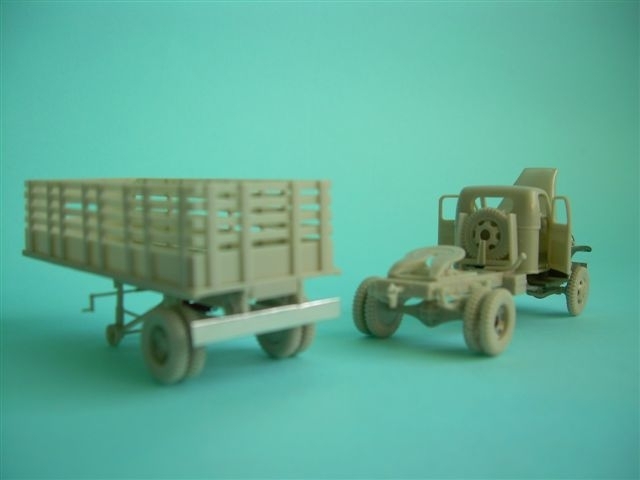 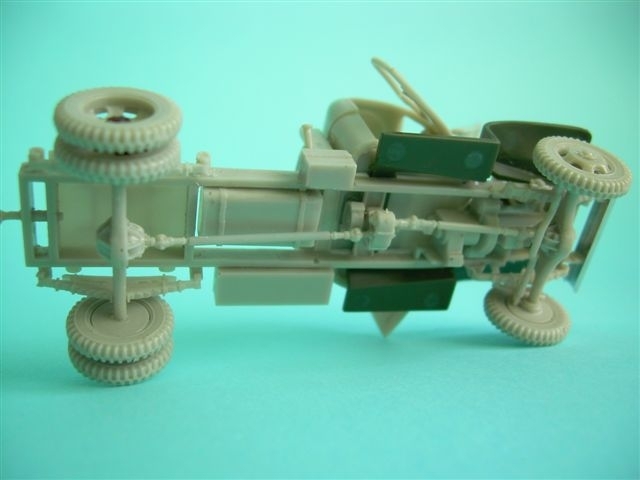 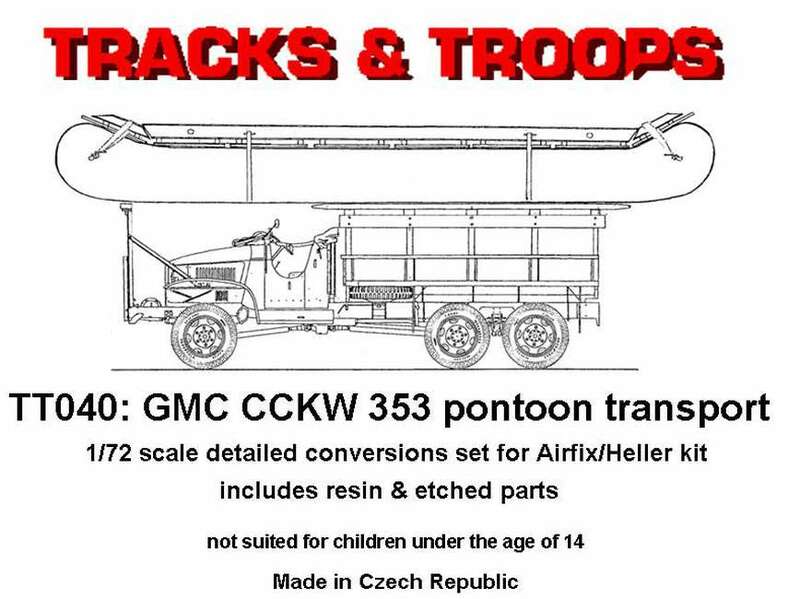 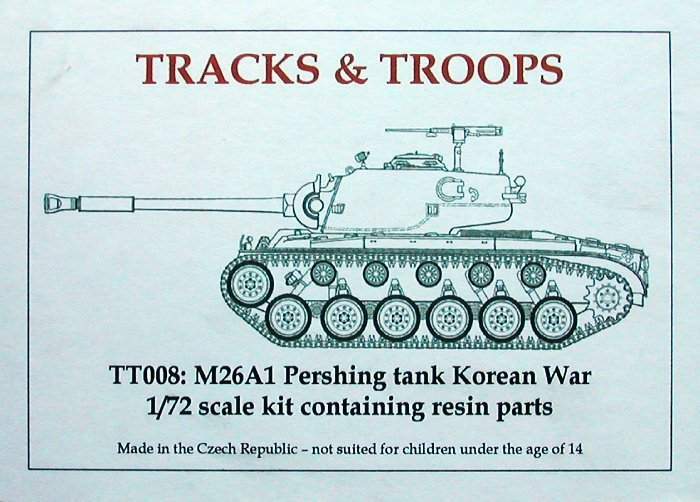 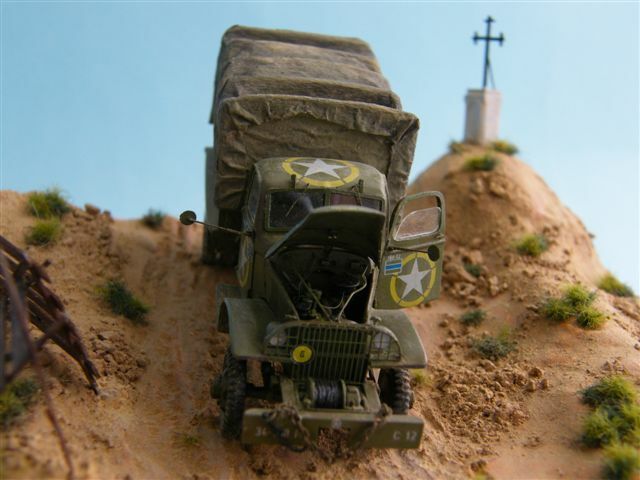 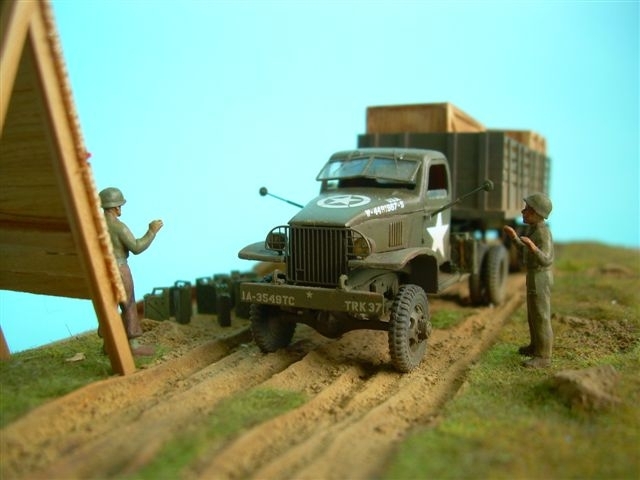 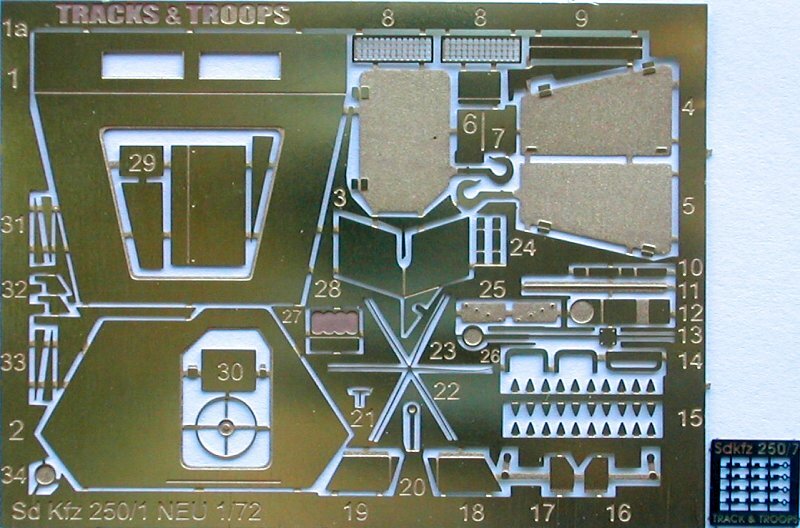 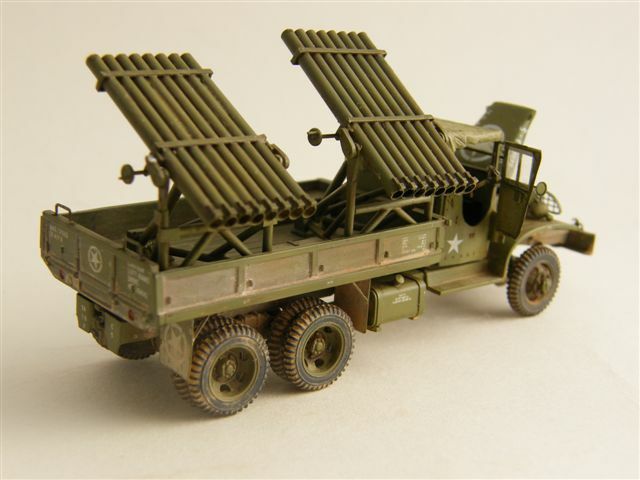 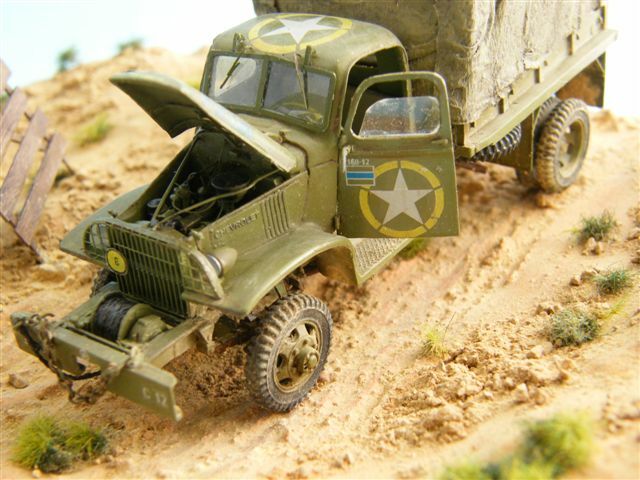 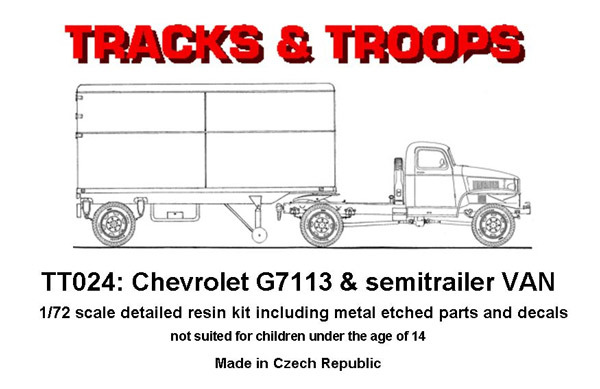 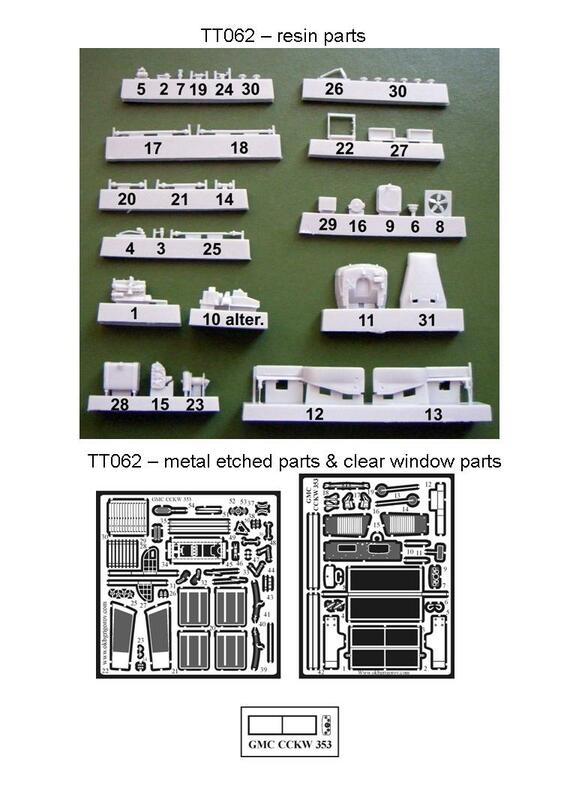 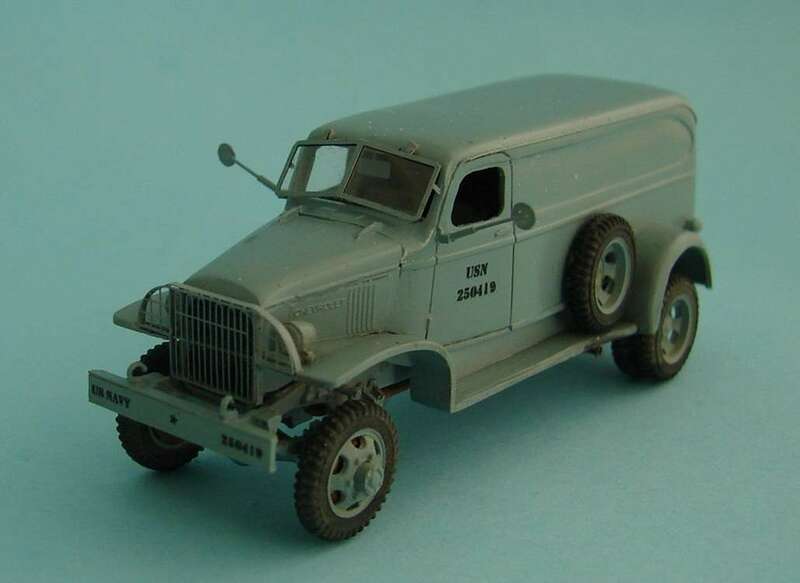 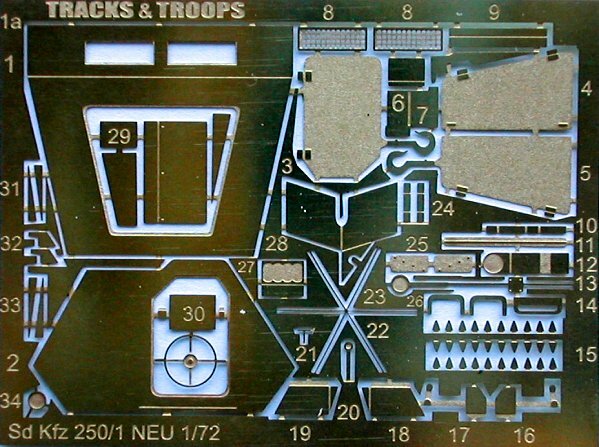 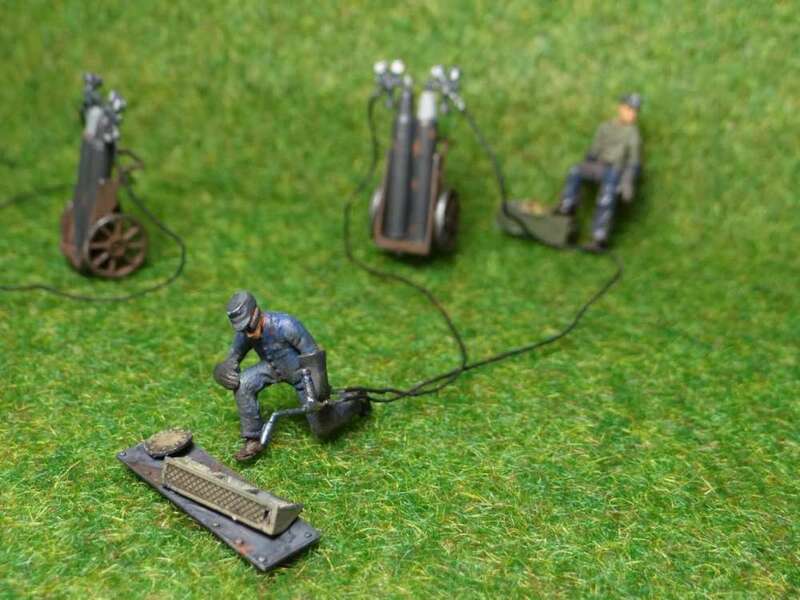 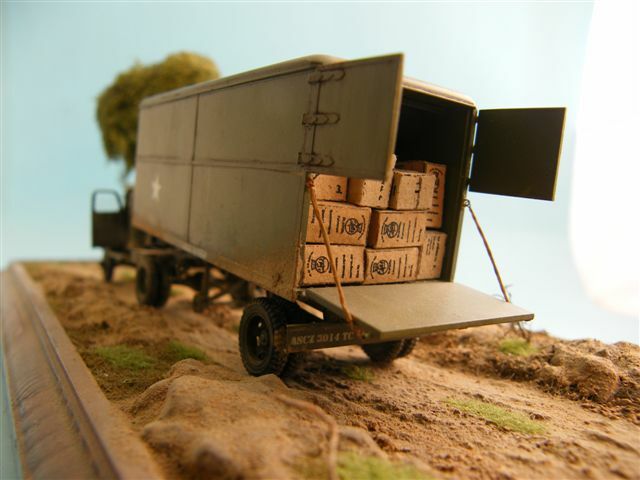 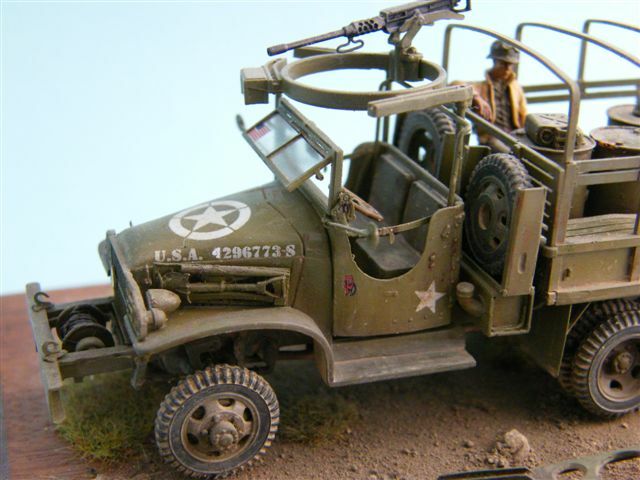 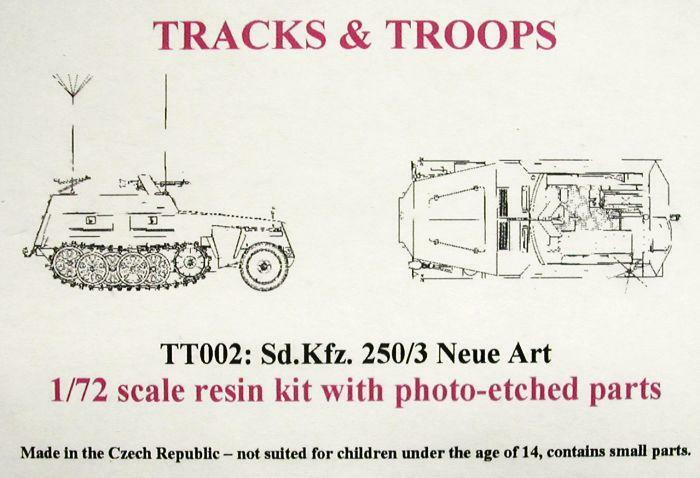 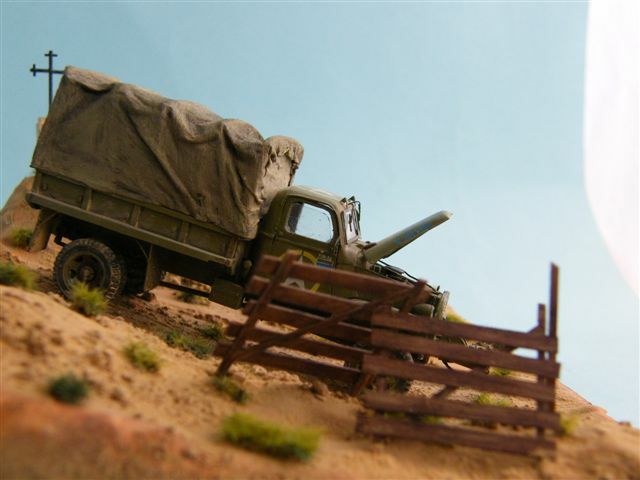 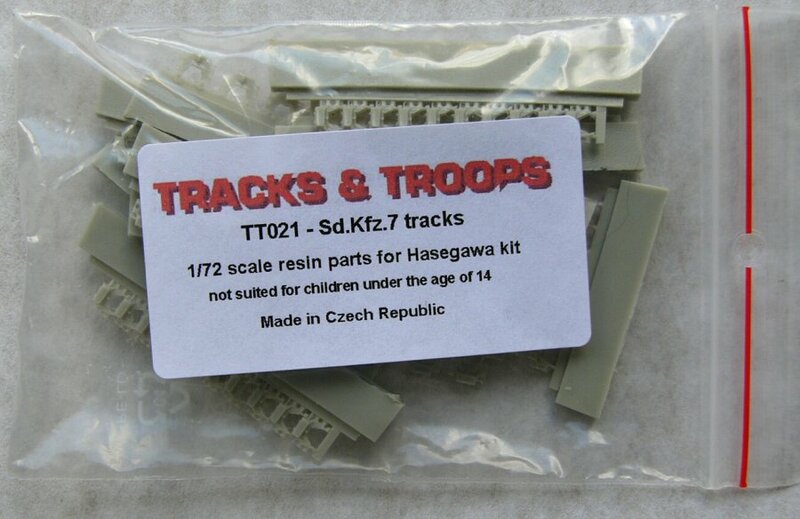 Milan Vins, from Tracks-n-Troops, Czech Republic, have released 1/72 scale kits under the Track-n-Troops label. 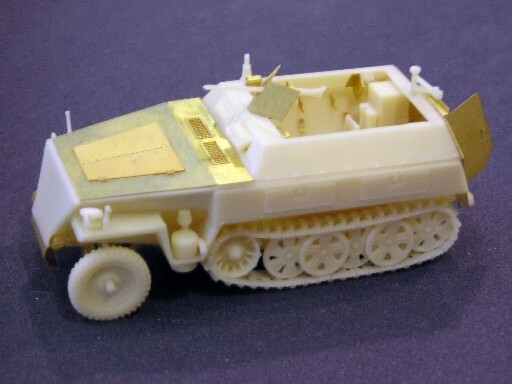 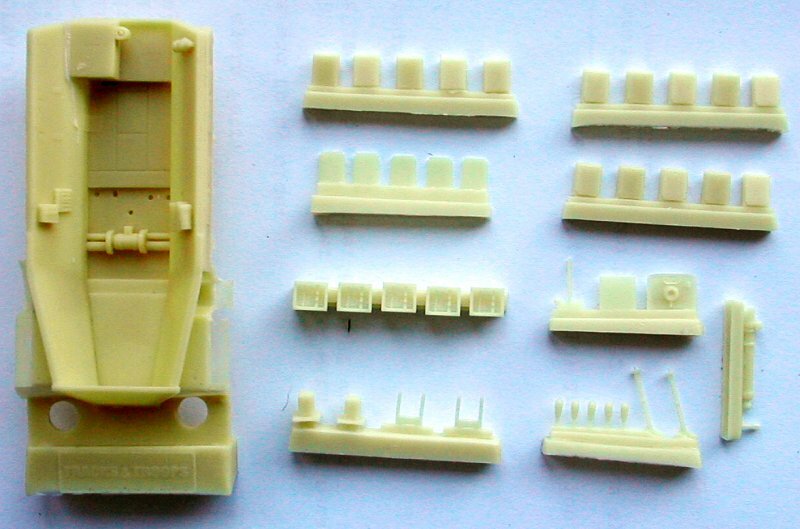 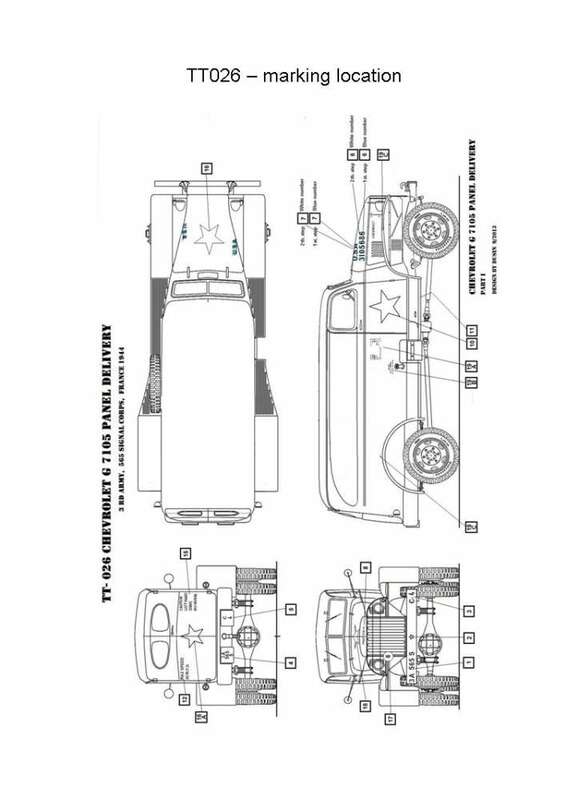 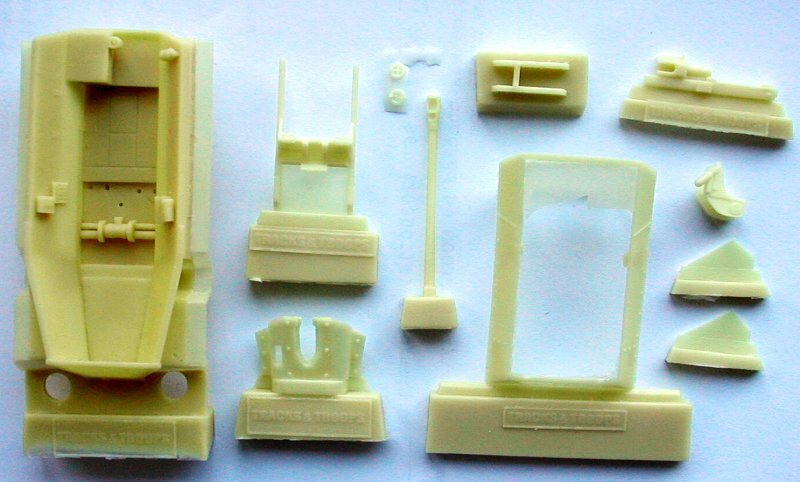 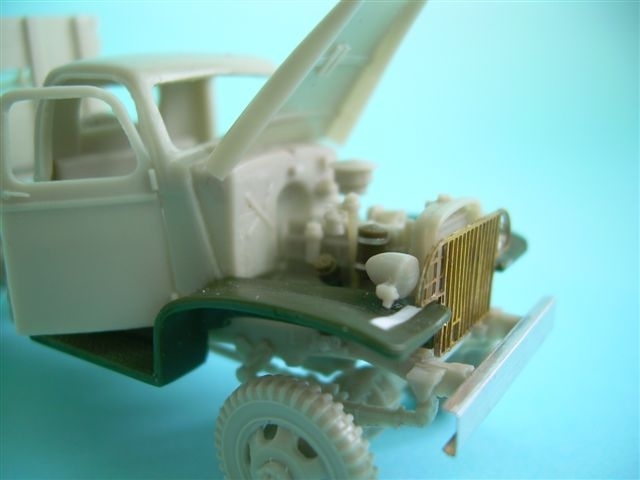 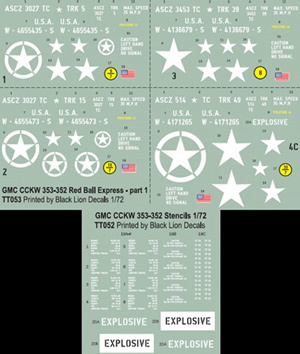 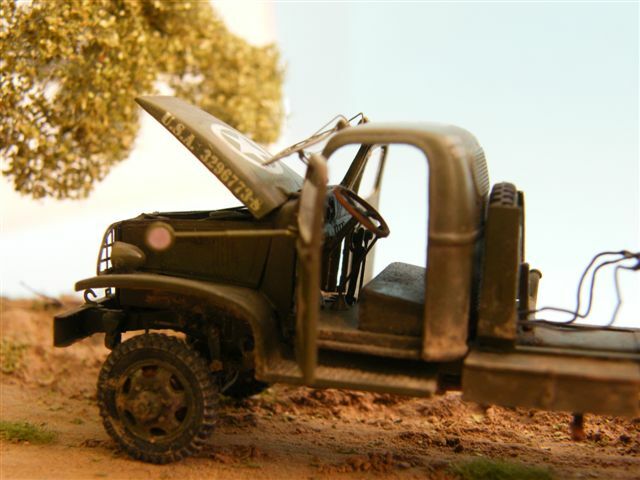 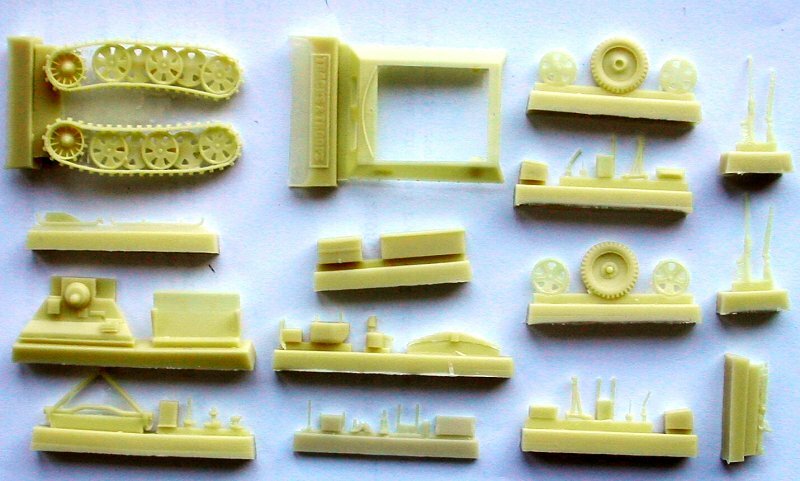 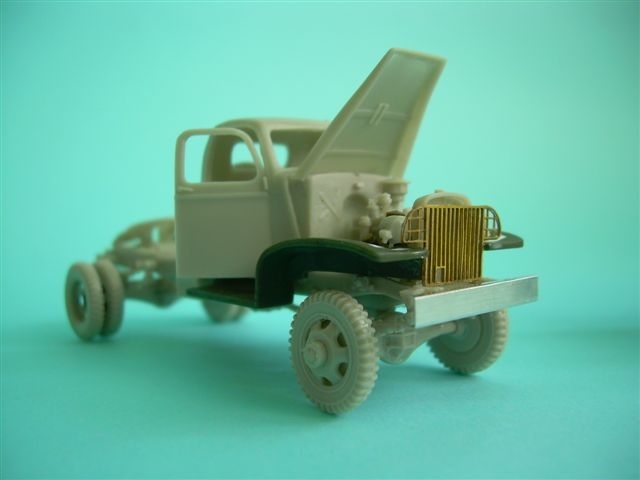 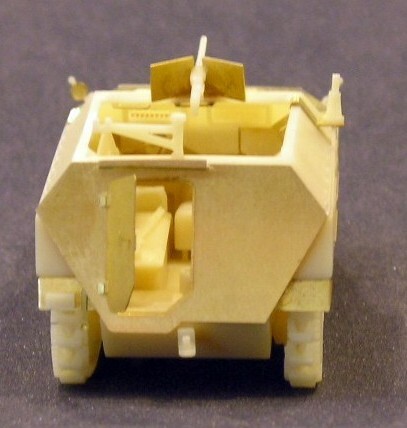 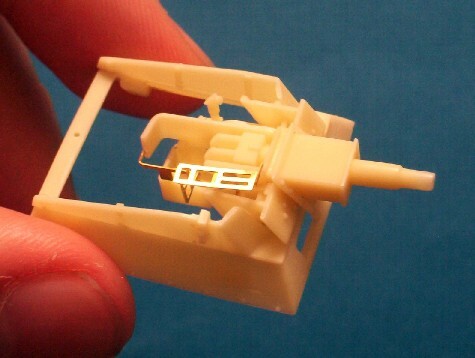 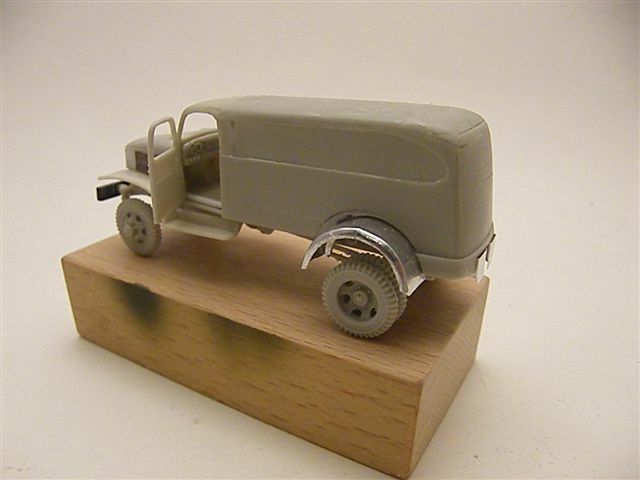 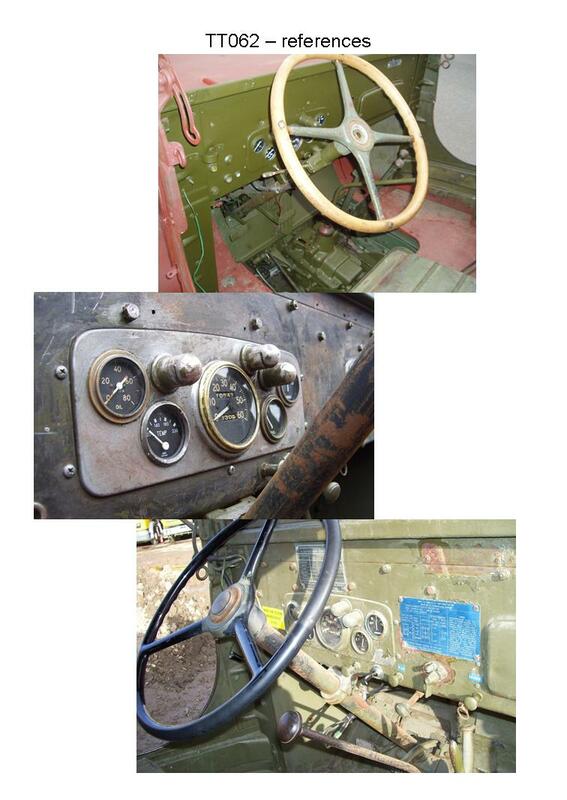 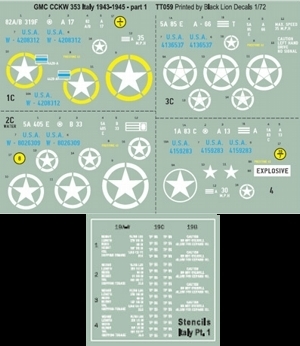 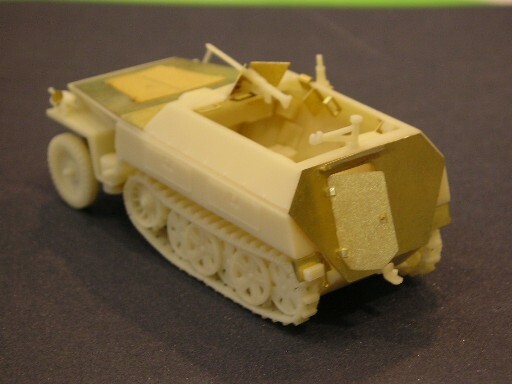 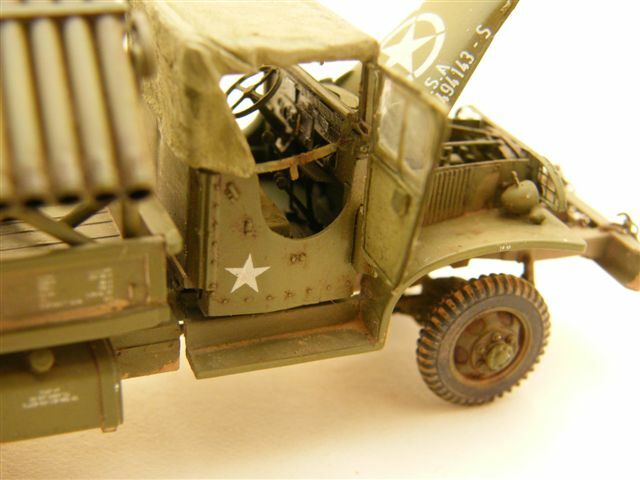 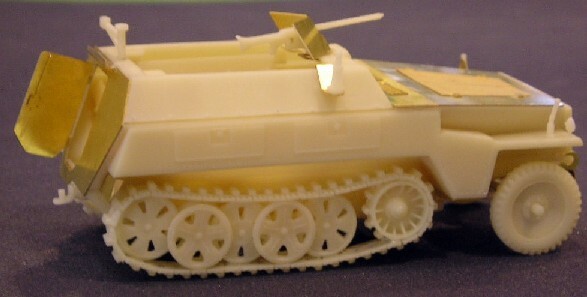 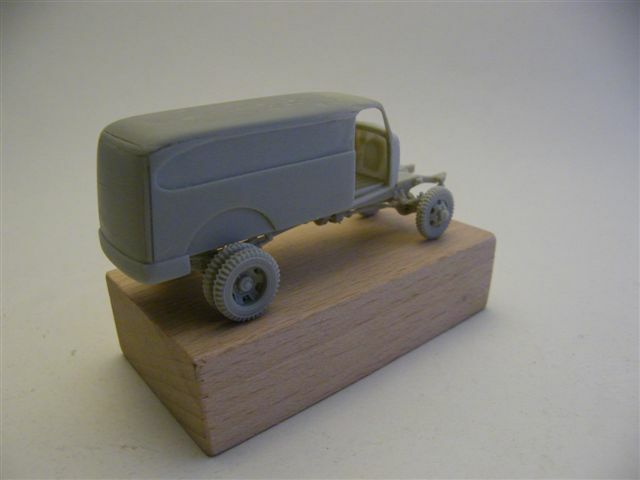 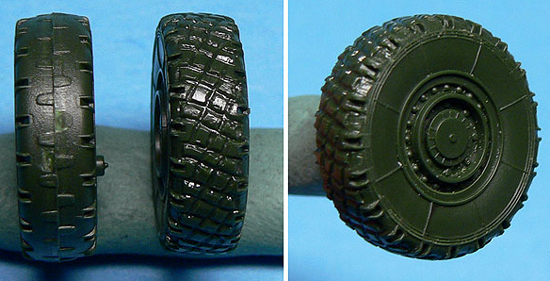 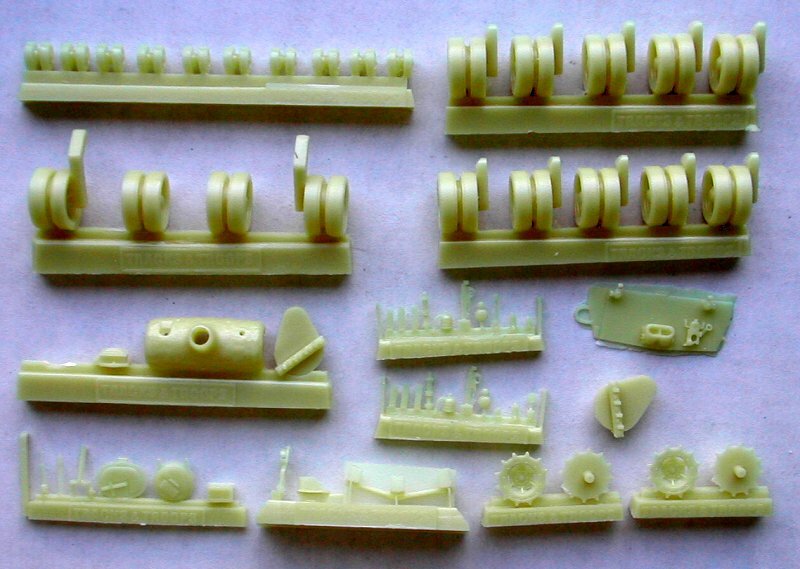 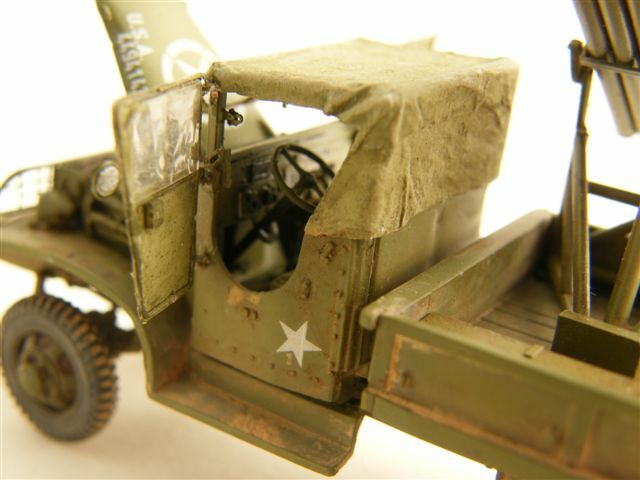 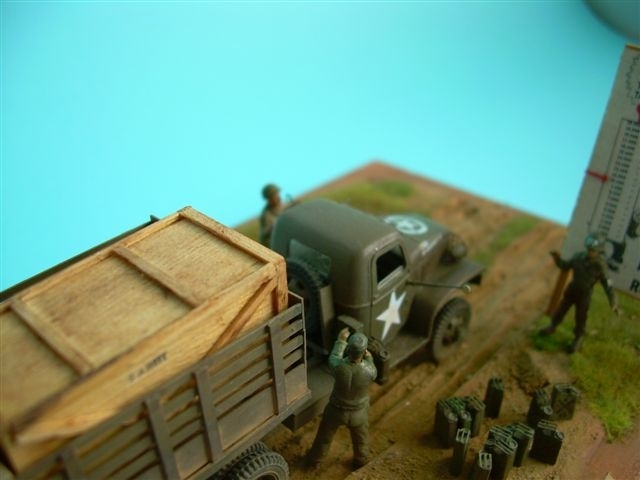 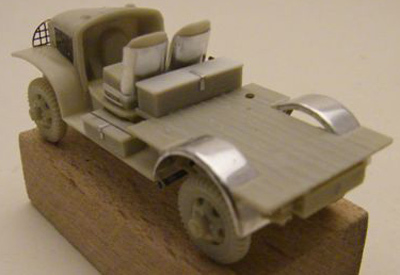 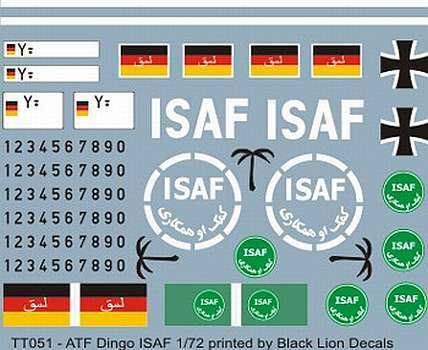 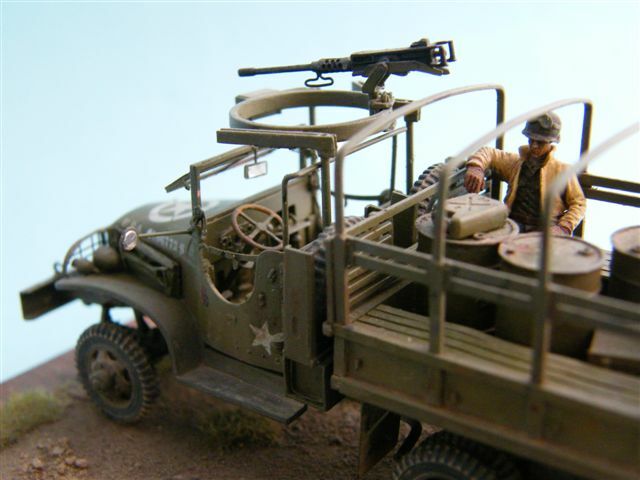 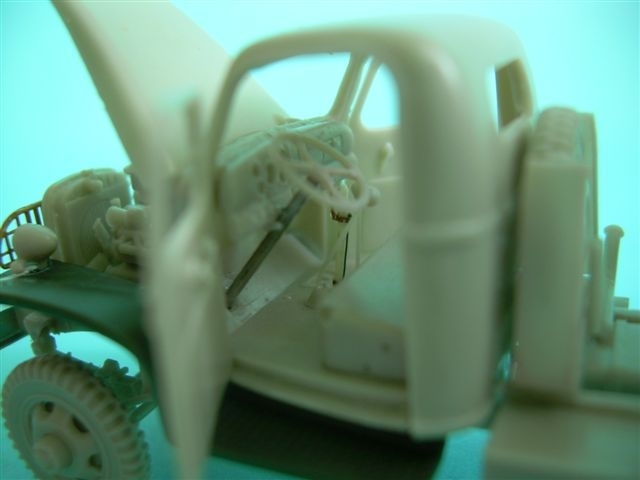 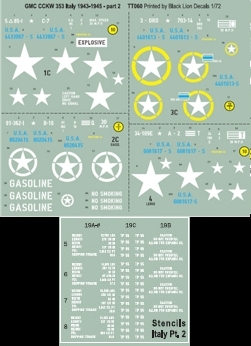 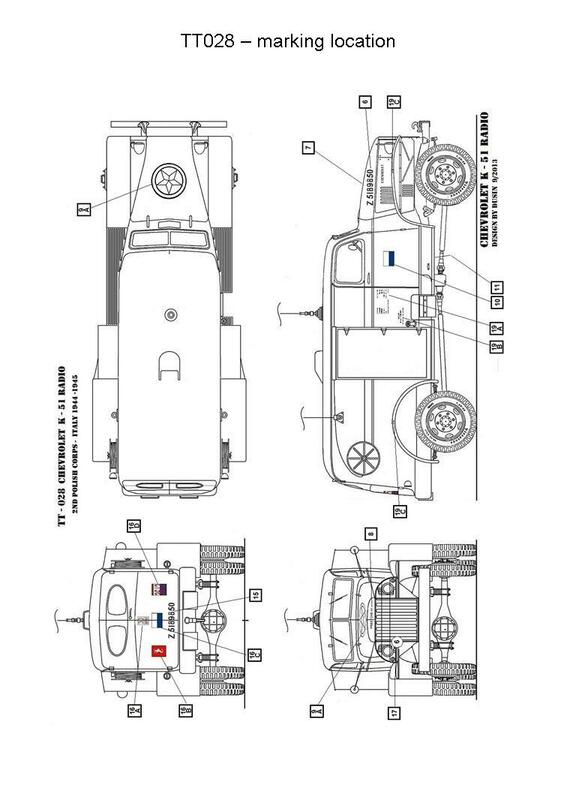 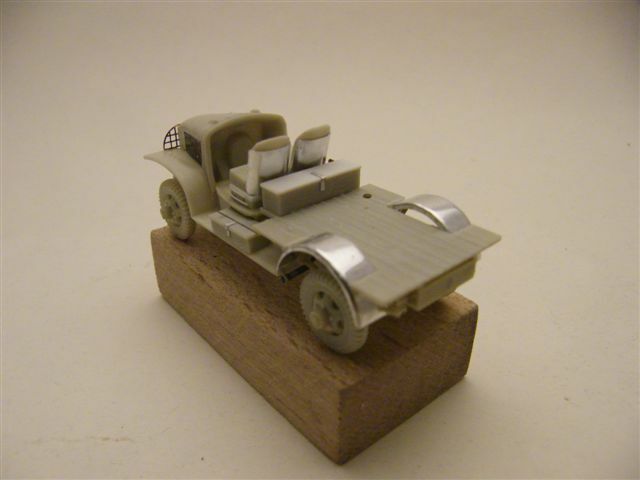 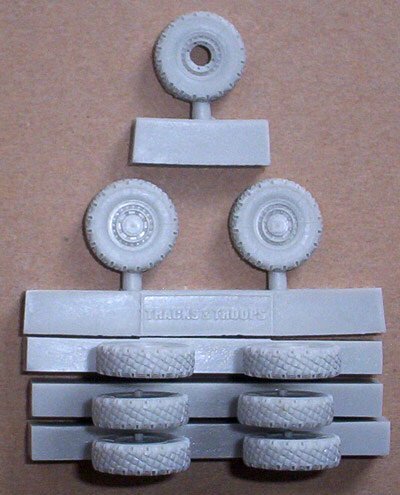 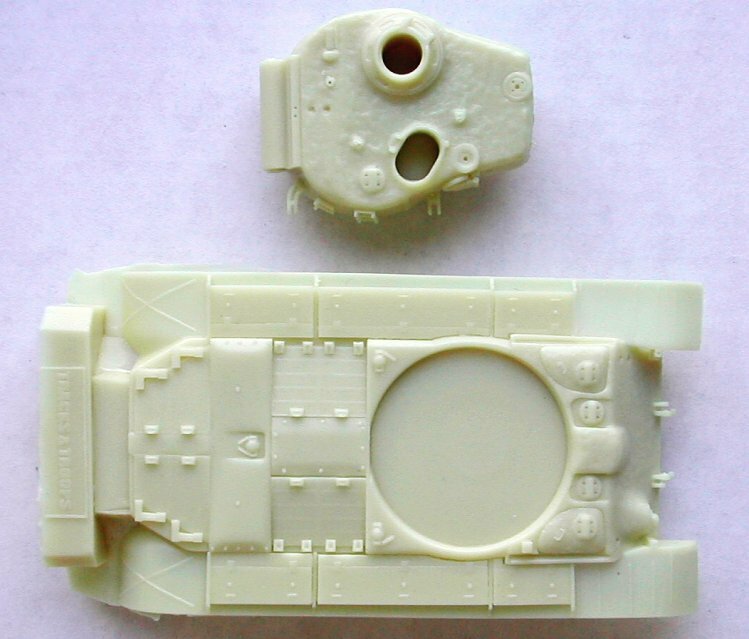 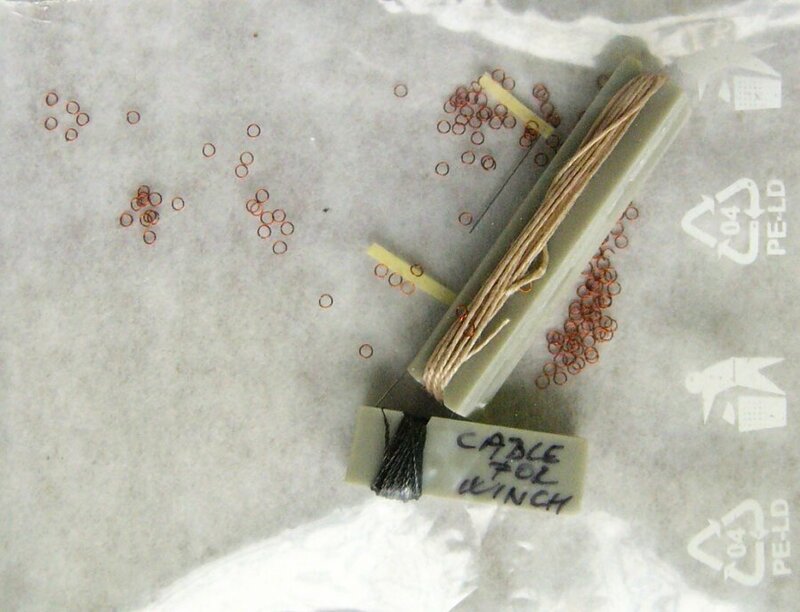 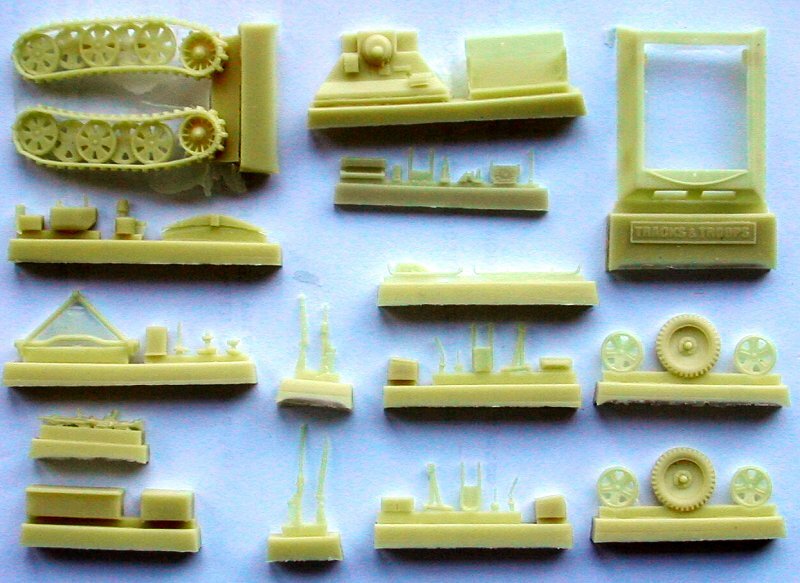 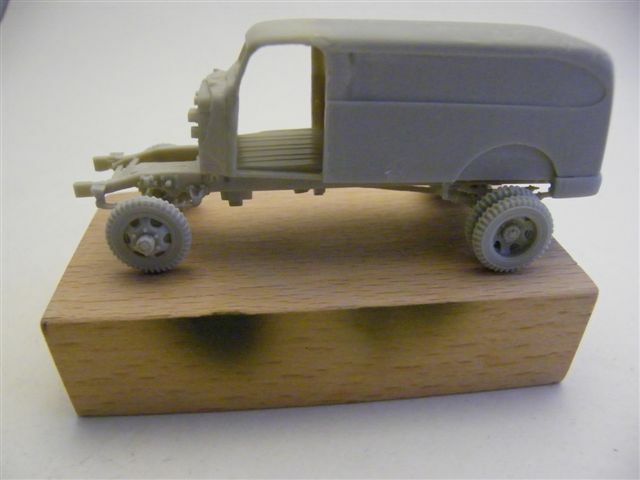 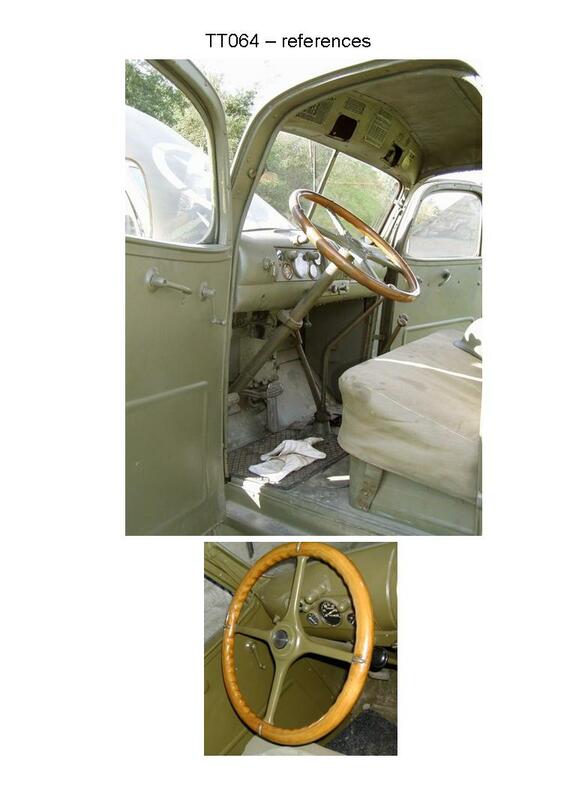 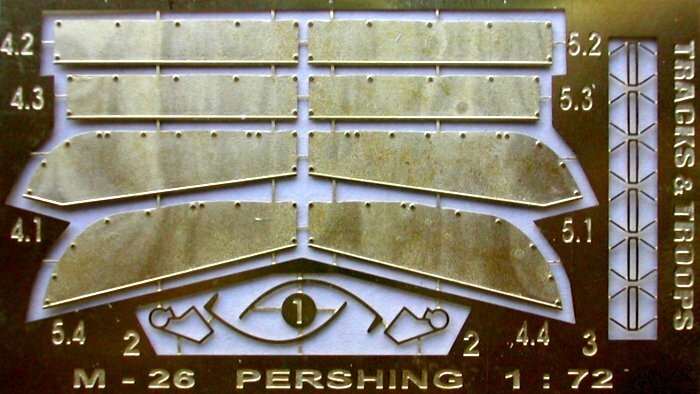 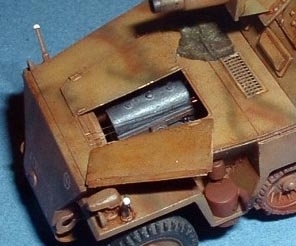 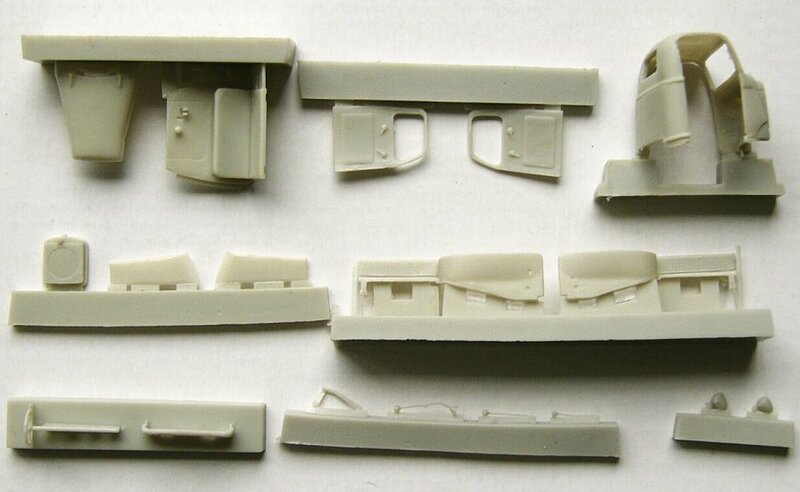 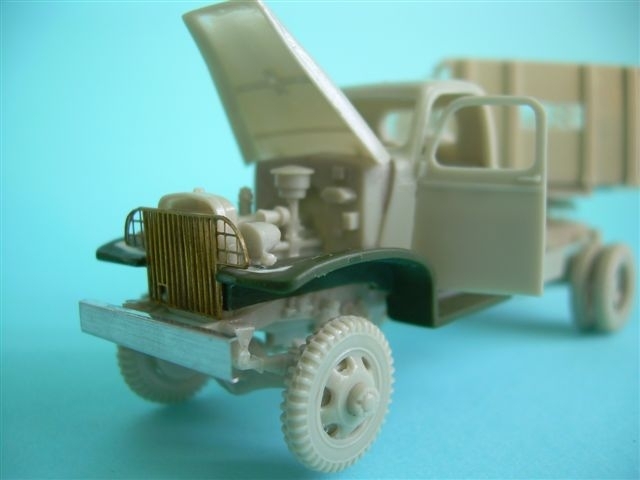 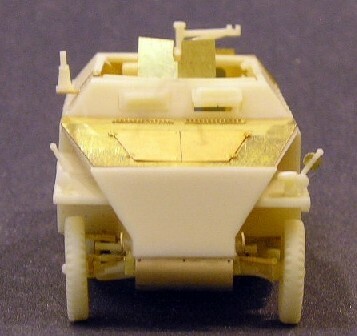 The kits will be made of resin and photo-etched parts allowing you to build an accurate and well detailed vehicle. 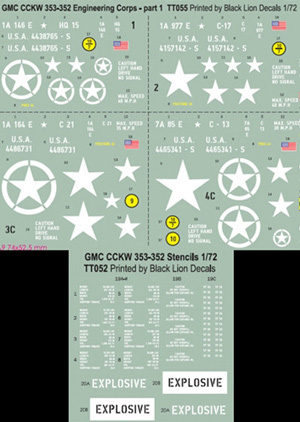 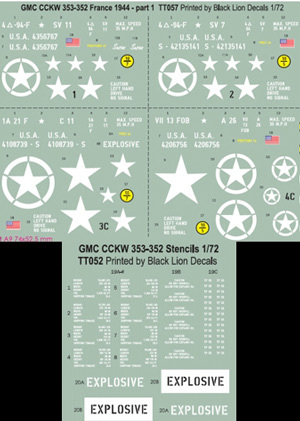 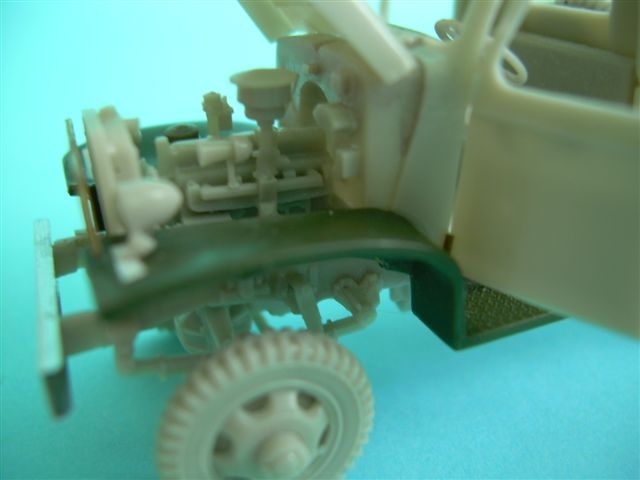 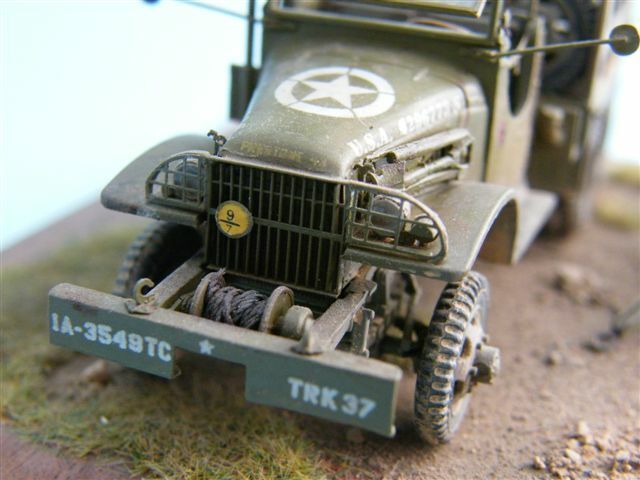 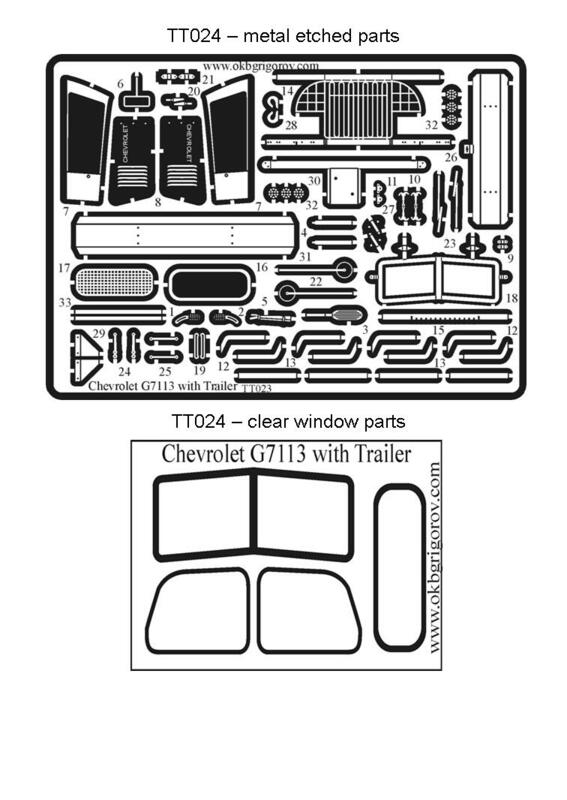 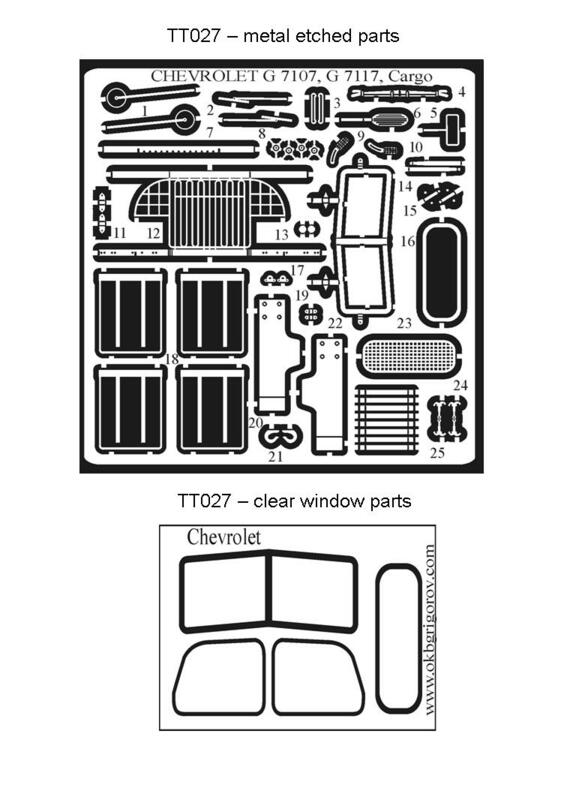 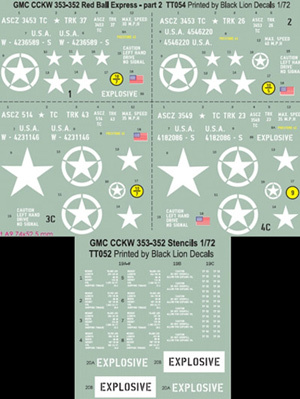 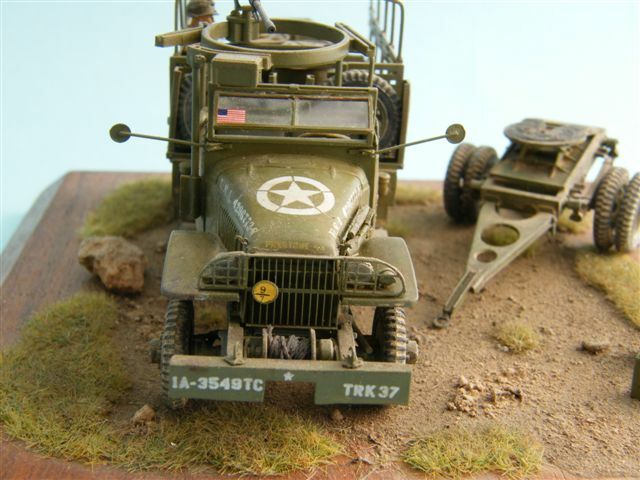 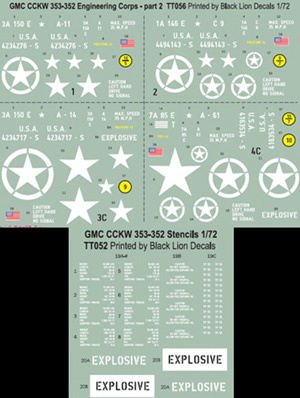 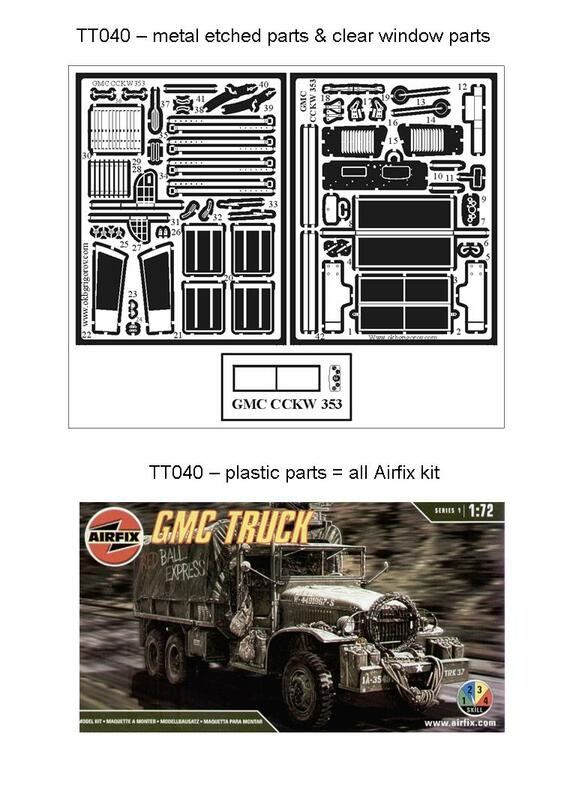 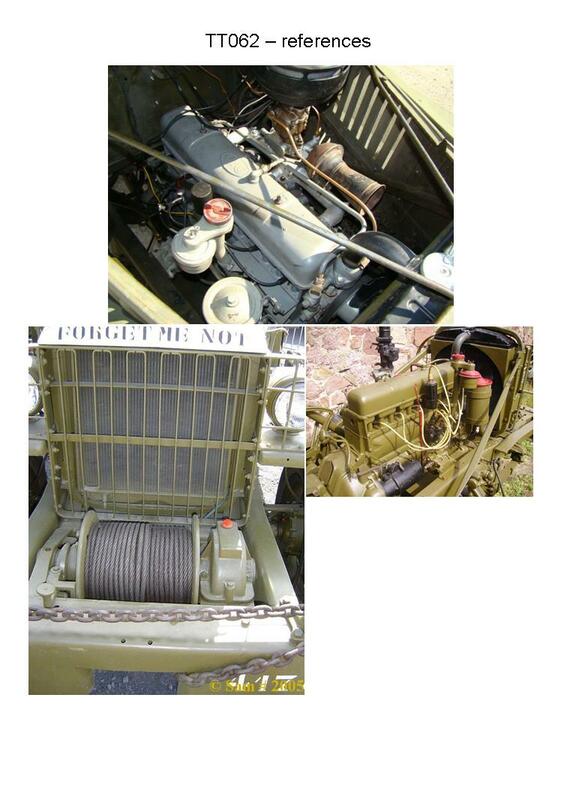 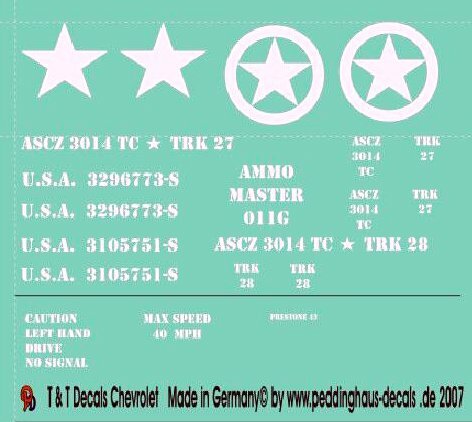 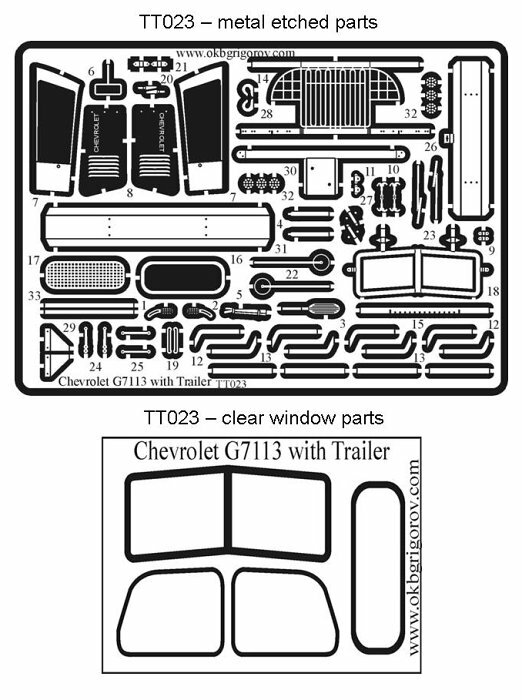 For the master of the Chevrolet M6Bomb service I used the initial kit of the Chevrolet G 7113 tractor, which I´ve made for T&T in 2007. 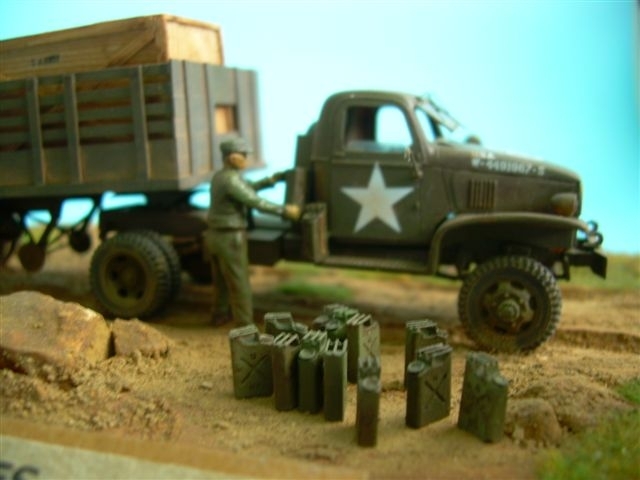 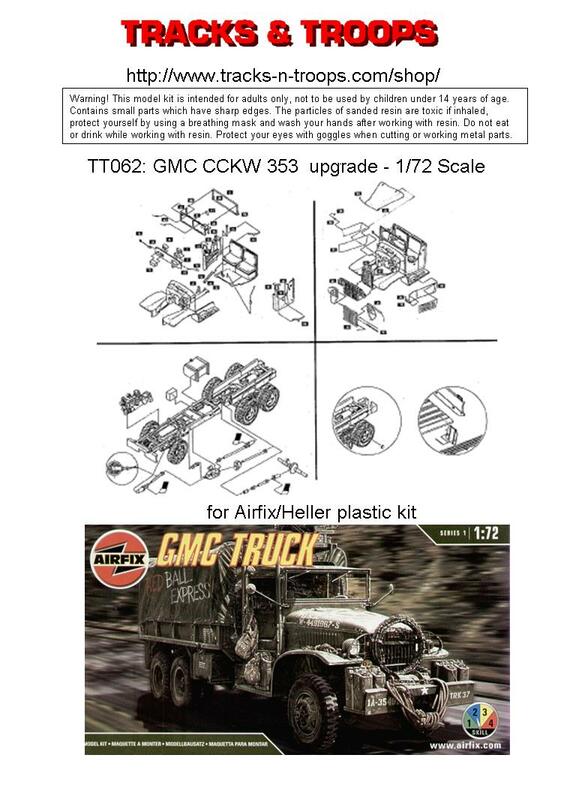 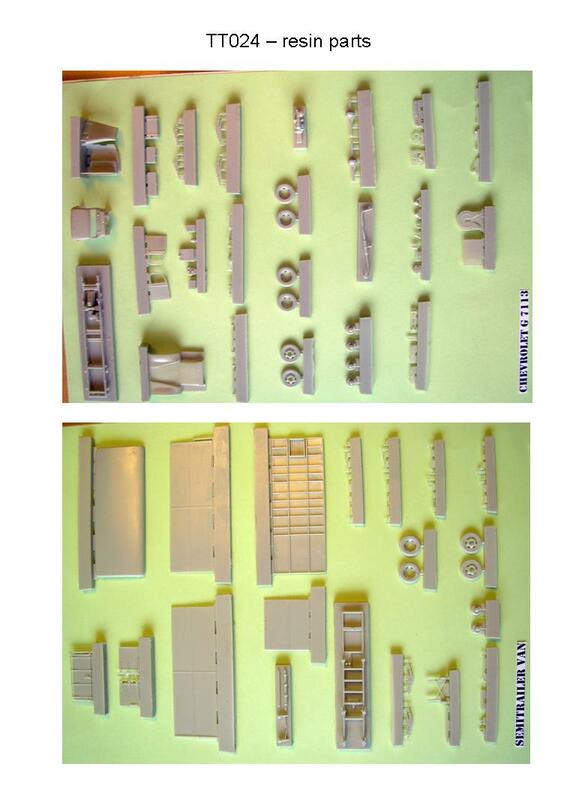 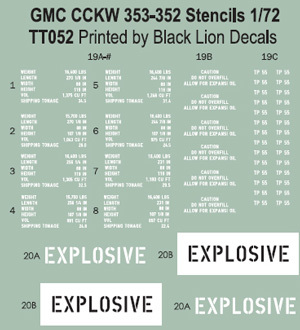 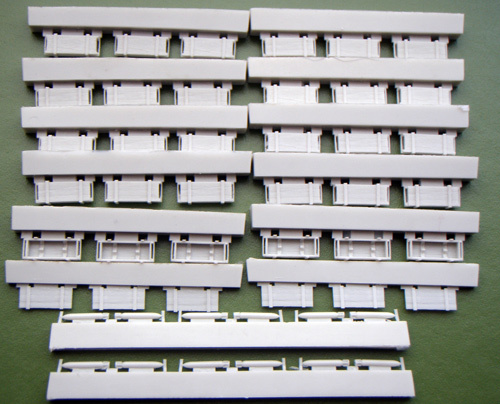 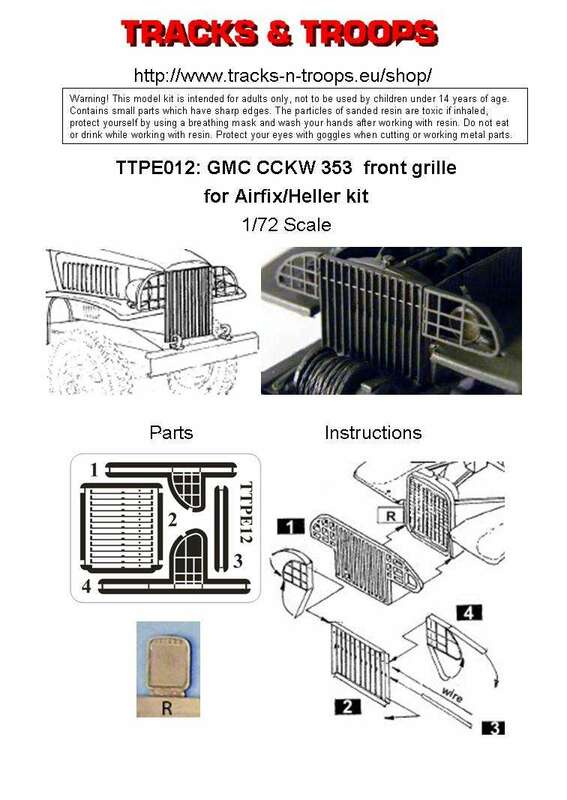 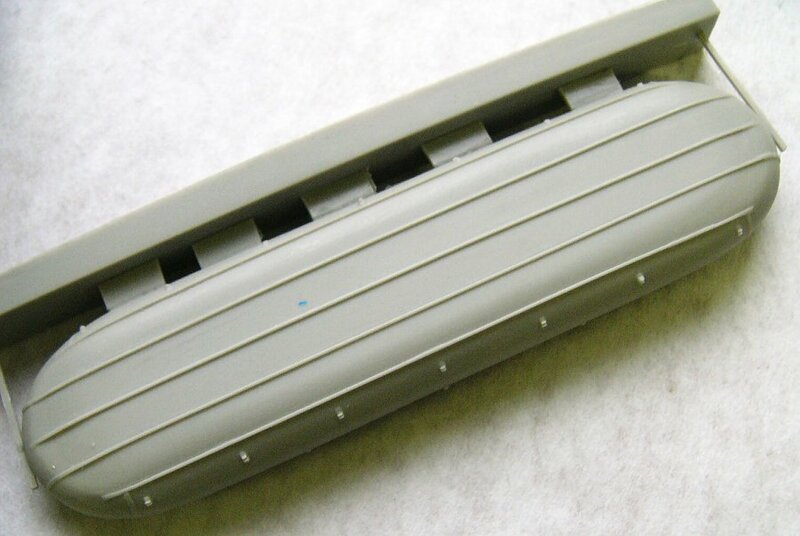 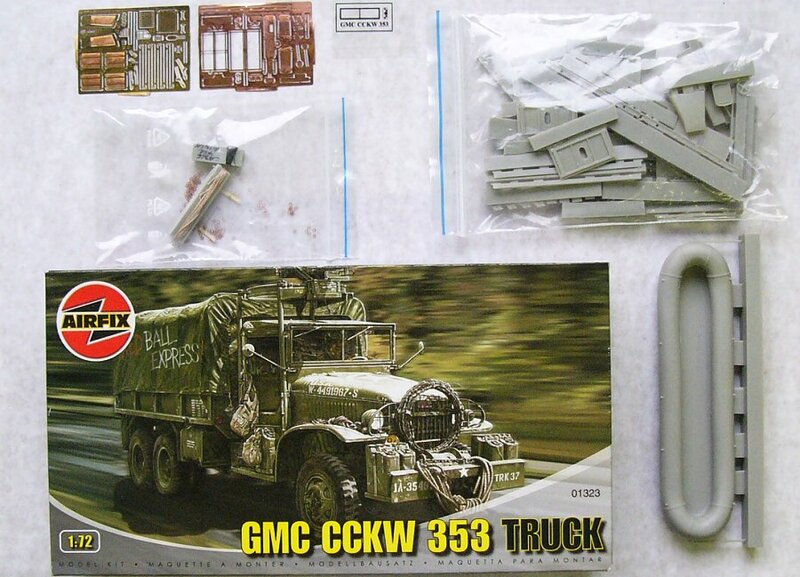 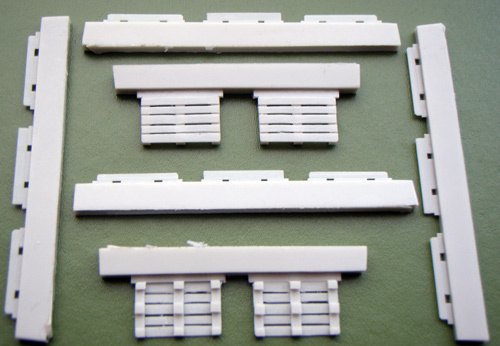 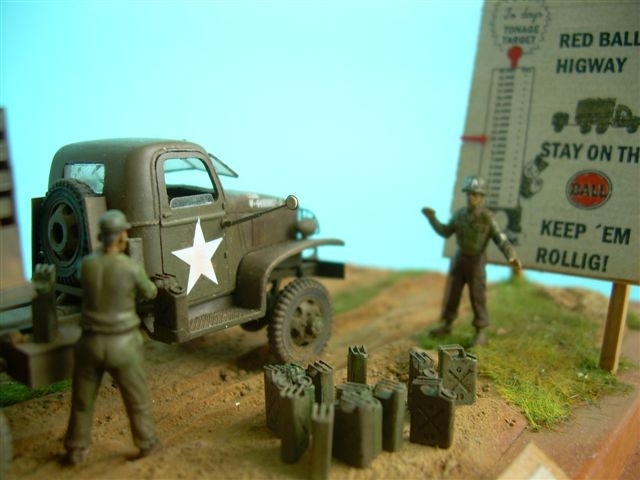 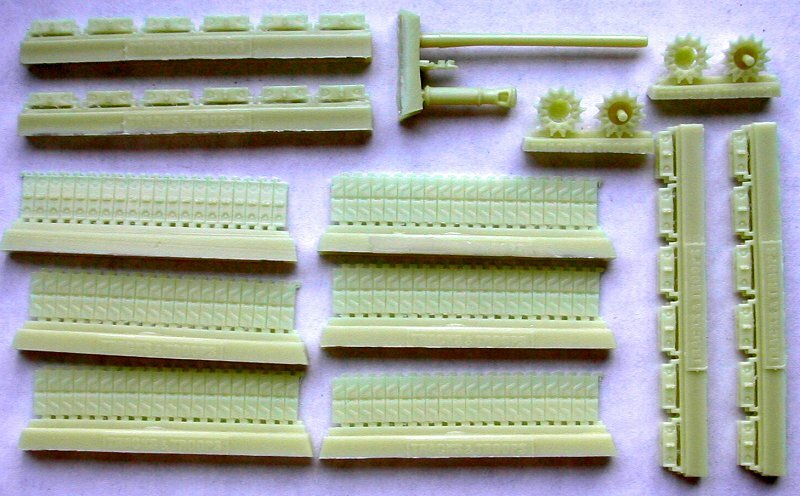 Some parts I used from the 3-ton semitrailer and the upgrade for GMC 352/353. 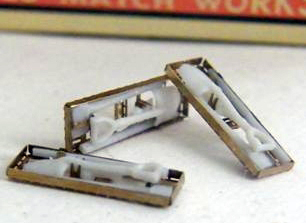 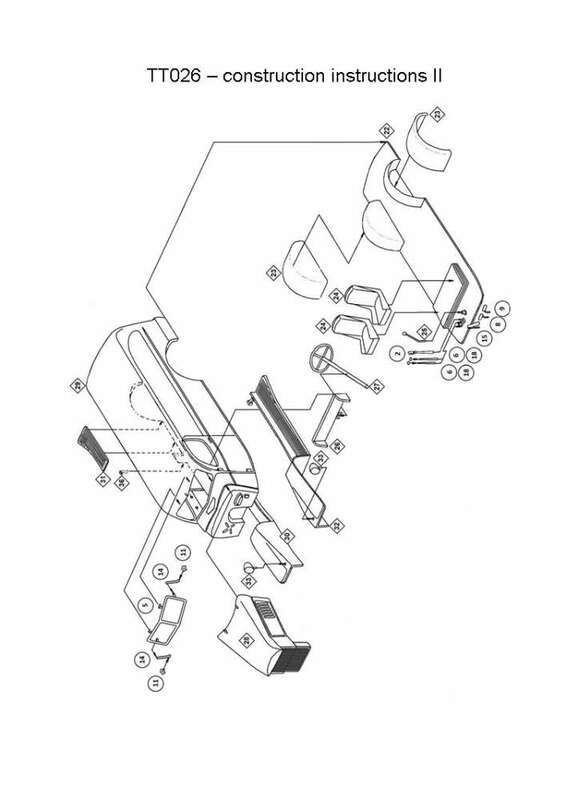 The frame is shorter from the initial "WB145" to the "WB125" length. 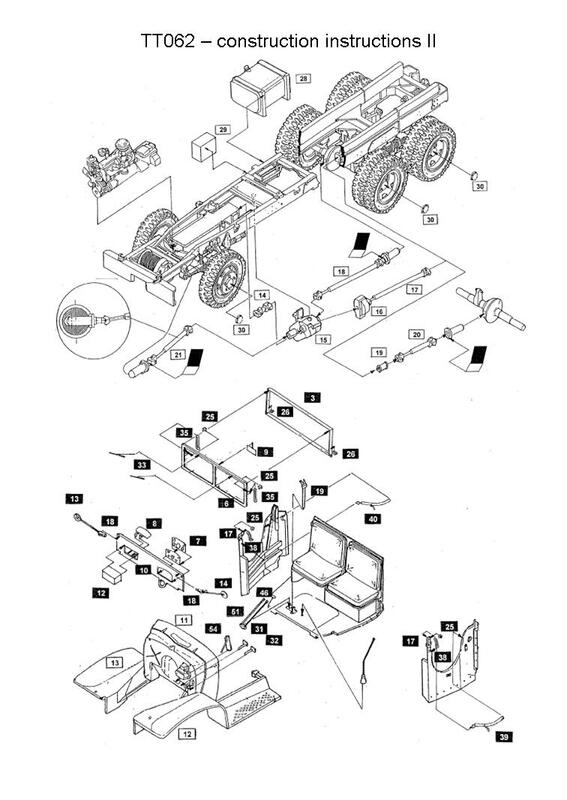 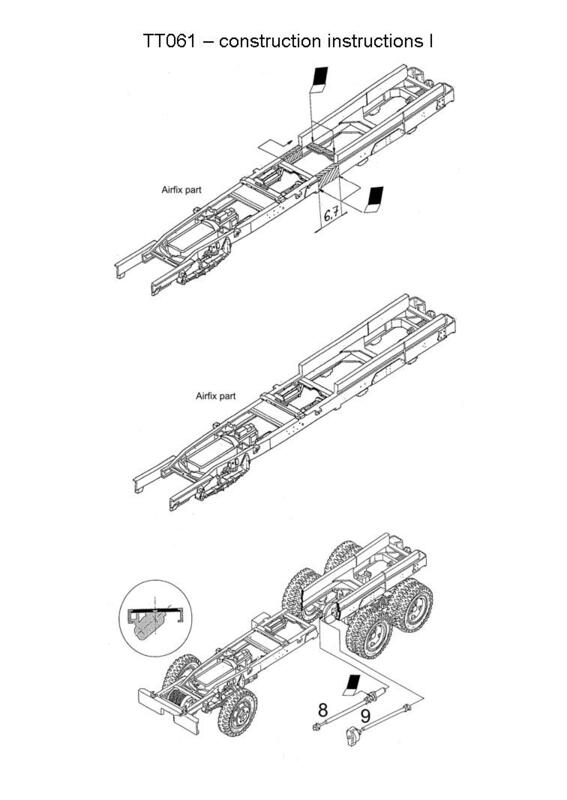 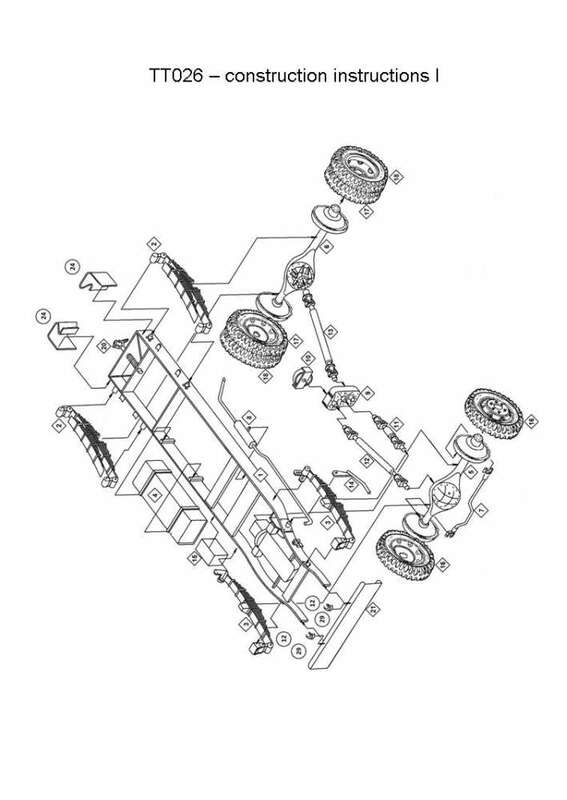 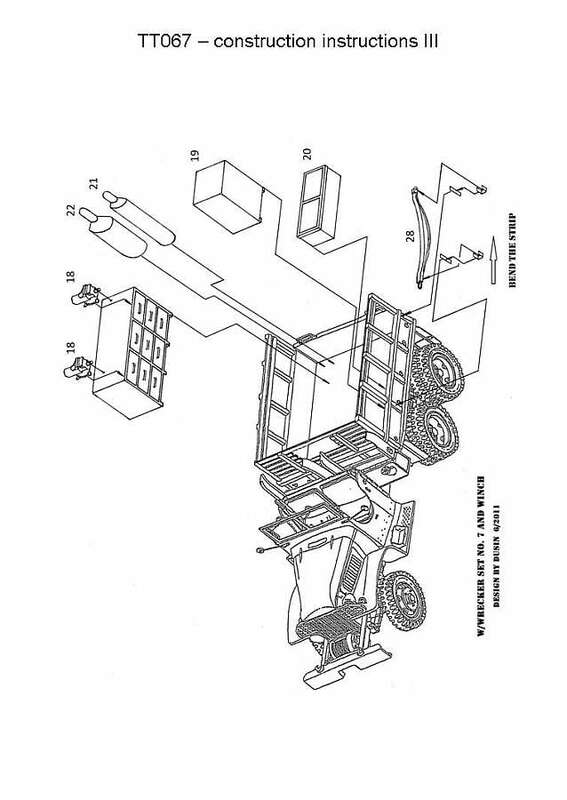 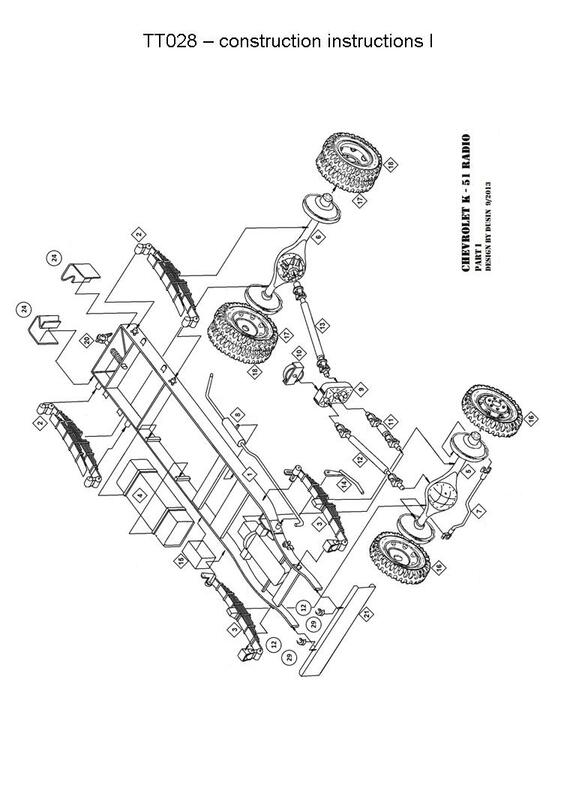 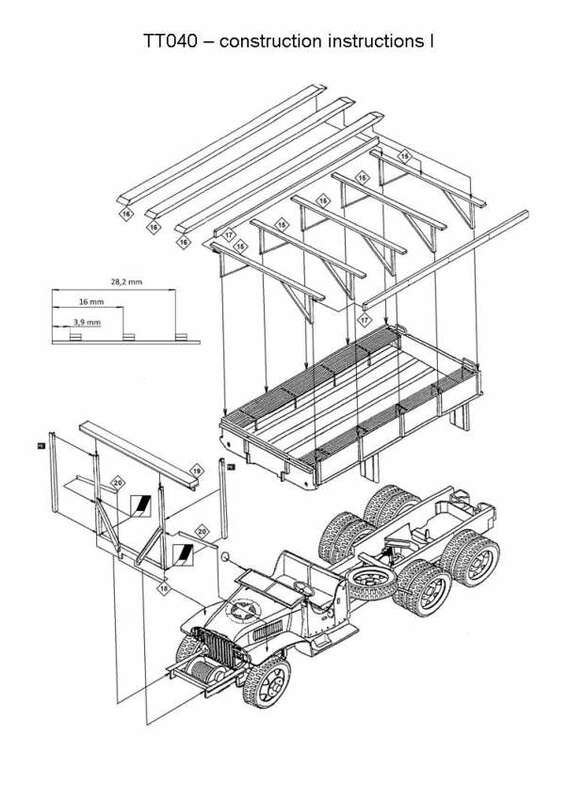 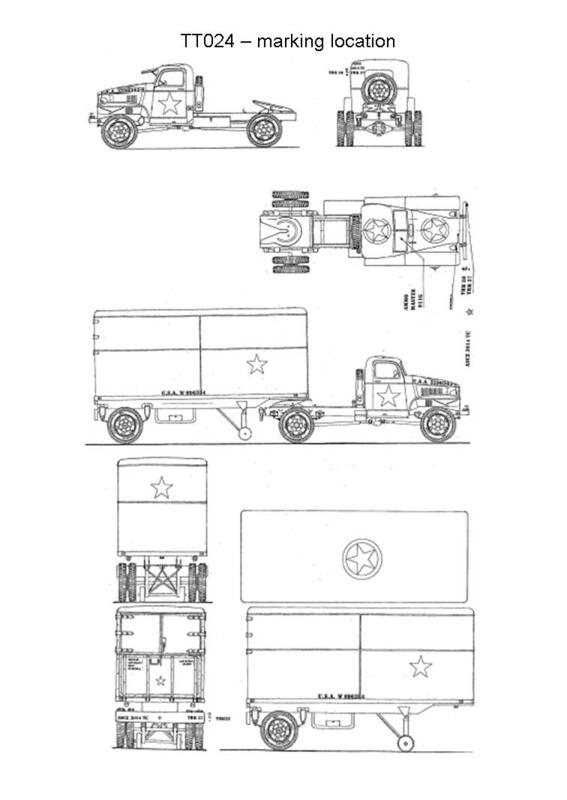 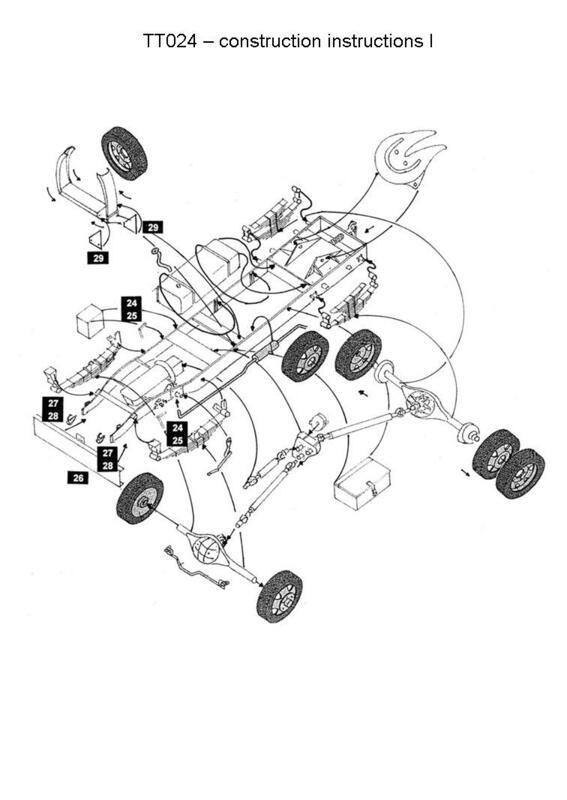 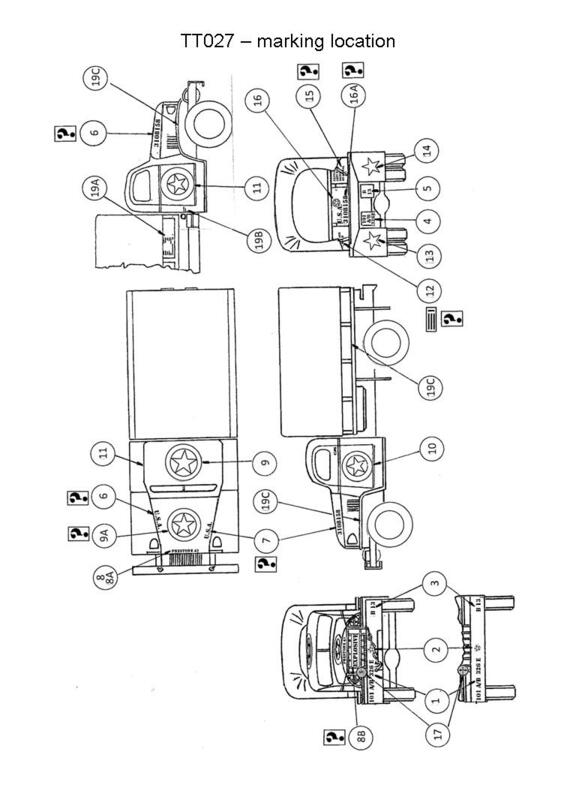 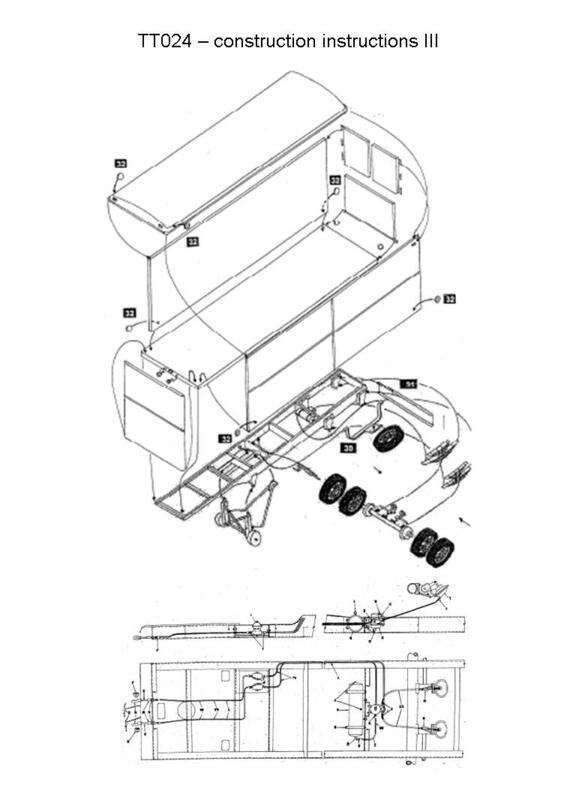 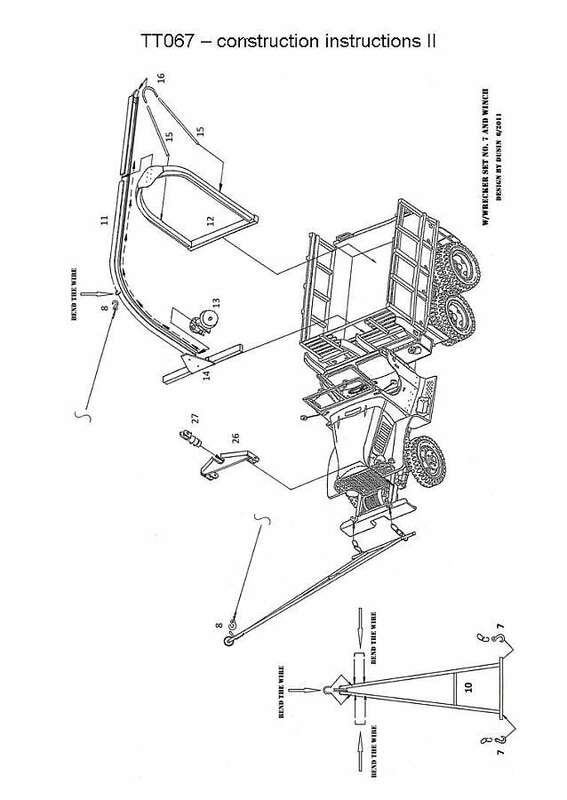 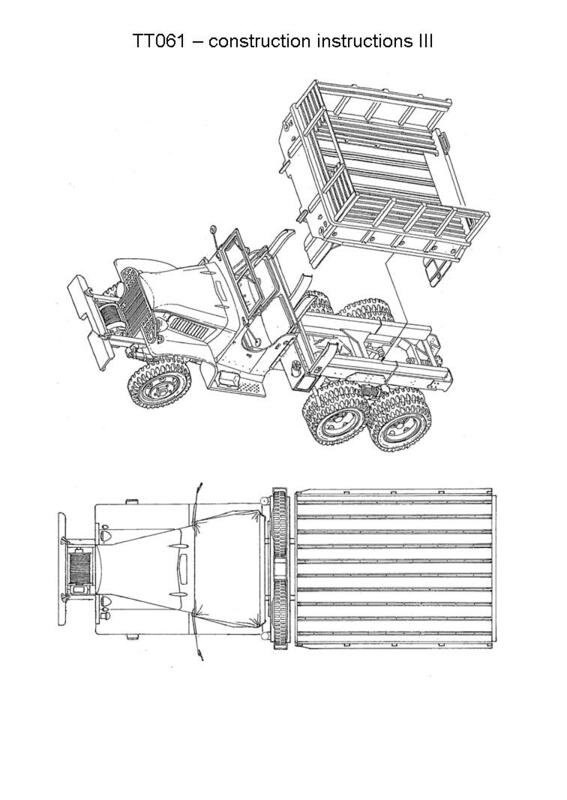 The mudguards on the back-axle are made from alluminium waiters. 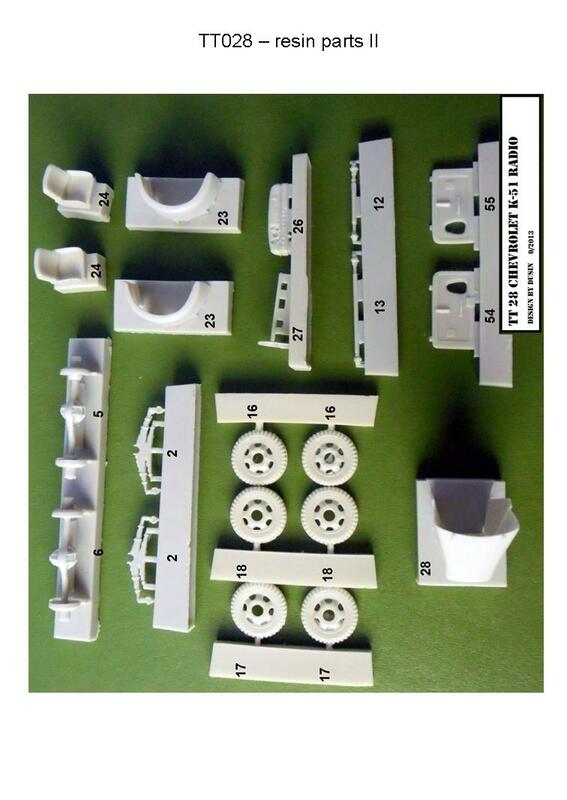 This kit is in-process I think the master will be ready in January 2010. 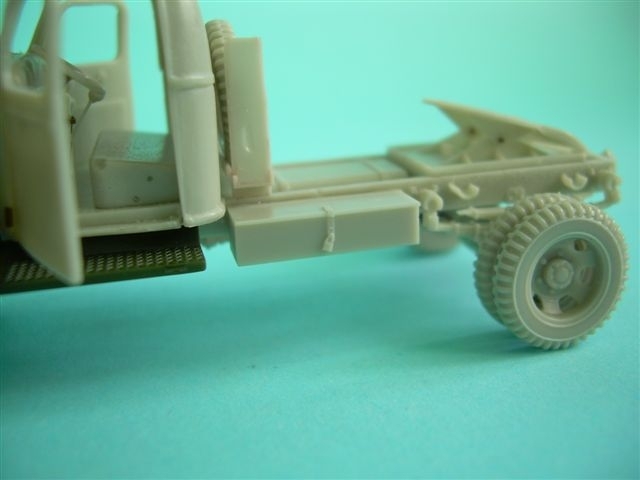 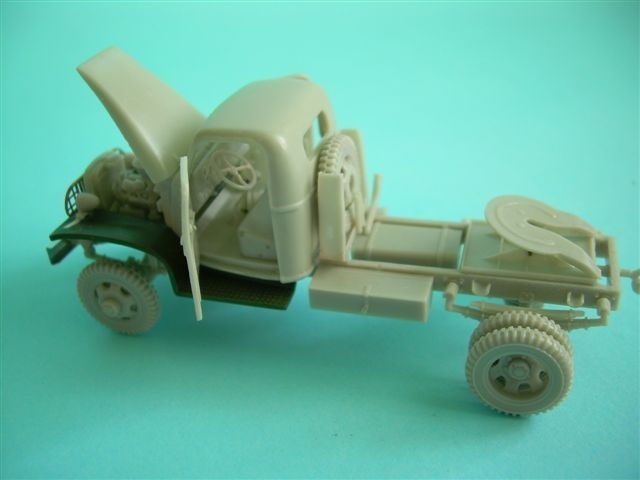 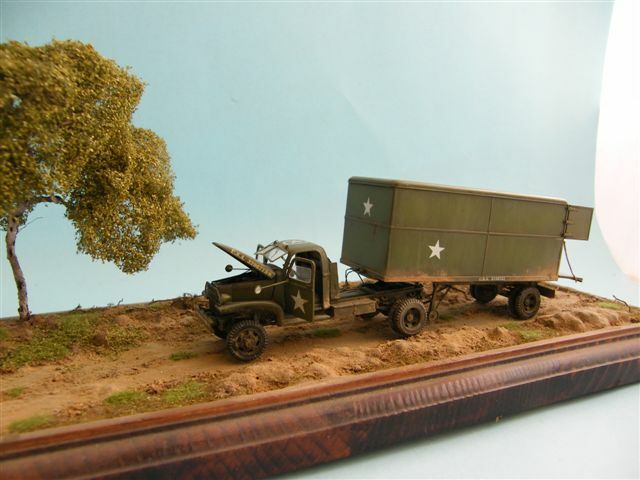 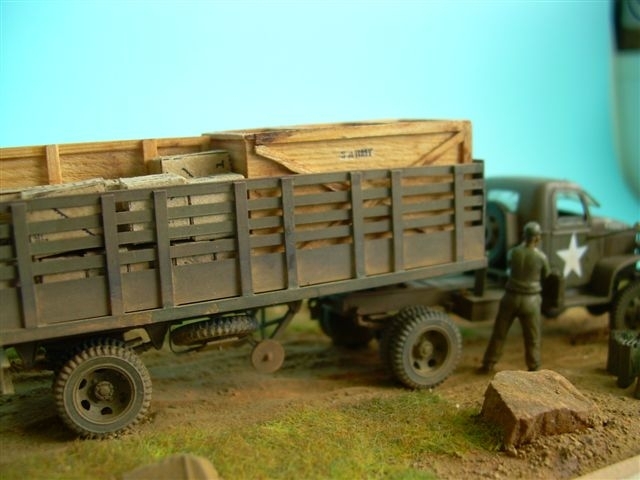 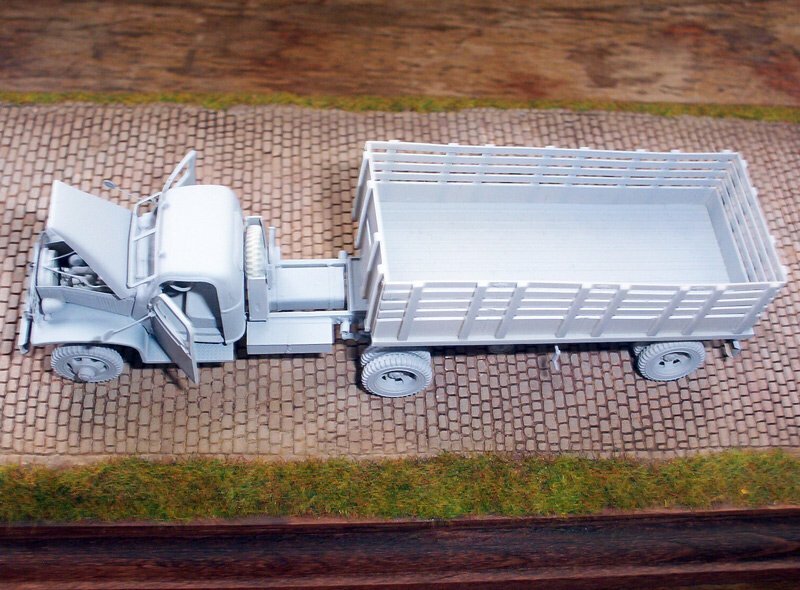 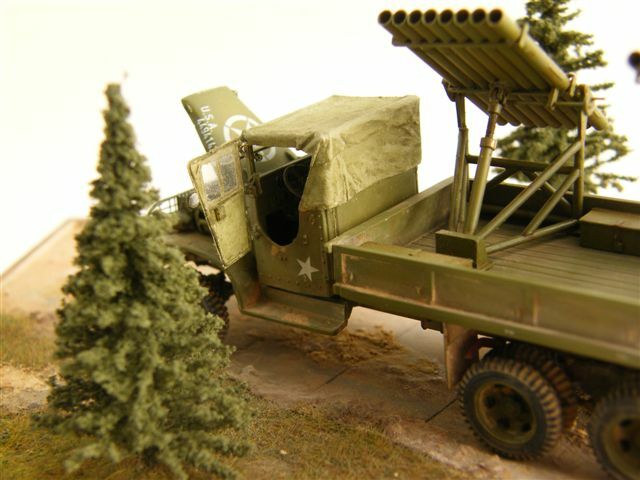 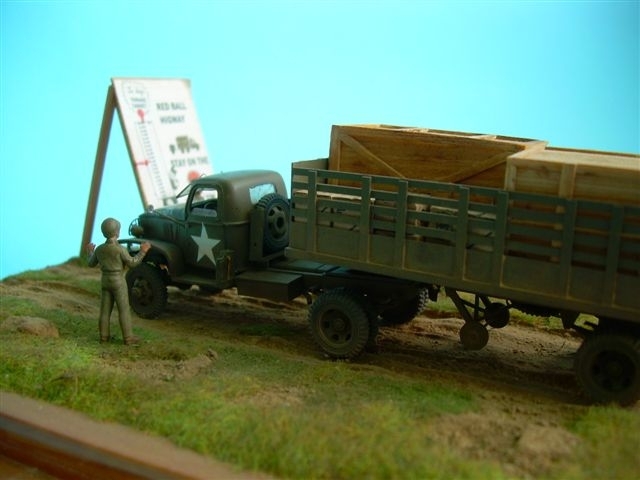 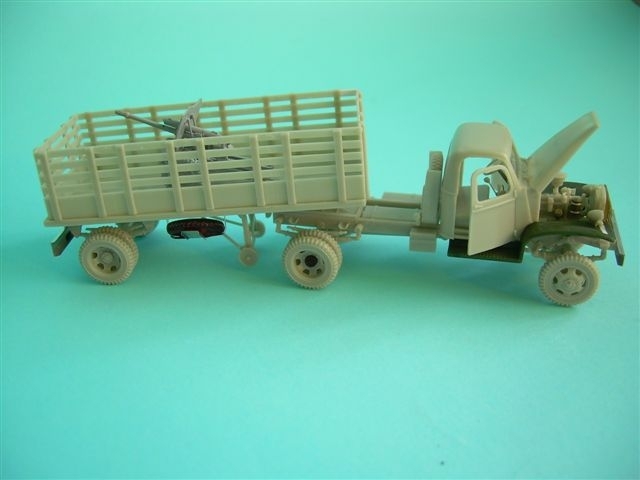 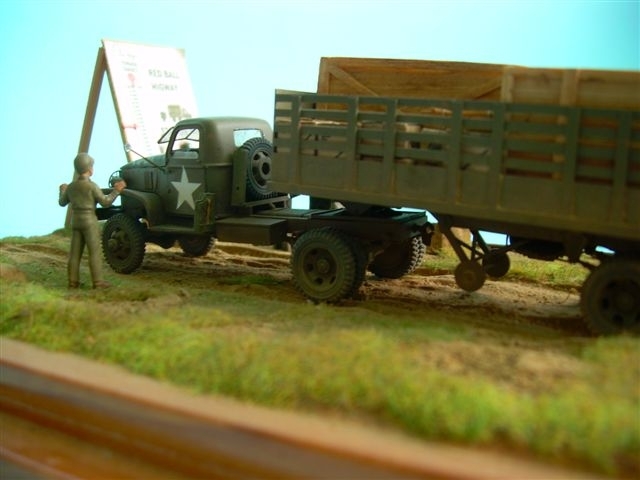 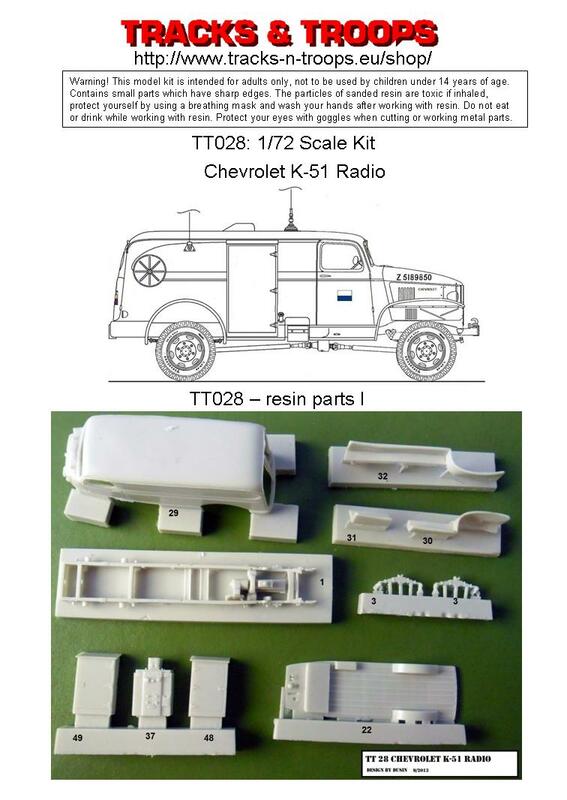 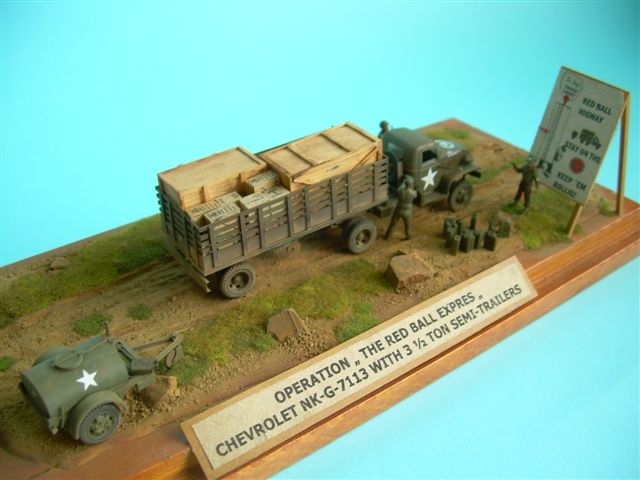 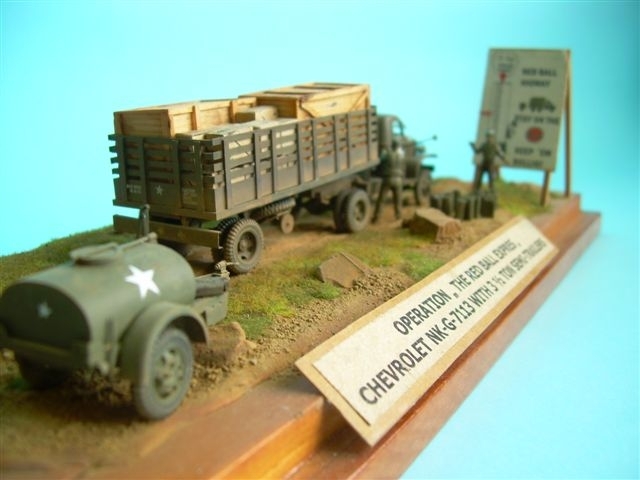 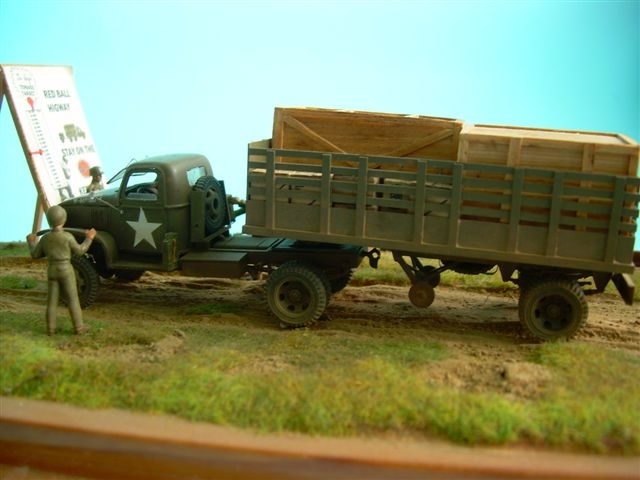 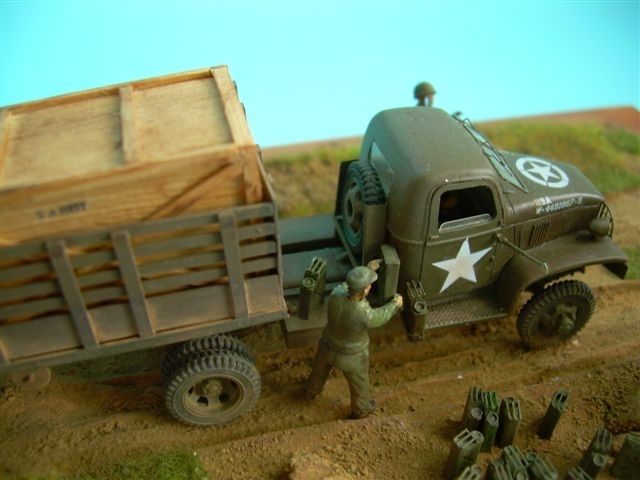 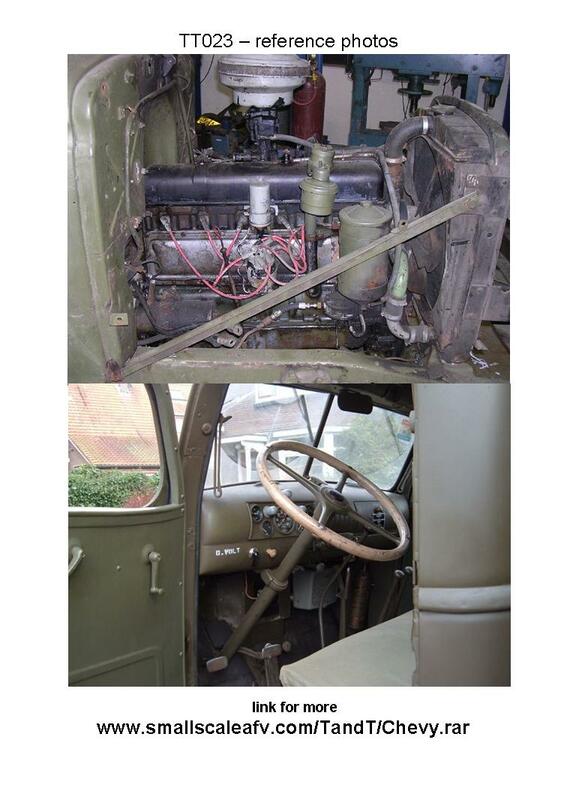 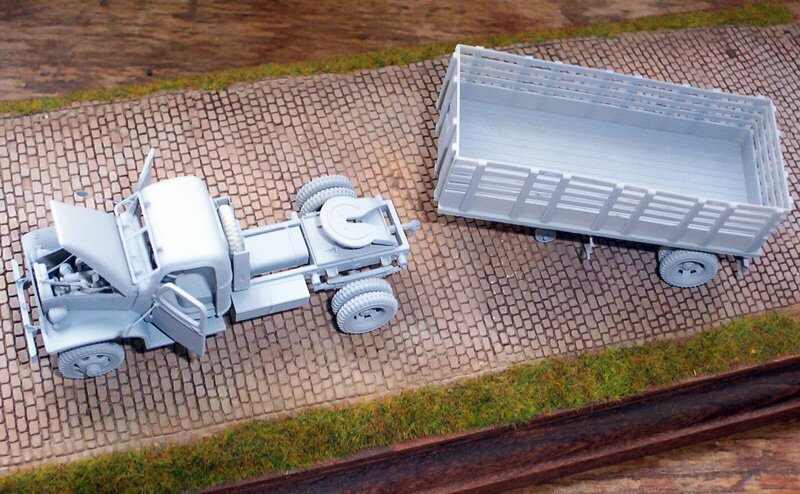 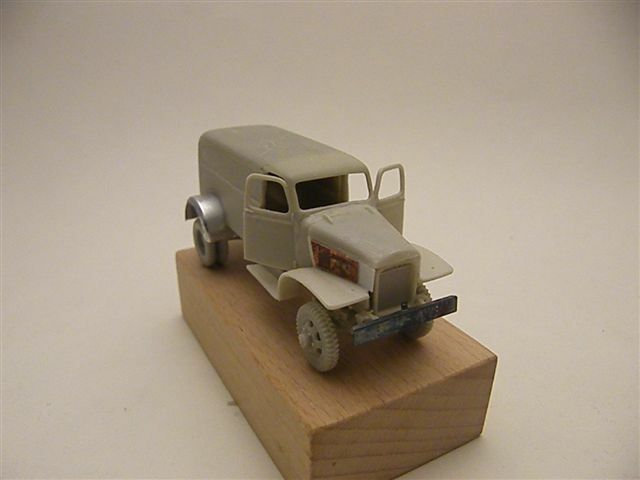 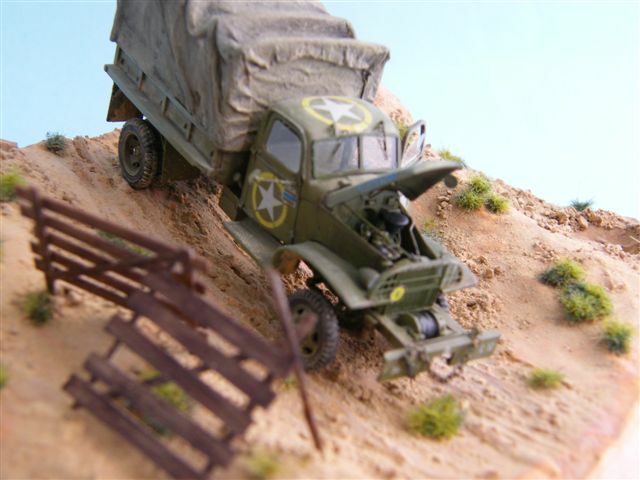 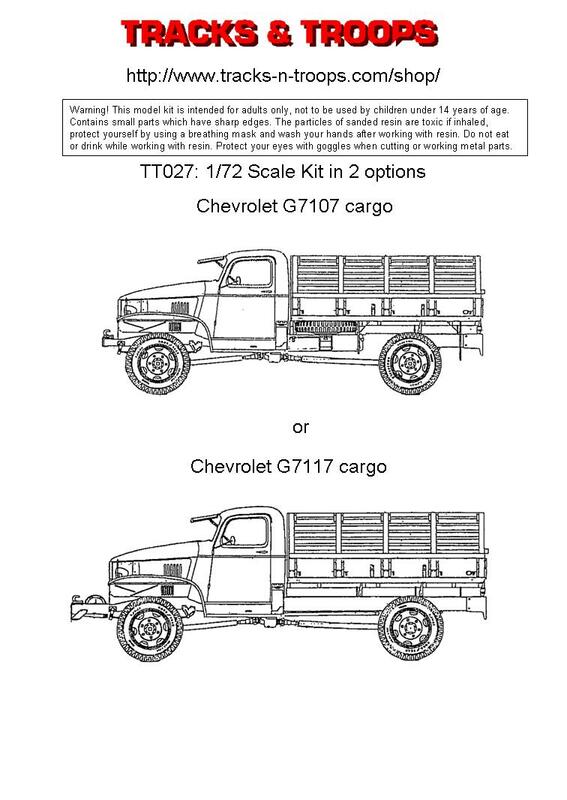 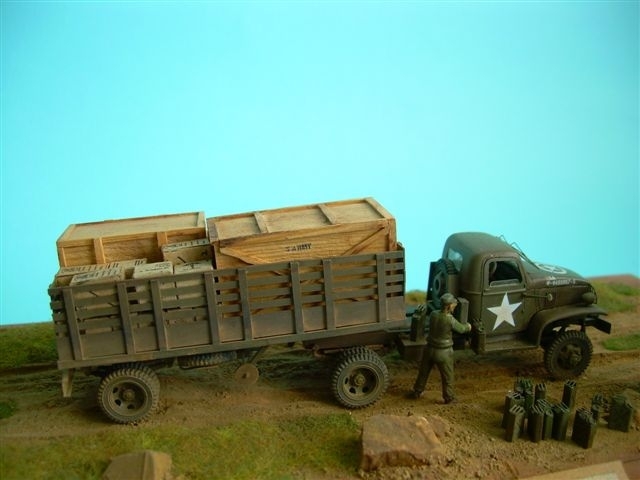 For this project I used the cab from Chevy G 7113, added material from the semitrailer van. 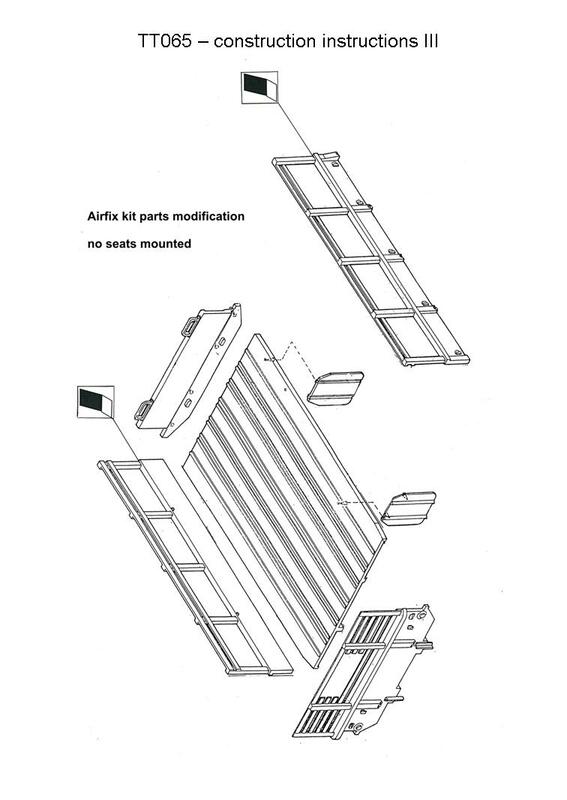 The roof is the former feed under the frame. 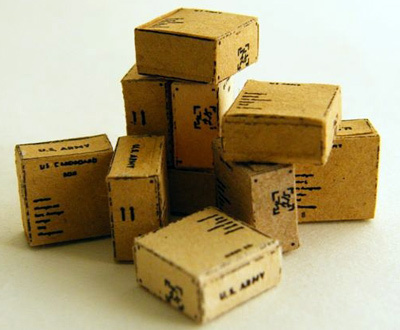 The definitive shape I´ve made with brush paper. 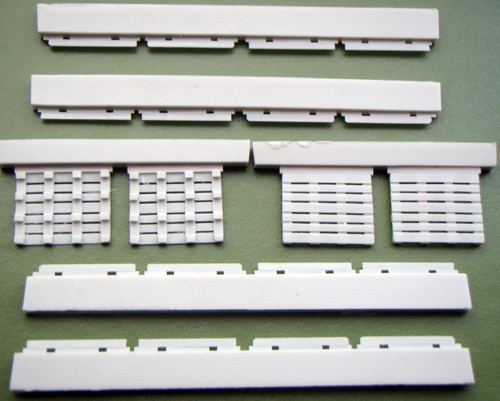 The profiles of the windows I´ve made with a PROXXON cutter. 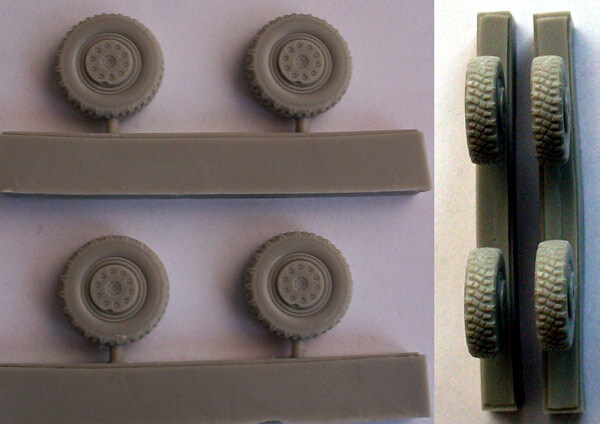 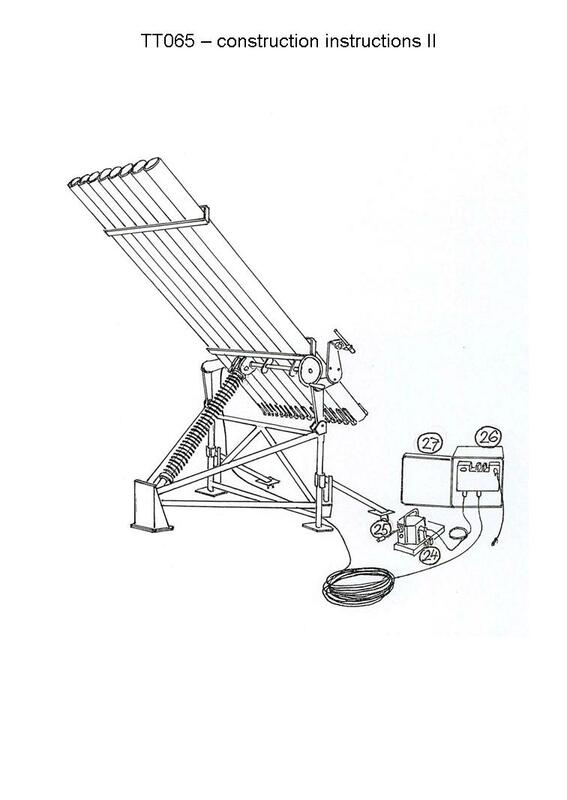 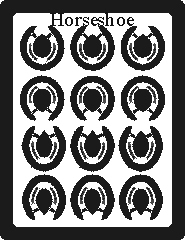 The mudguards are made from alluminium waiters. 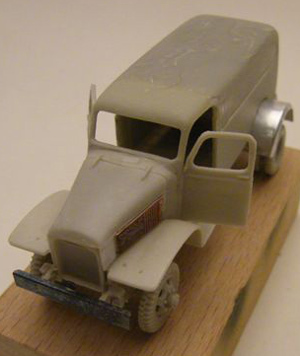 The model is now made up as a project, I think it will be done in January 2010. 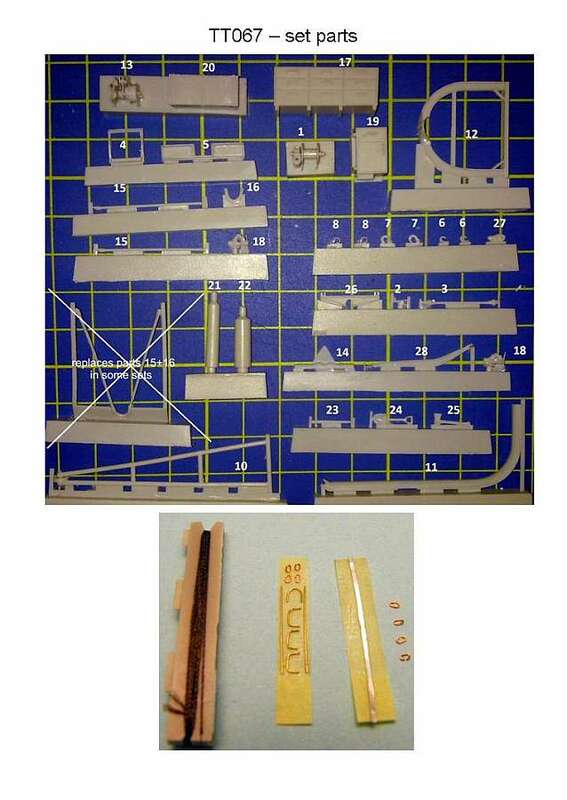 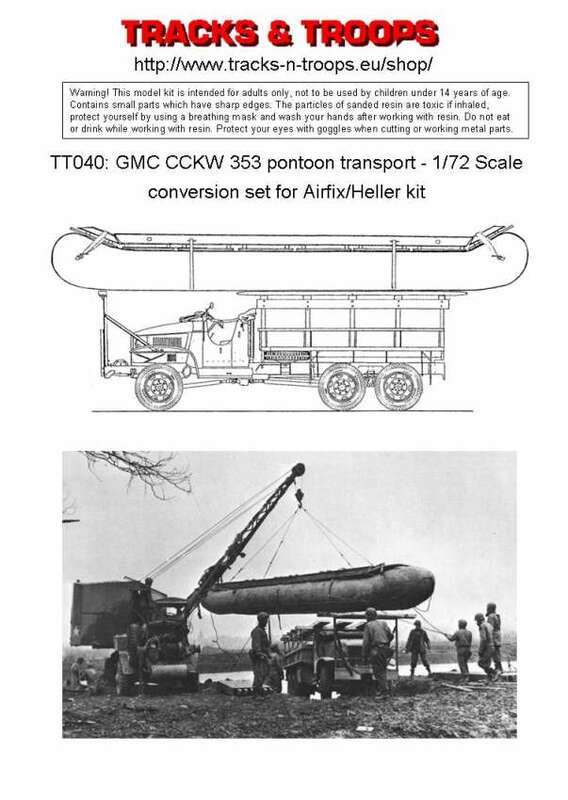 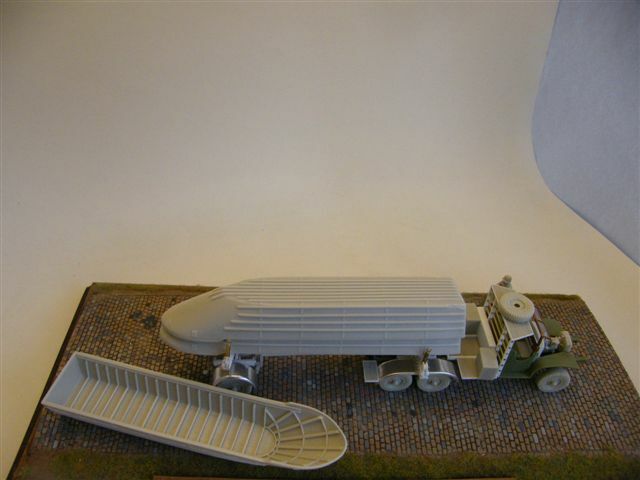 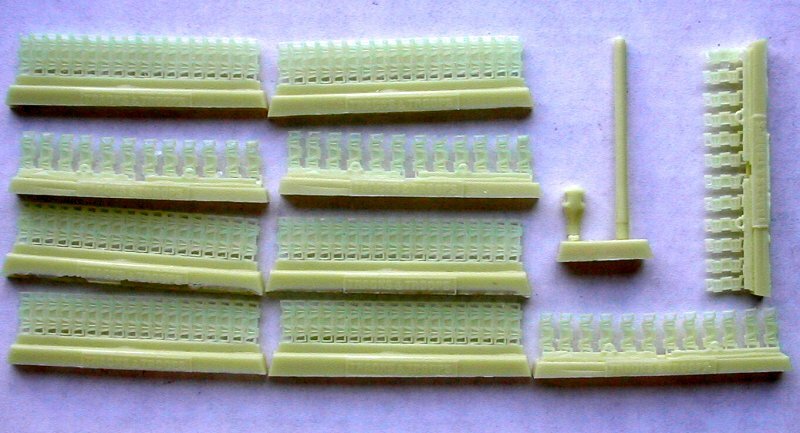 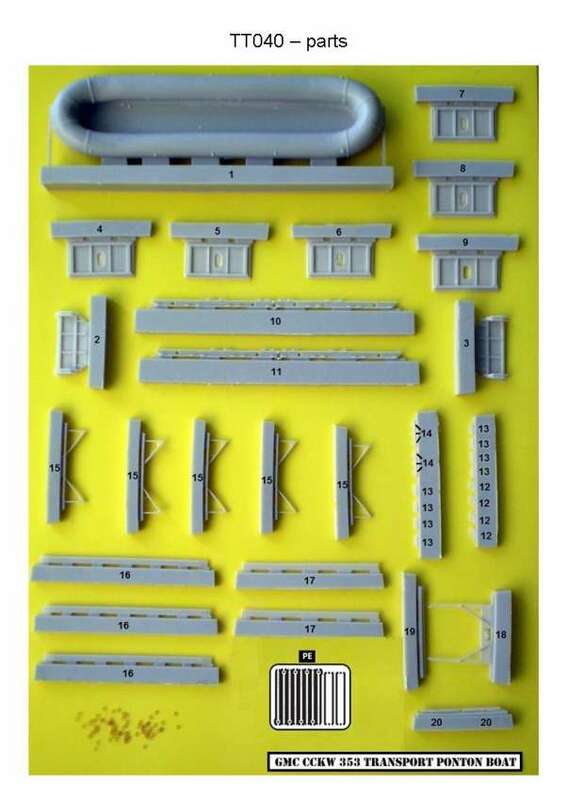 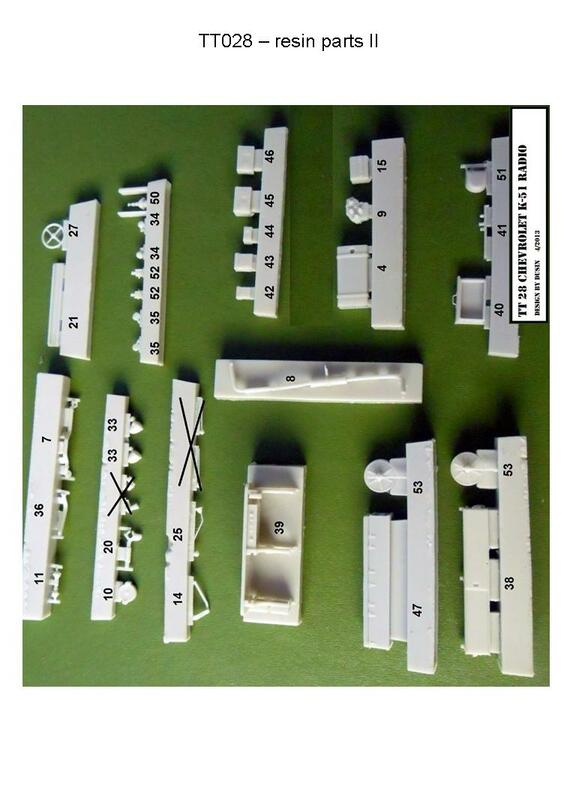 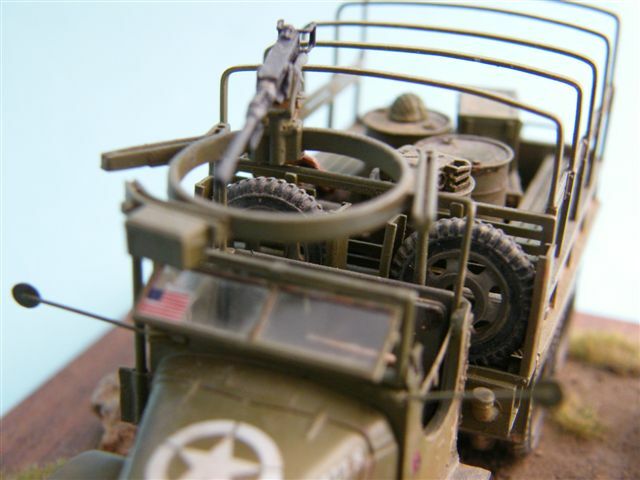 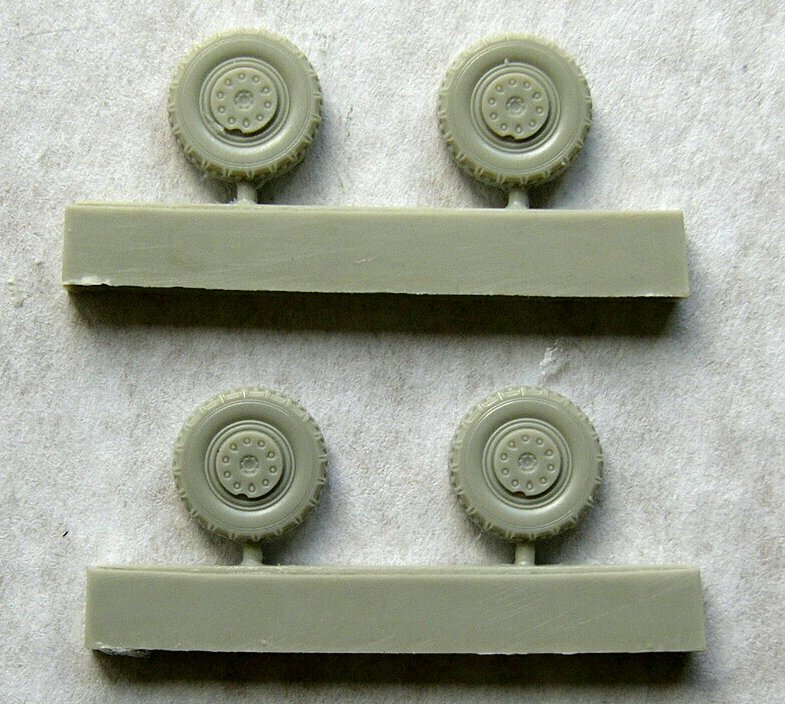 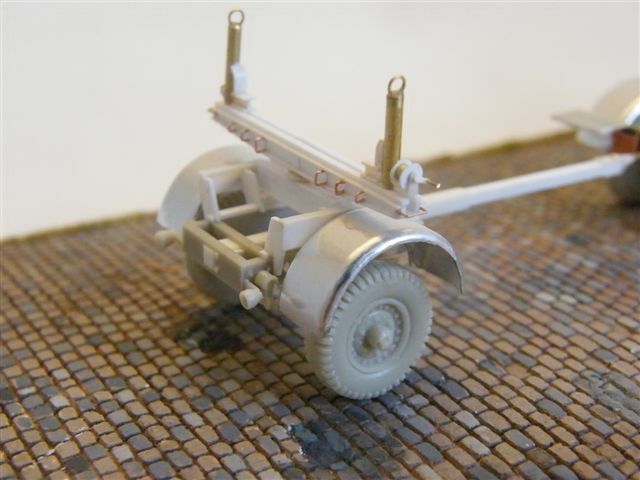 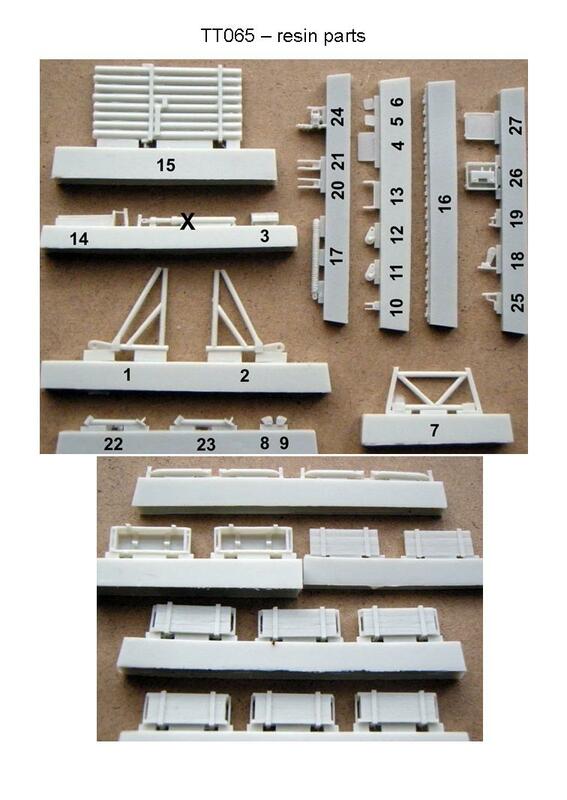 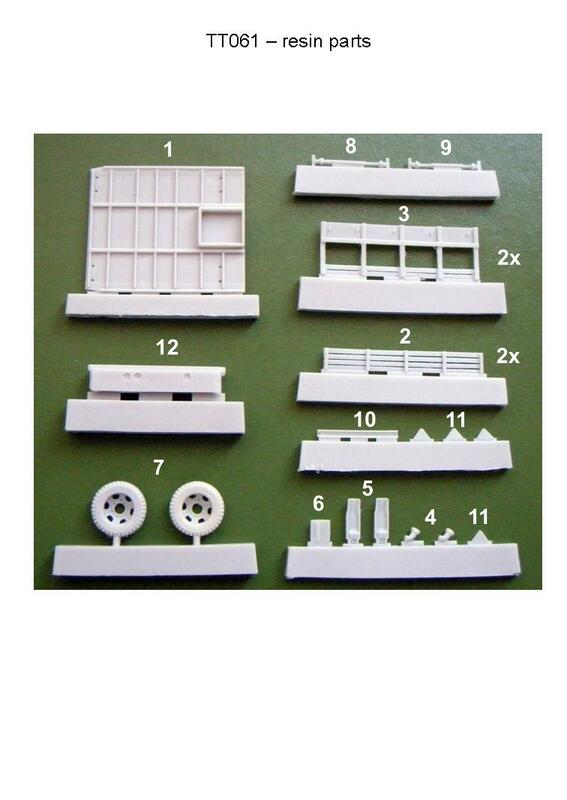 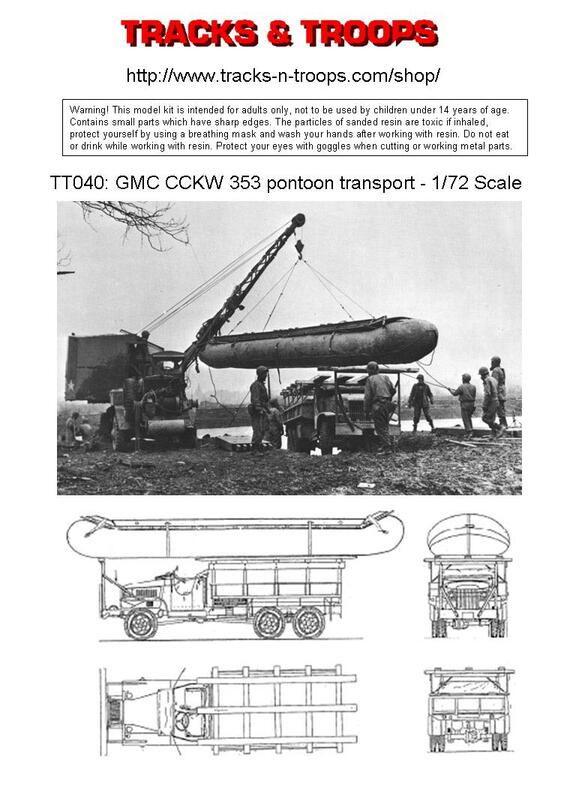 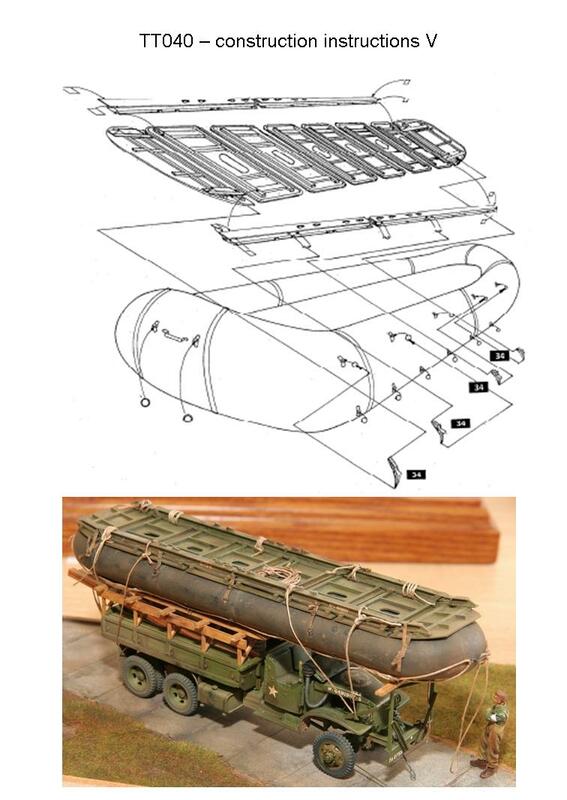 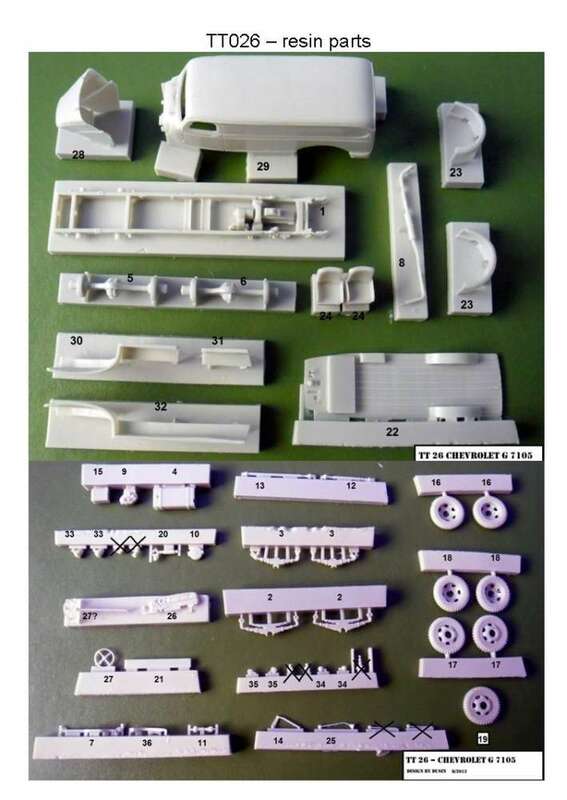 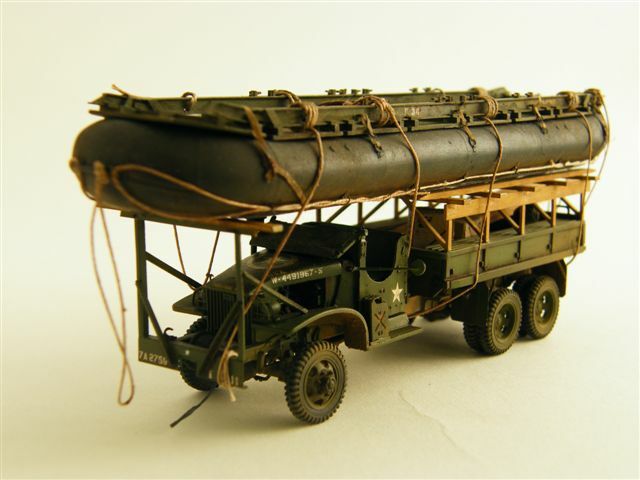 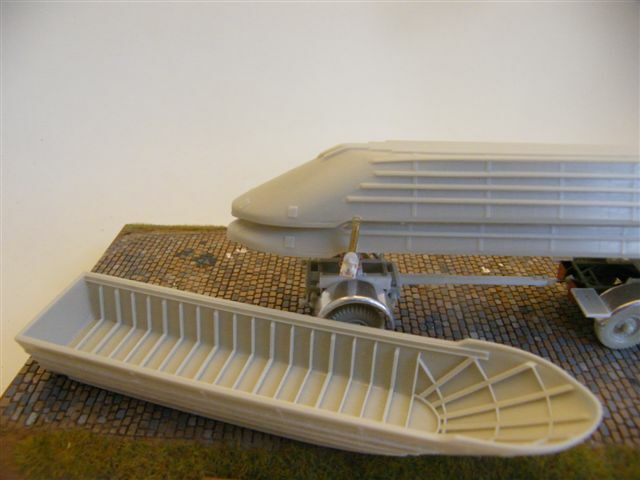 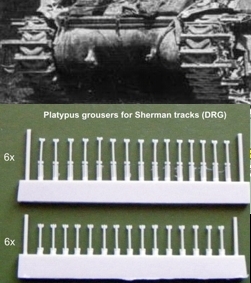 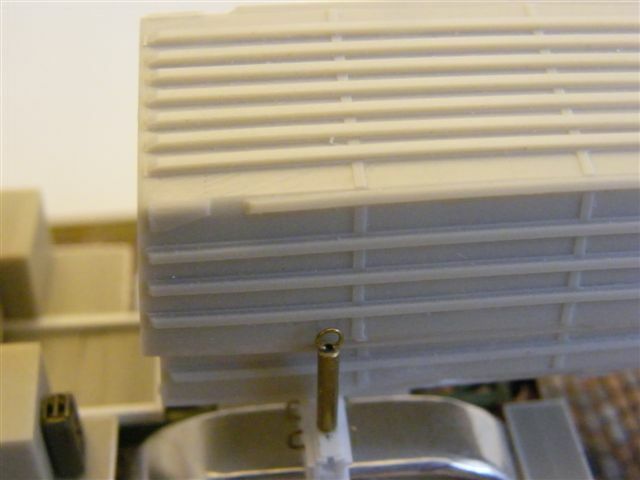 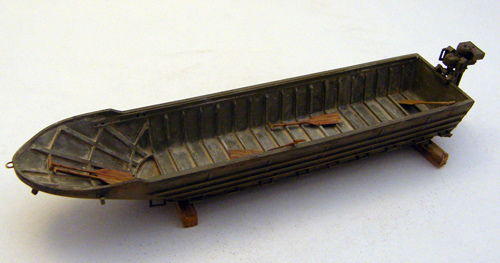 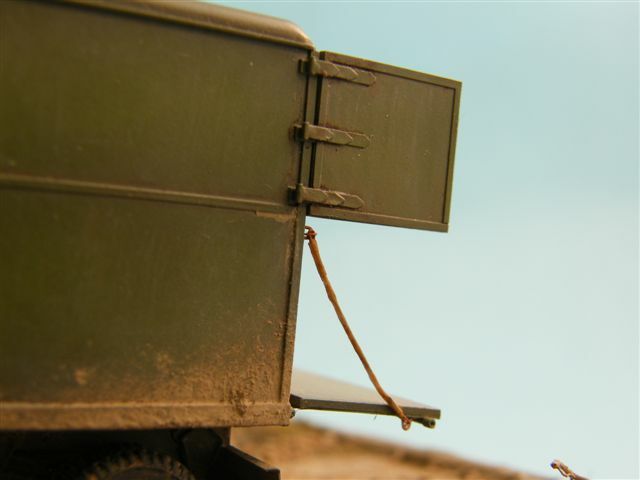 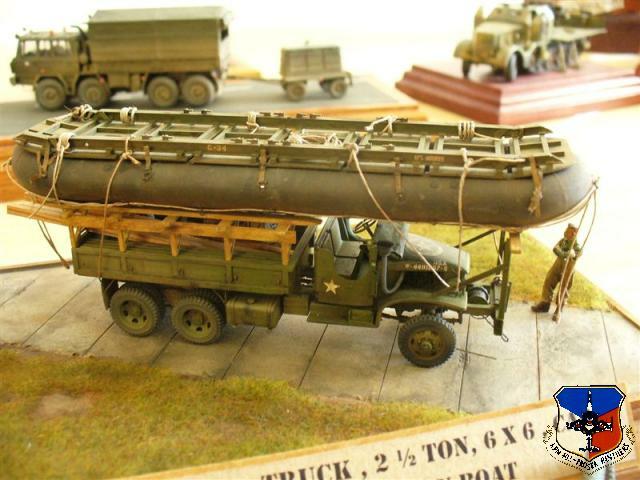 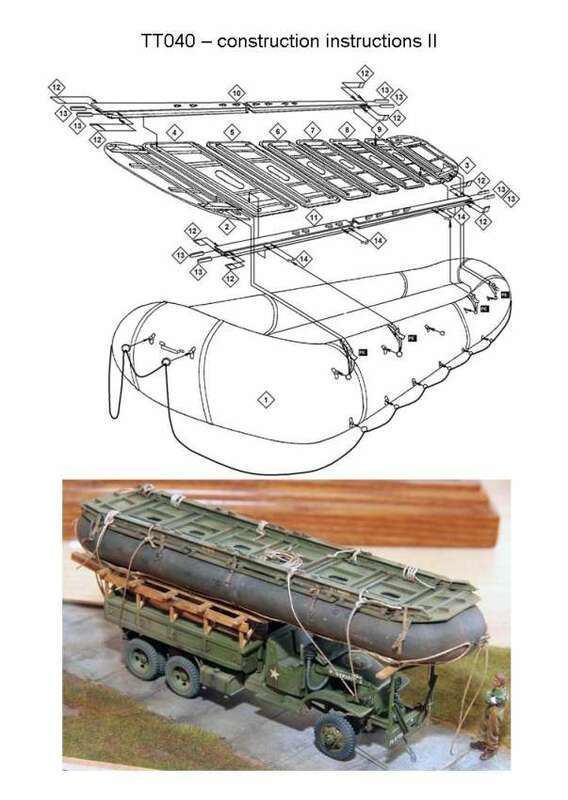 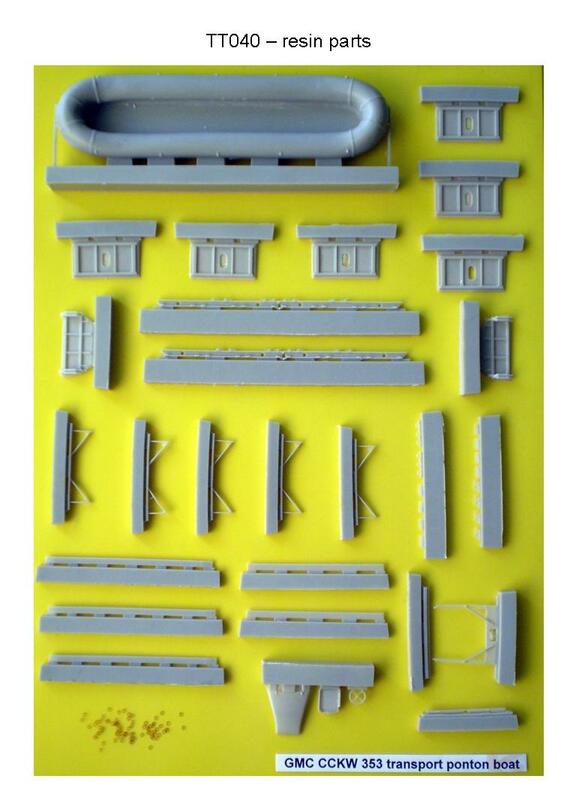 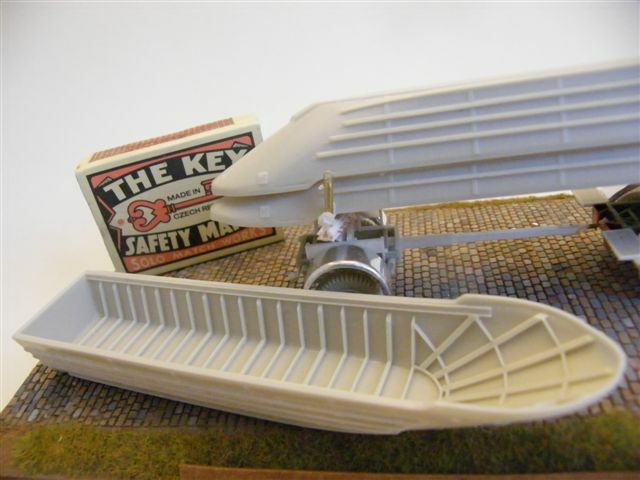 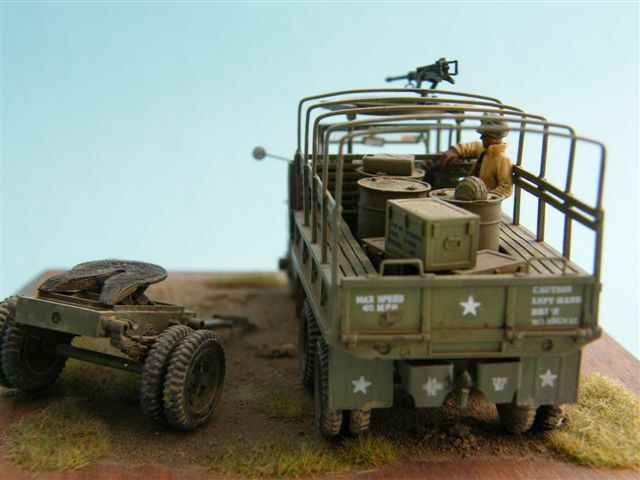 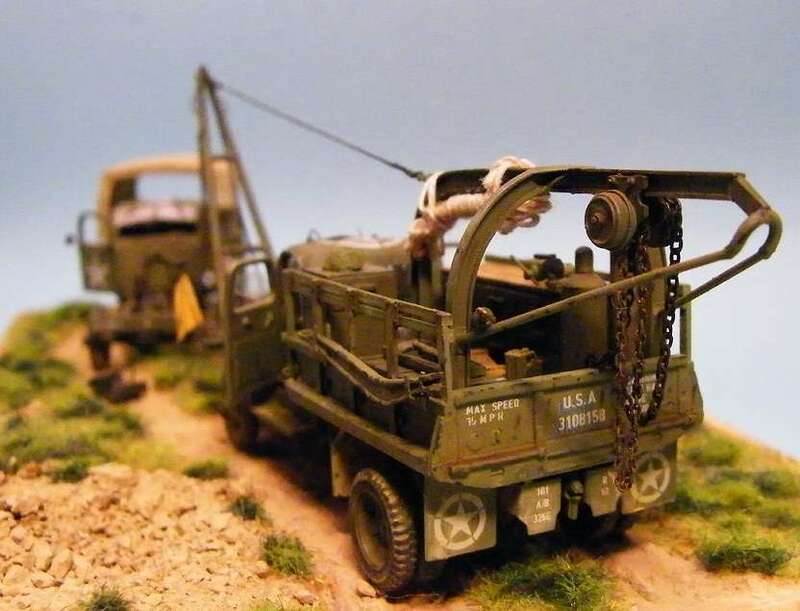 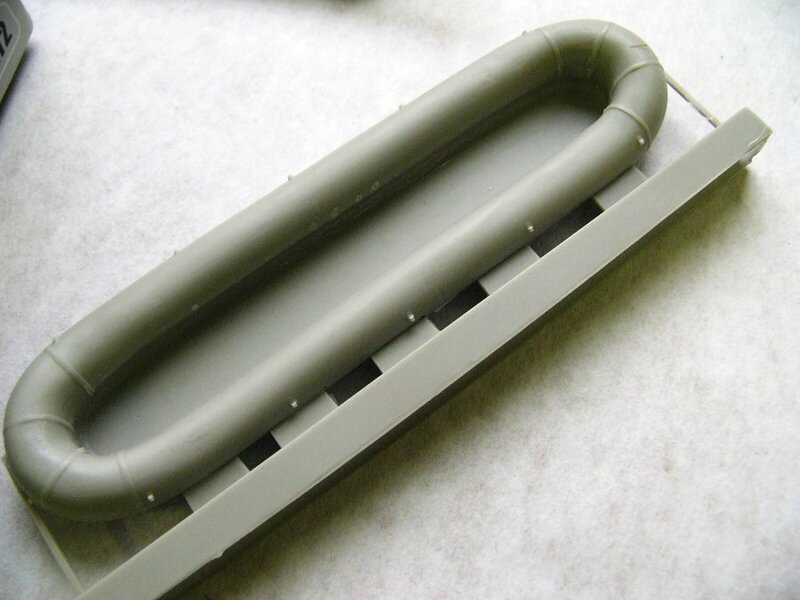 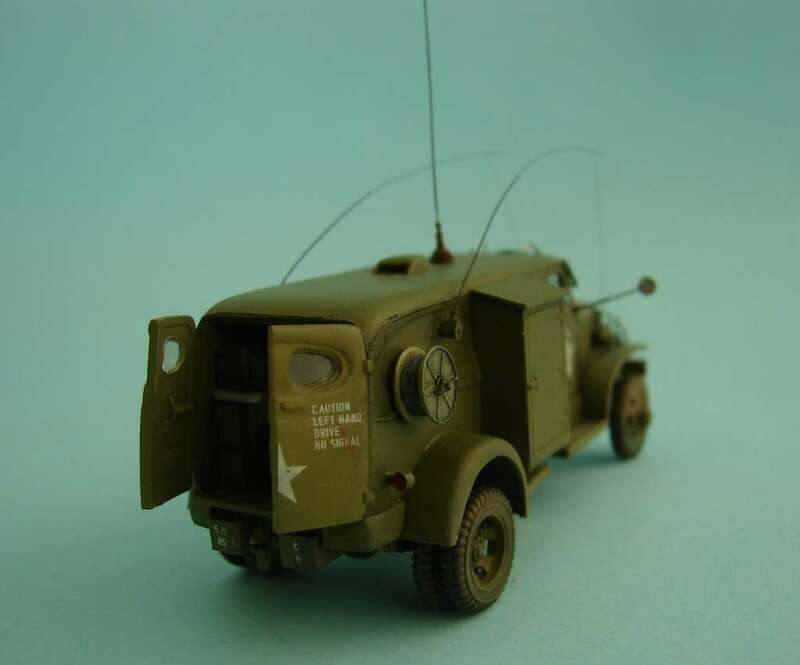 To the GMC CCKW 353 kit from Airfix I´ve added the construction of the anchoring of the pontoon boat – all the Evergreen profiles. 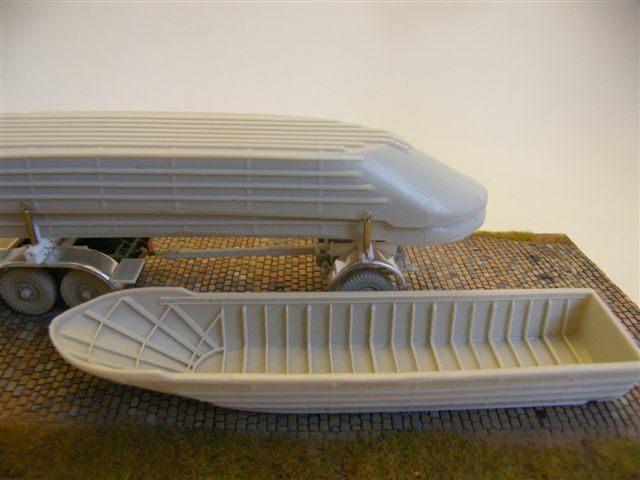 The air-locks on the sides of the boat are made from beer cans, the front and back is made from clay. 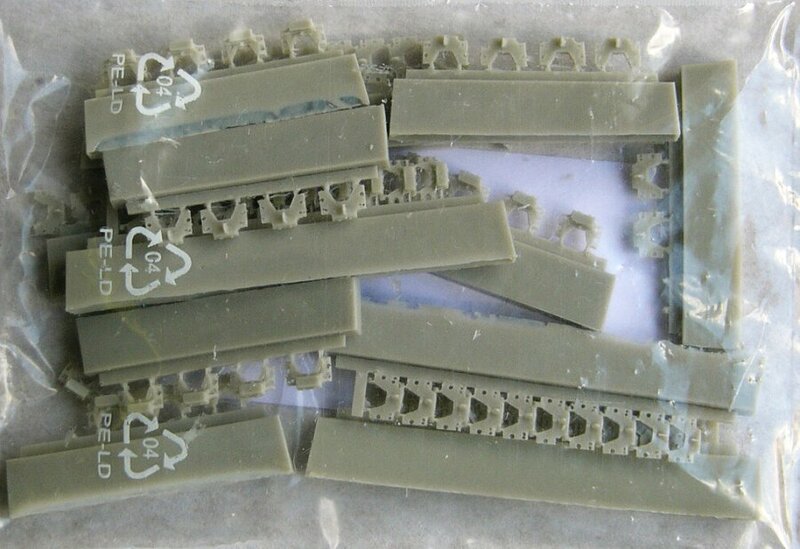 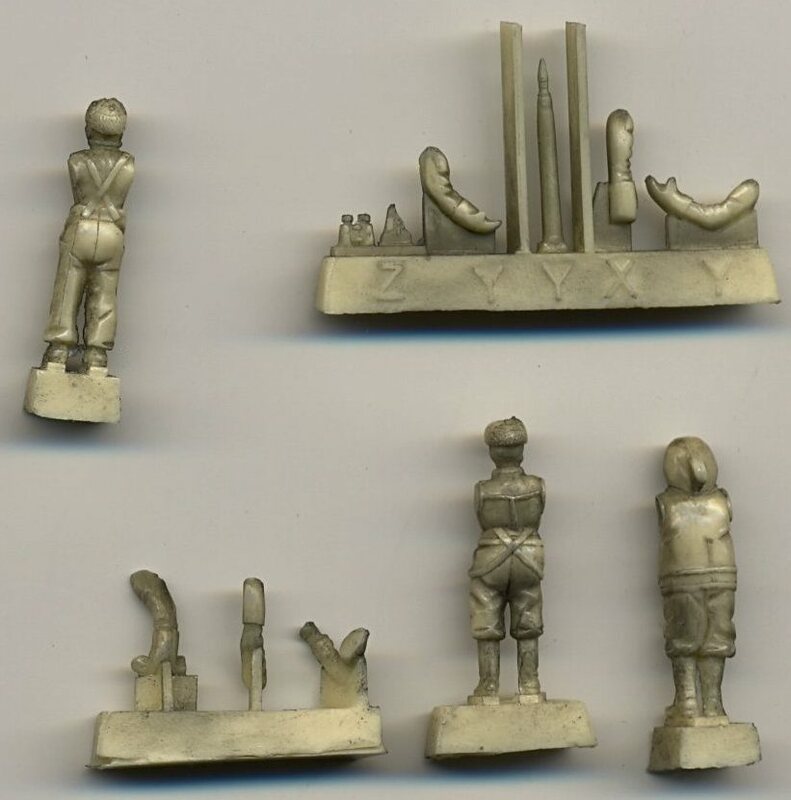 All these parts I casted in a mould from Lukopren and the casts are then trimmed. 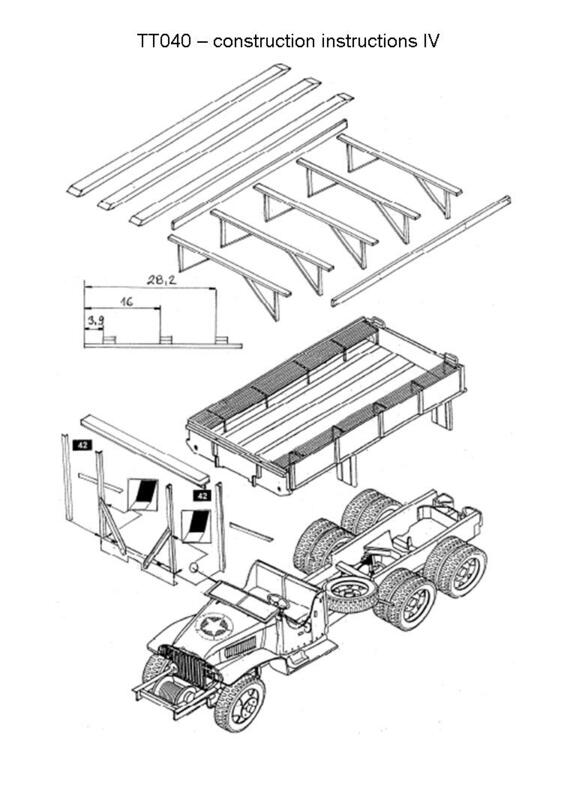 The deck is made from Evergreen profiles. 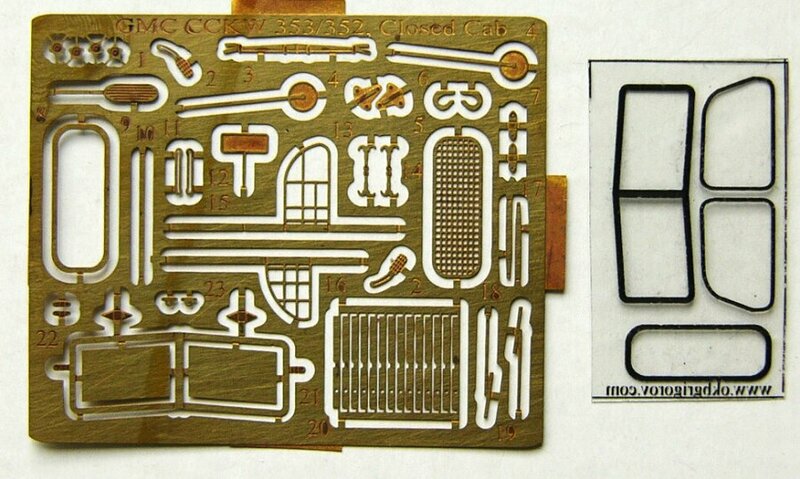 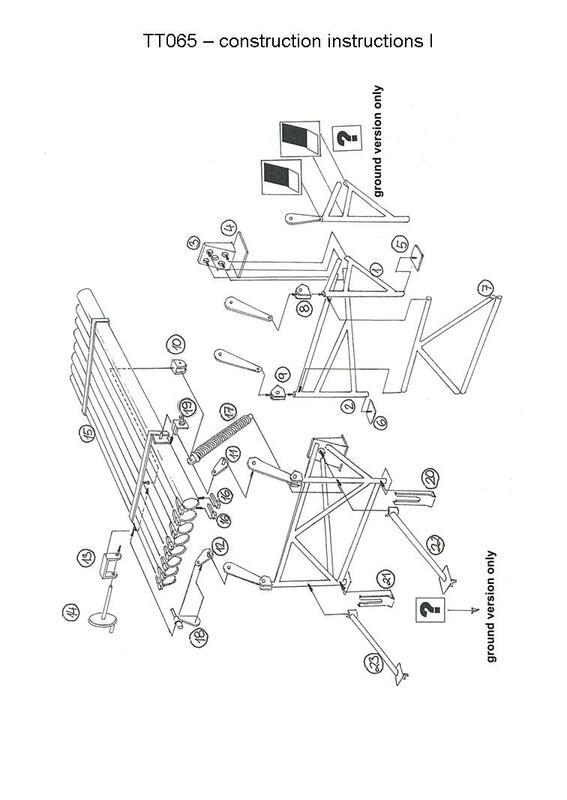 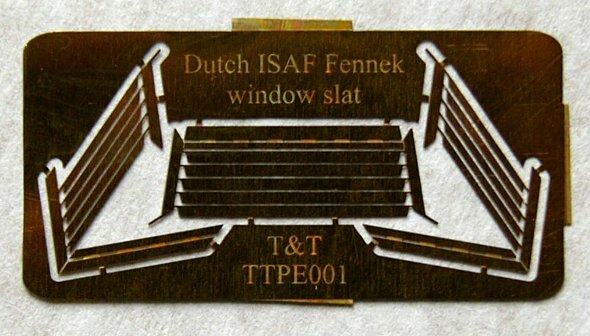 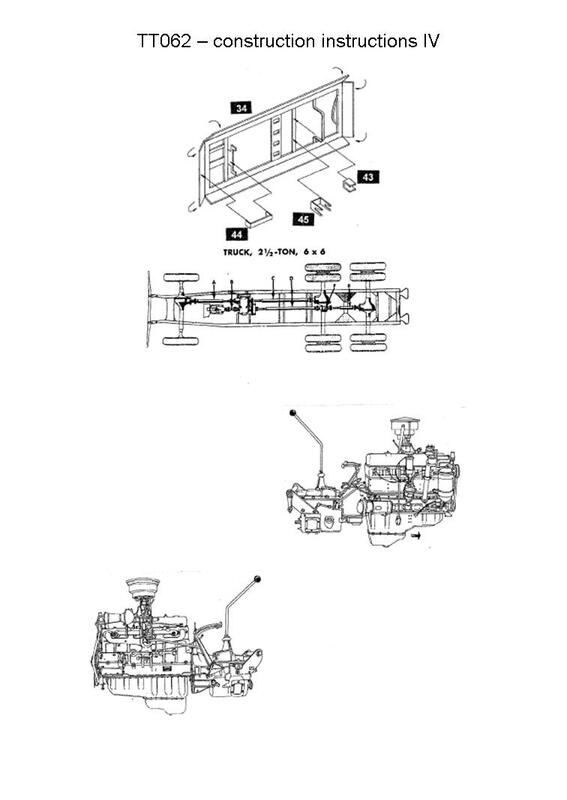 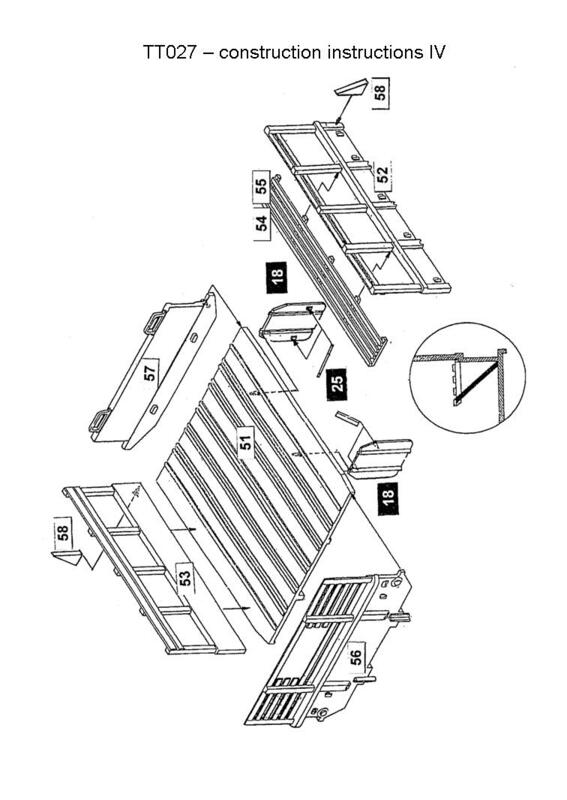 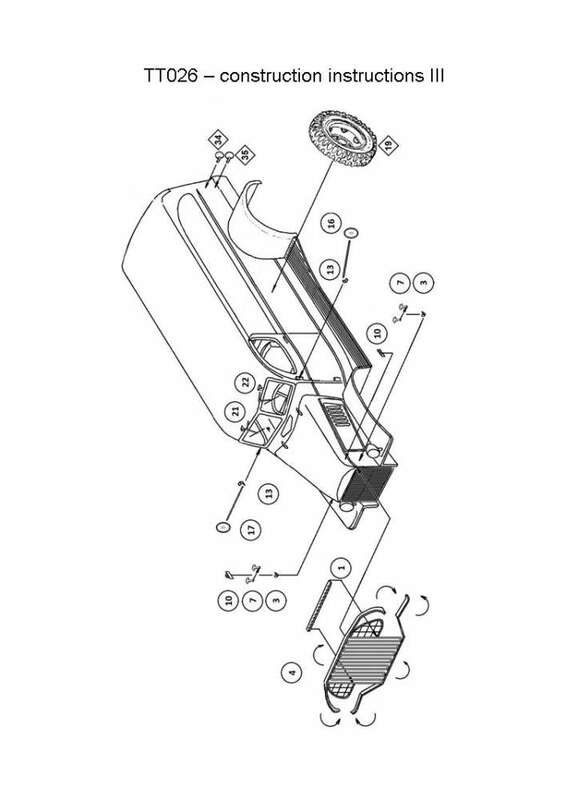 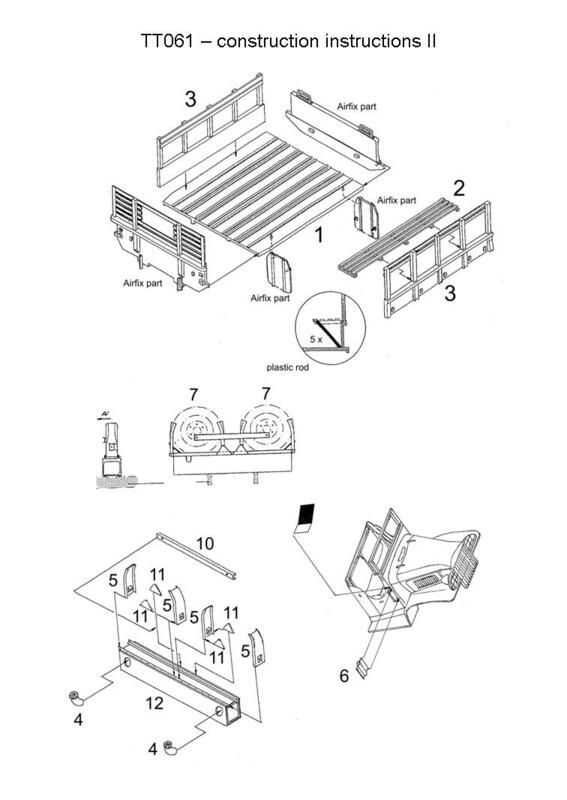 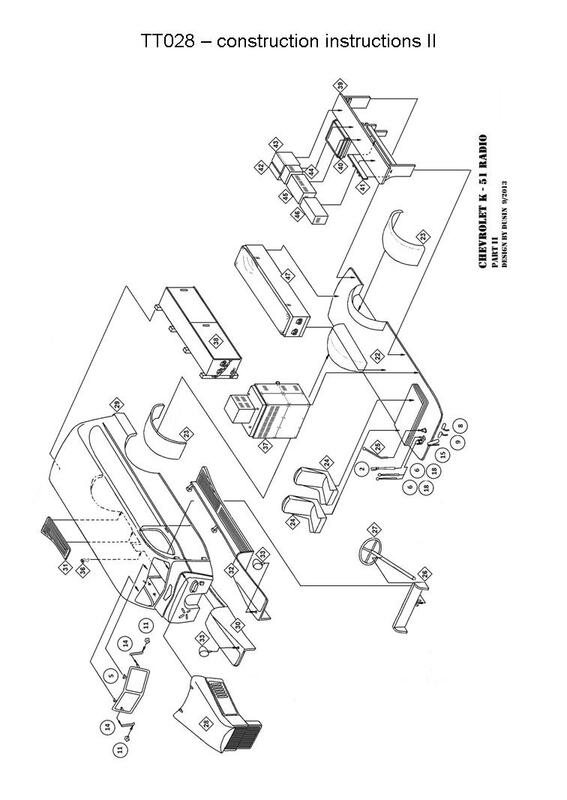 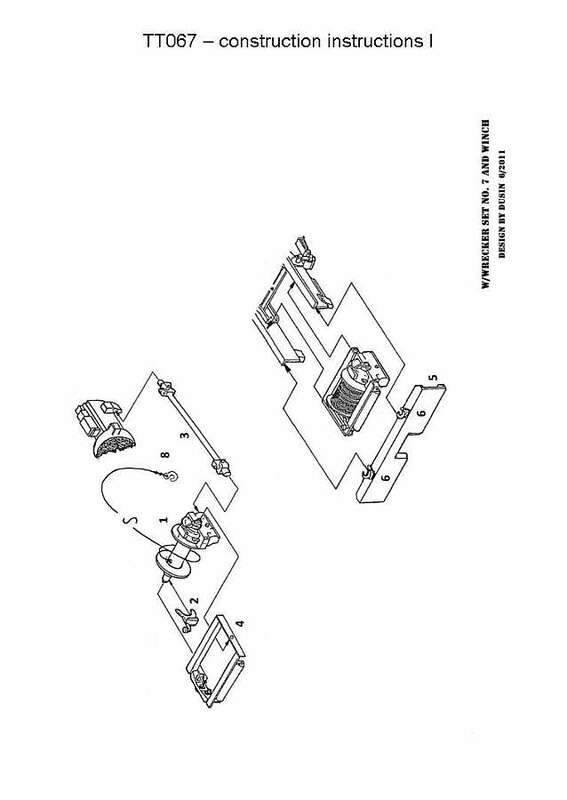 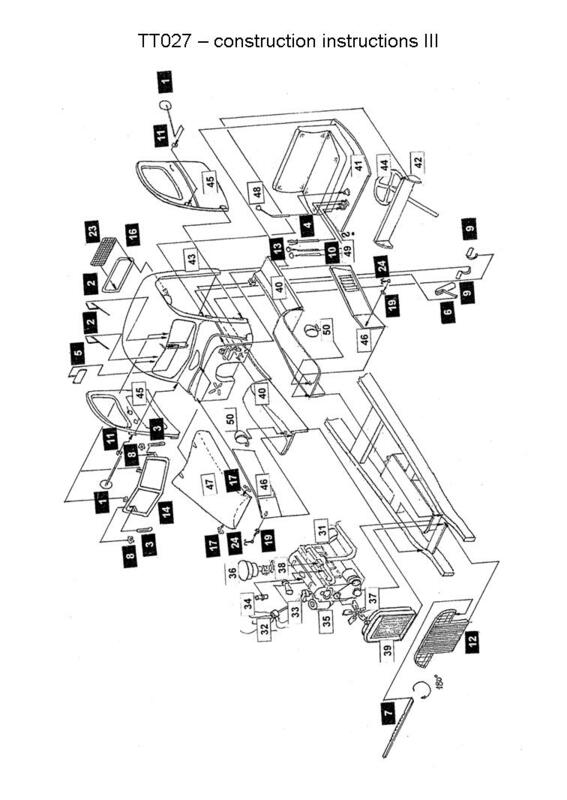 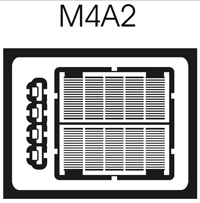 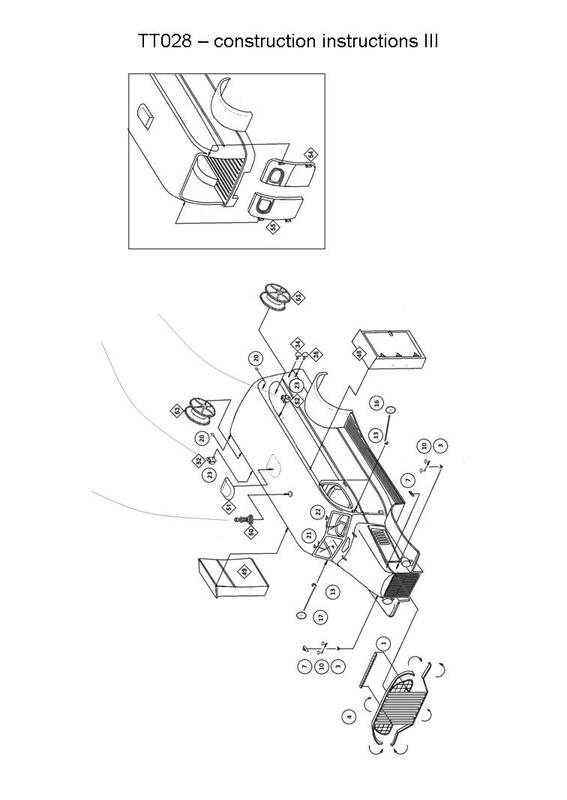 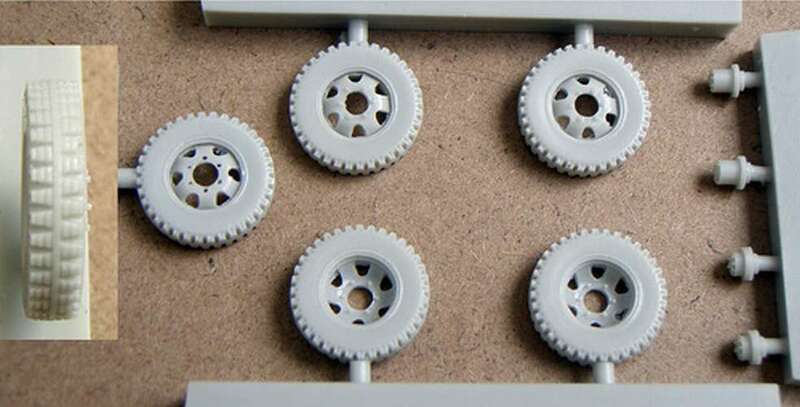 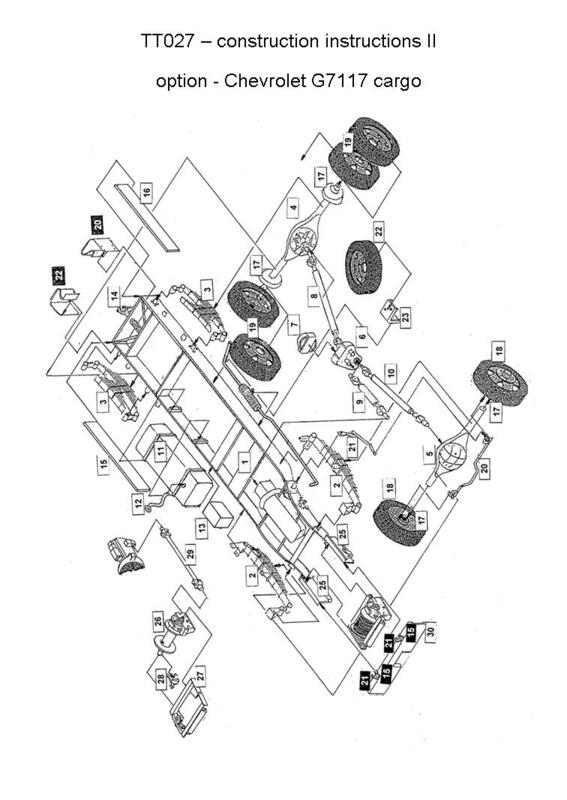 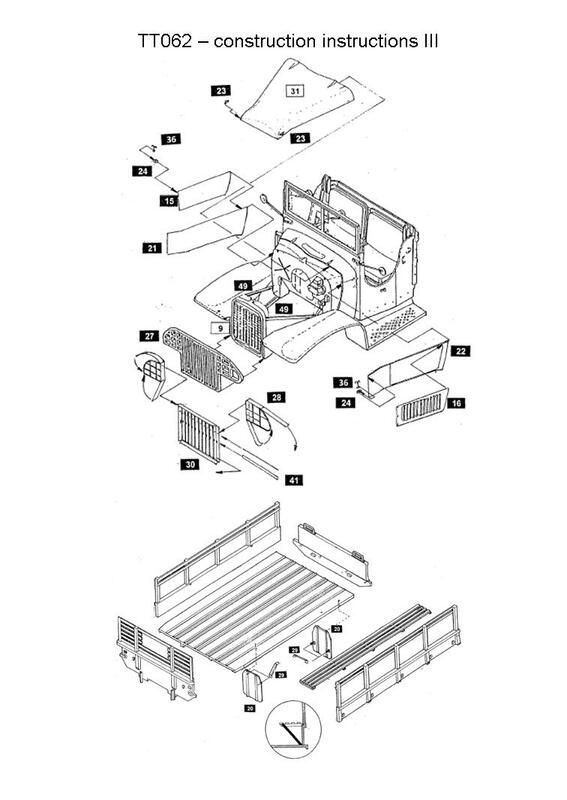 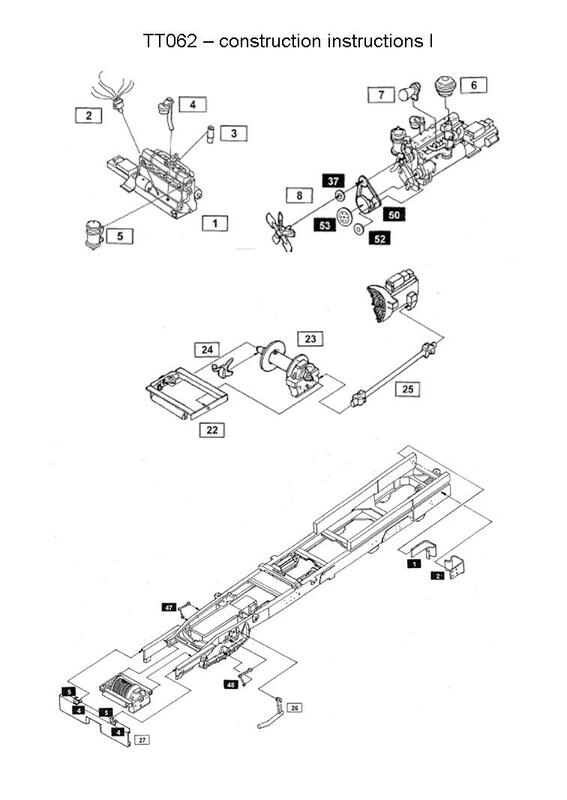 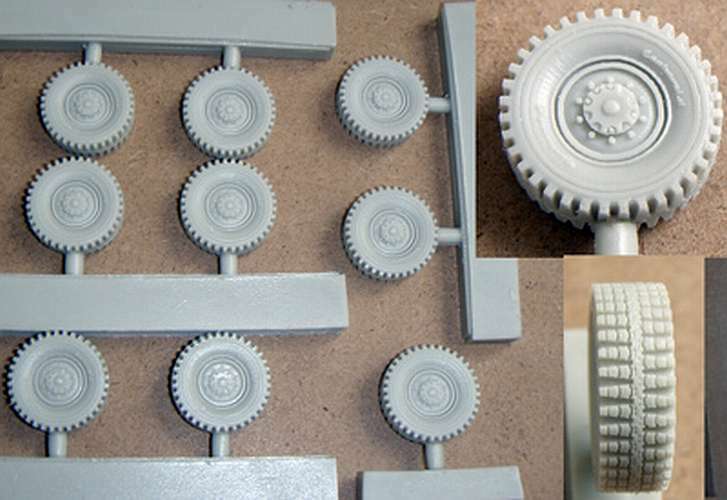 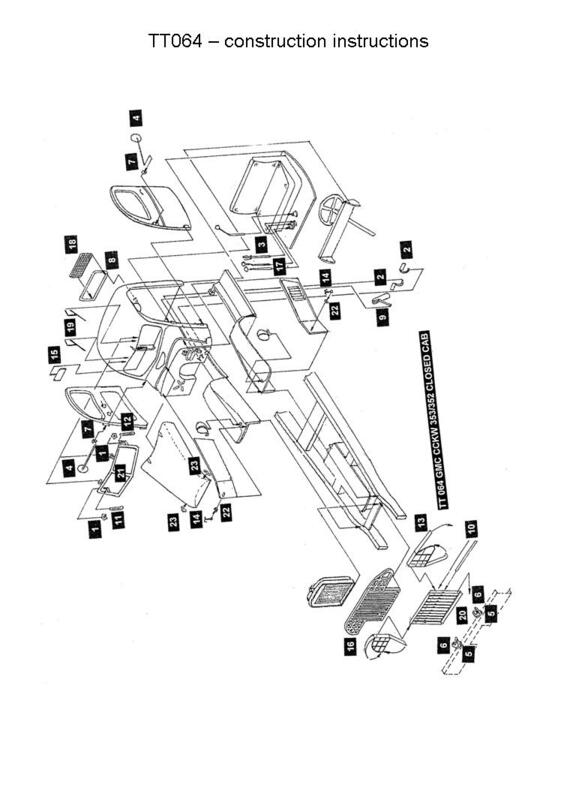 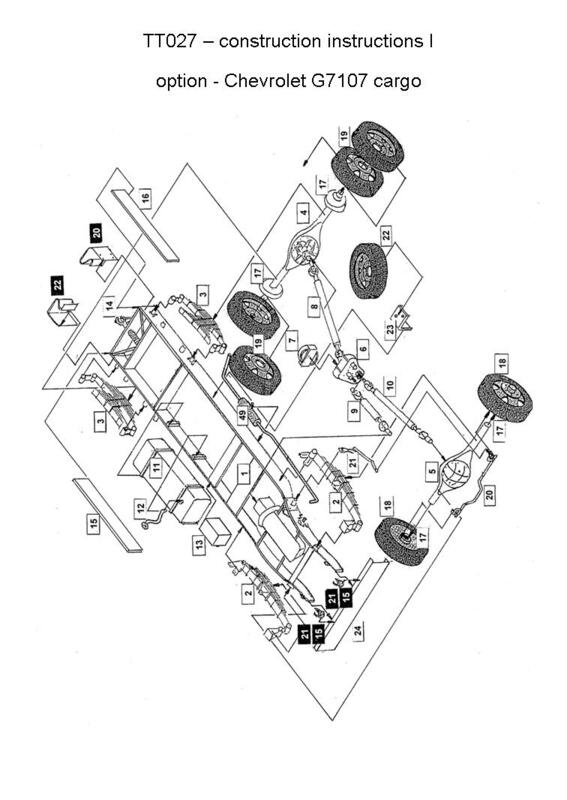 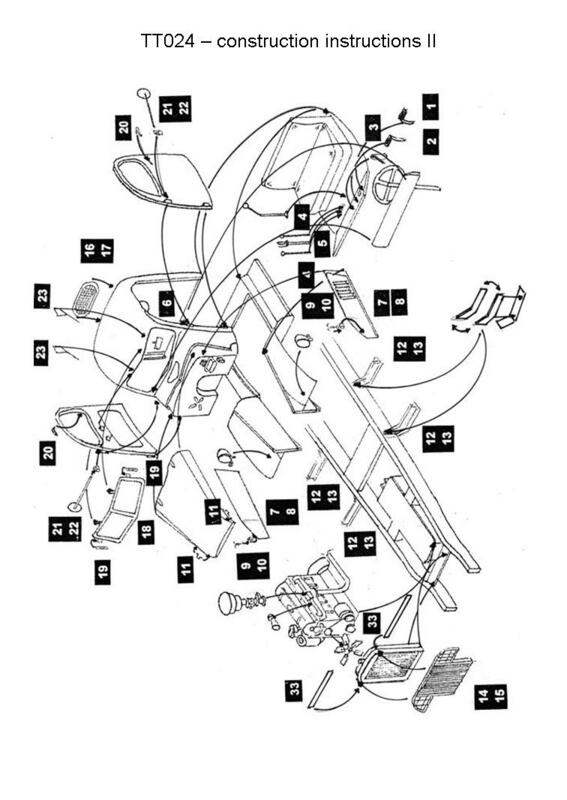 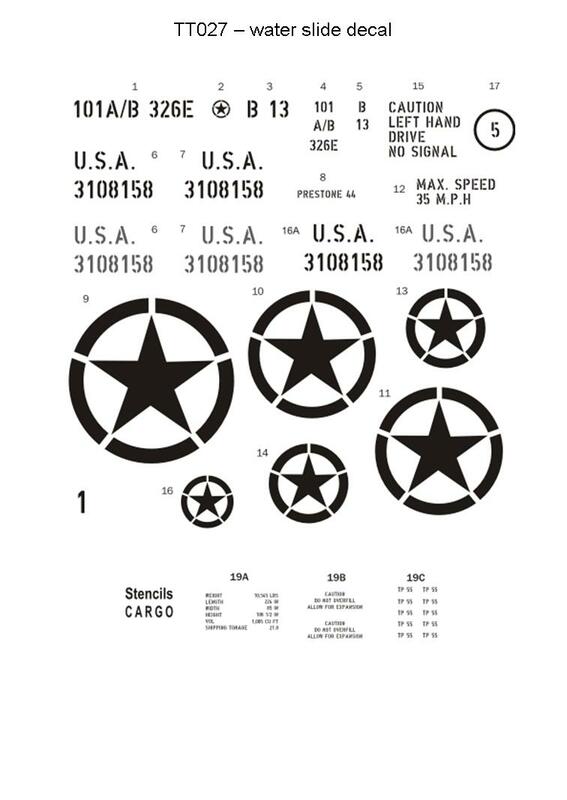 A part of this master are also construction guides and the draught for the etched parts. 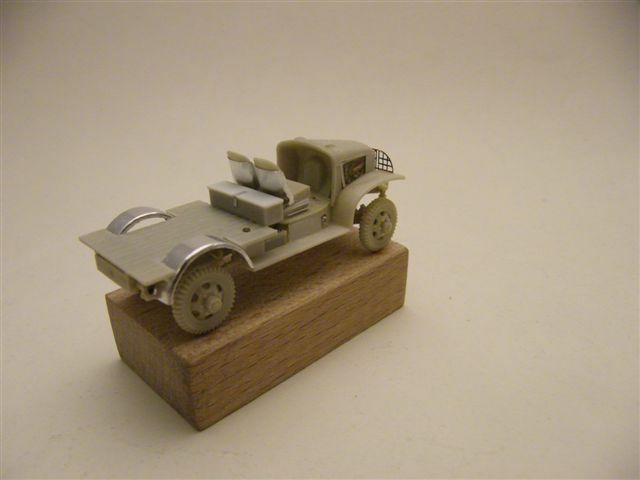 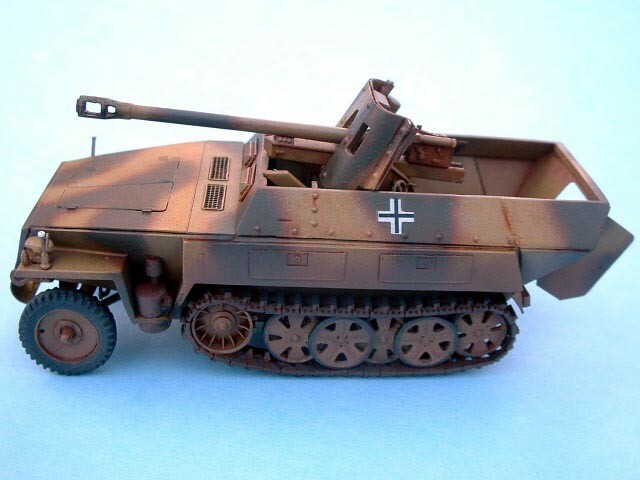 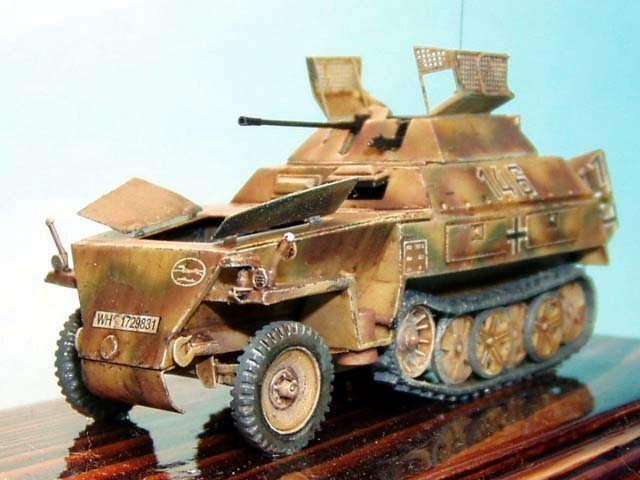 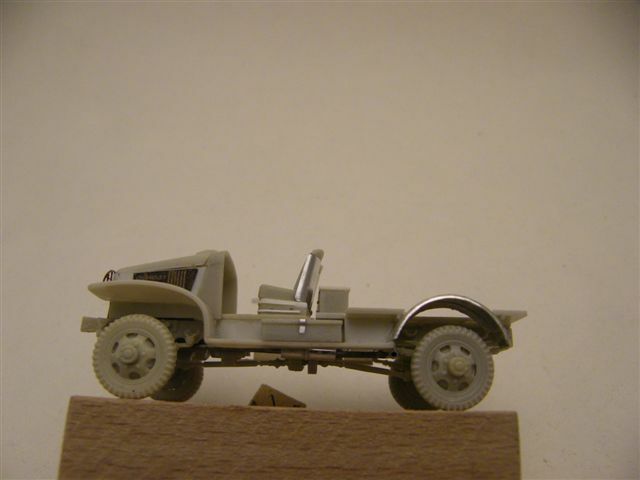 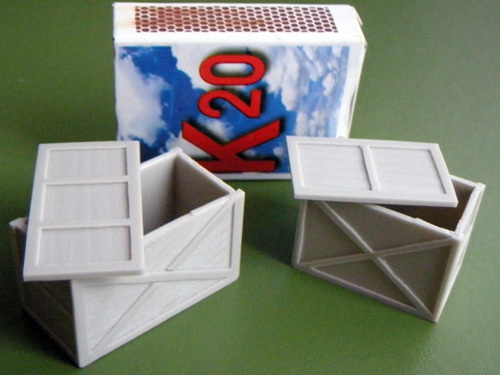 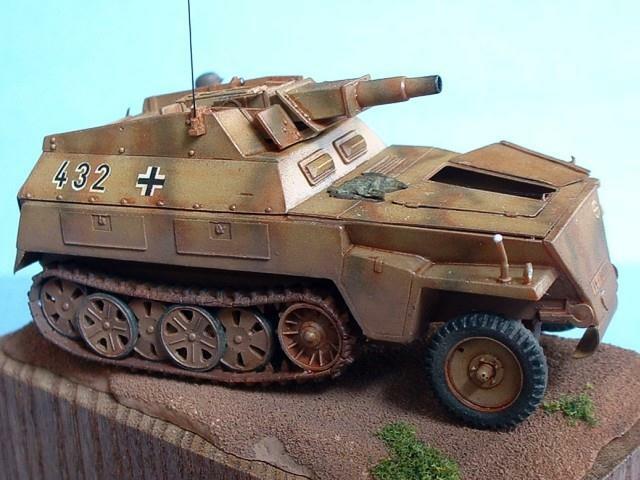 This model I´ve made in 2008. 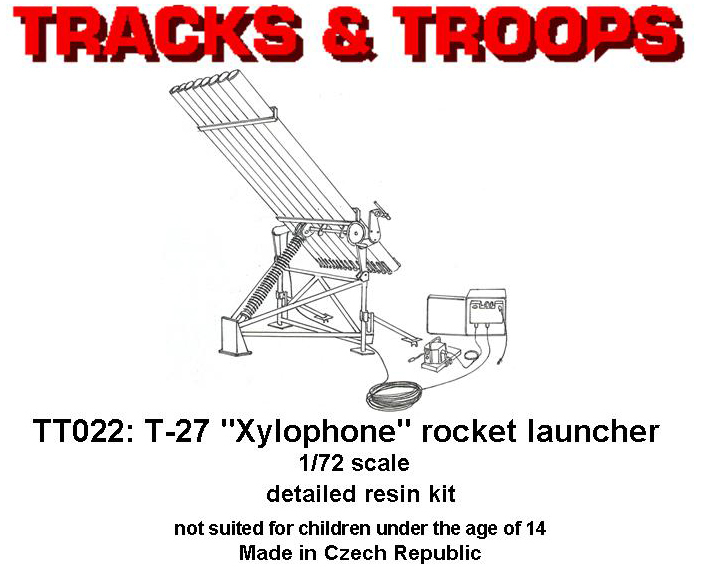 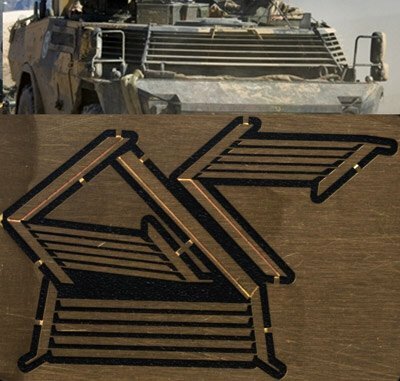 Website "Tracks-n-Troops" from Milan Vins.